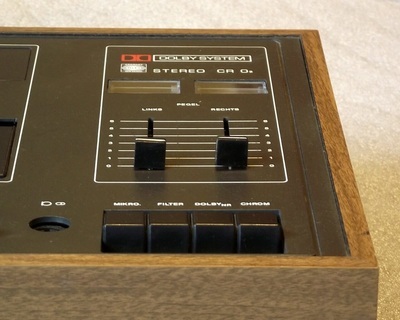 First QUICK reverse model from one of the greatest manufacturers. 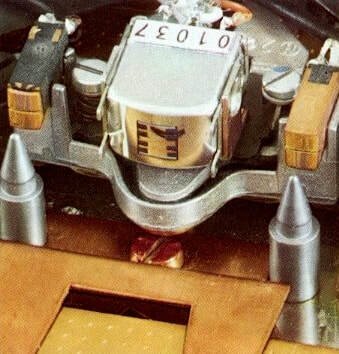 The head reverse system used by this model is different from the rotating head that you probably know from other players. 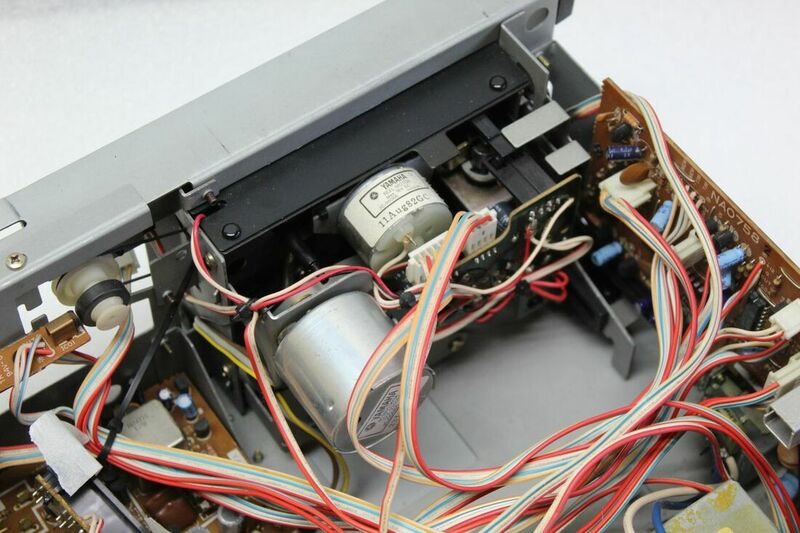 This one uses a head that moves from side to side, and is really "quick reverse" using infrared tape end detector. 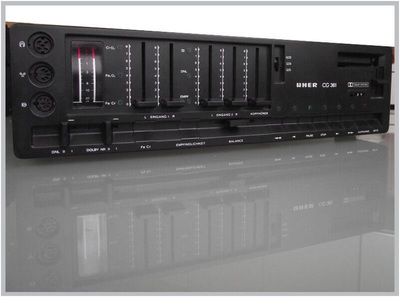 As a true recording machine it has separate record level setting for line input and for microphones with mixing possibilities. 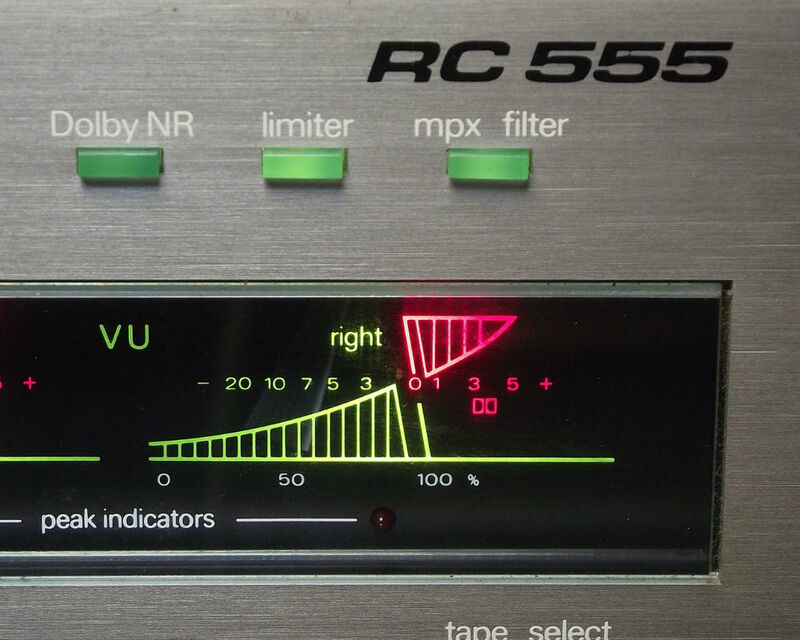 To match the sound level of other units used in your setup the output also has a level control. 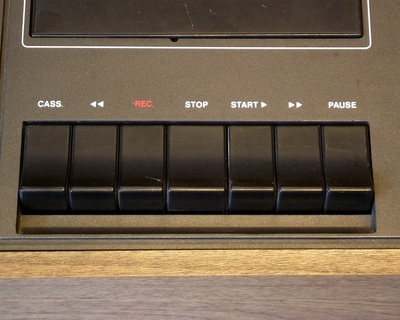 Unfortunately the control keys do not age well and they have to be repaired. 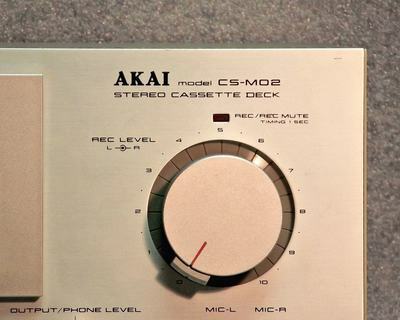 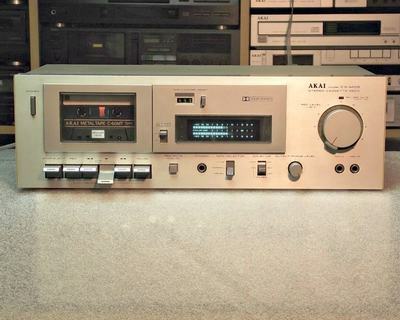 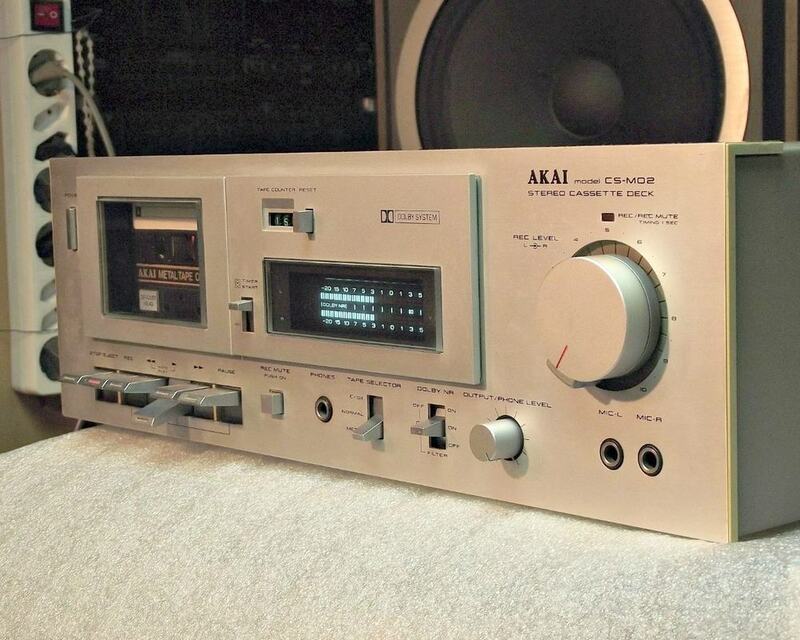 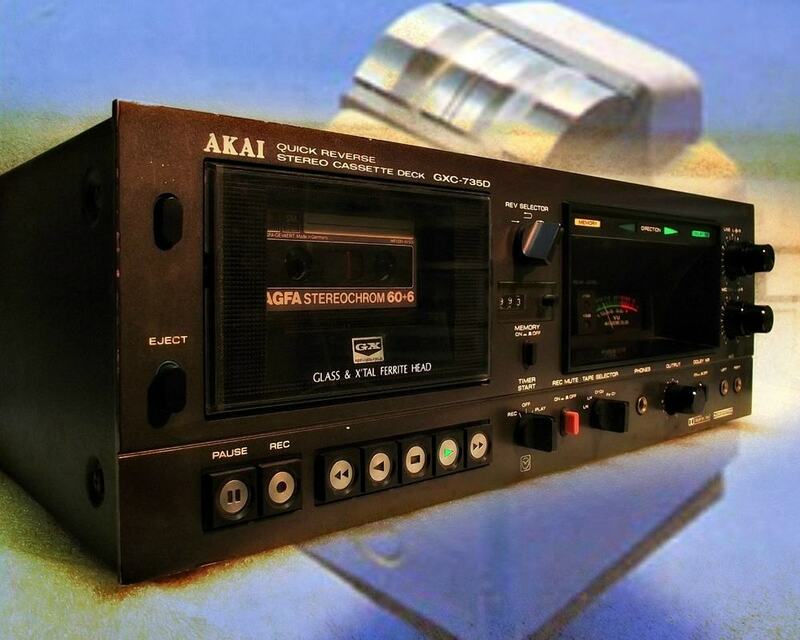 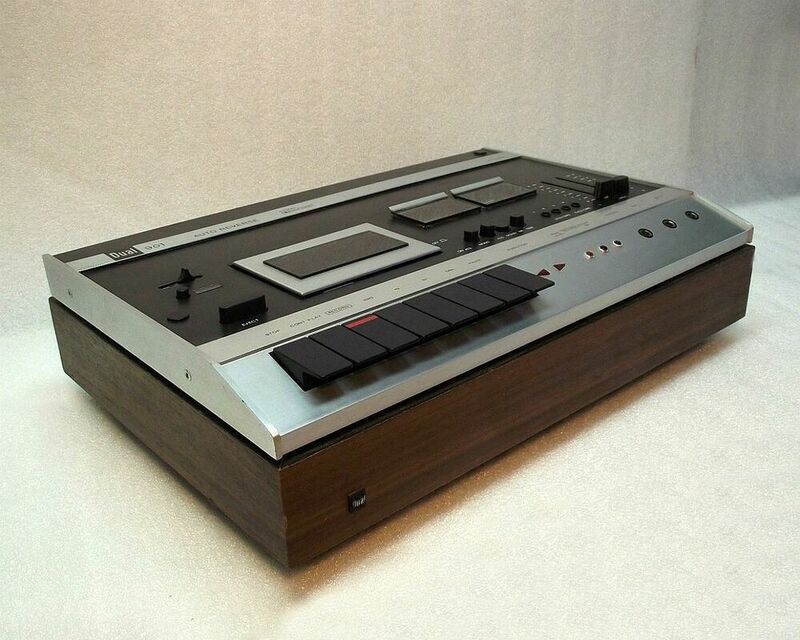 The AKAI CS-M02 was the entry level model in the 1980 line-up. It's a one motor mechanically controlled - "piano key" - cassette recorder with SENDUST head and fluorescent VU meter. 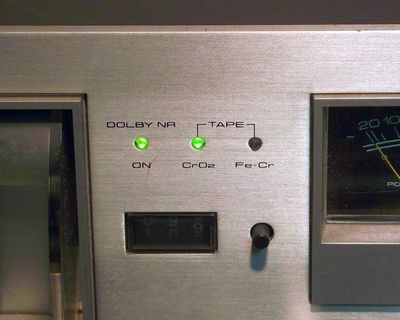 Frequency response, using Metal tape, is 30 - 18 000 Hz with a 68 dB signal to noise ratio when using Dolby noise reduction. You might think that an entry level model is not up to your expectations but this one has a very nice build quality and a good sound too. 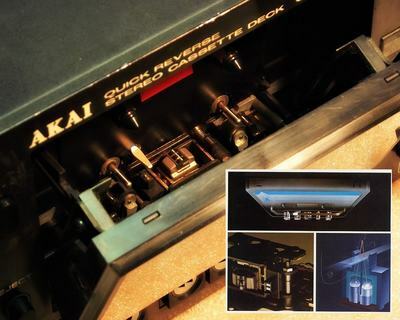 For this model AKAI has used a "tried and tested" Sendust head instead of their own GX head which was reserved at this time for higher specification models in their lineup. 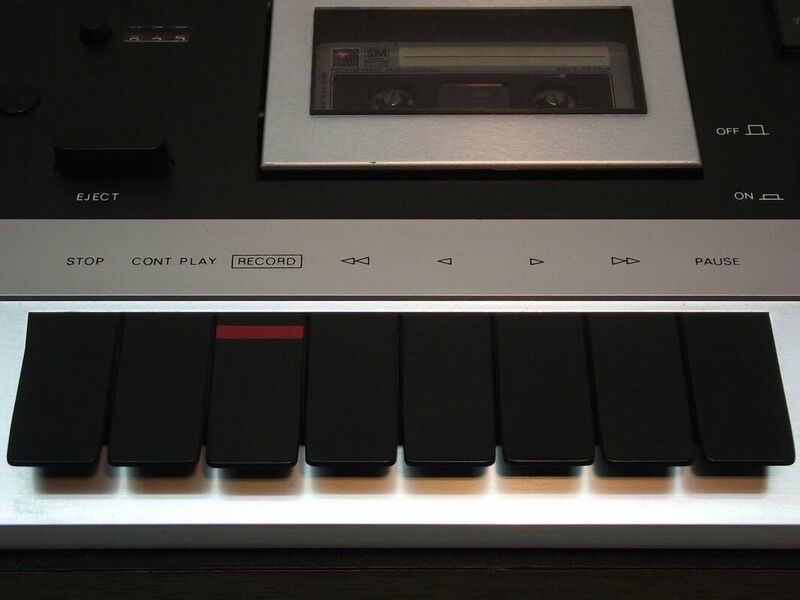 ​Even the "piano keys" work more smoothly than usual with a soft touch feeling. 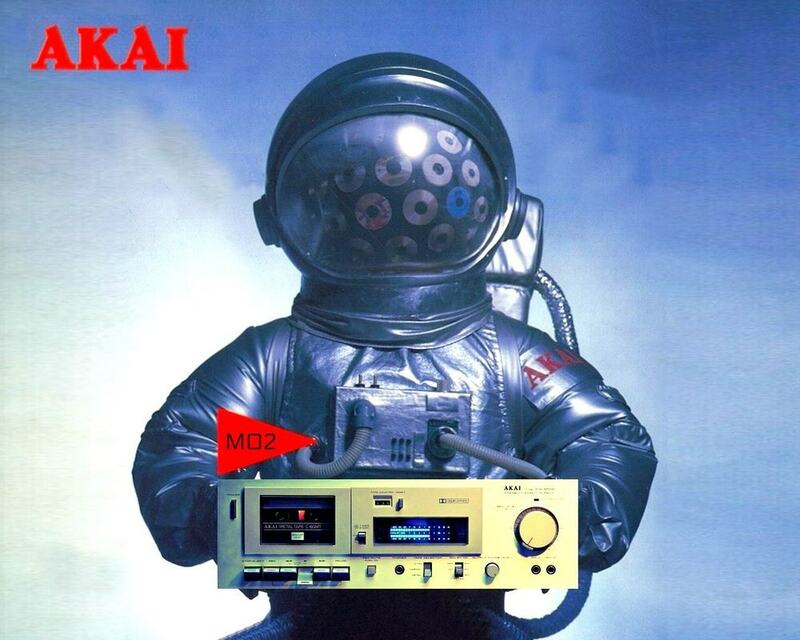 "AKAI, the most advanced deck manufacturer, sent a spaceman to explore the future. 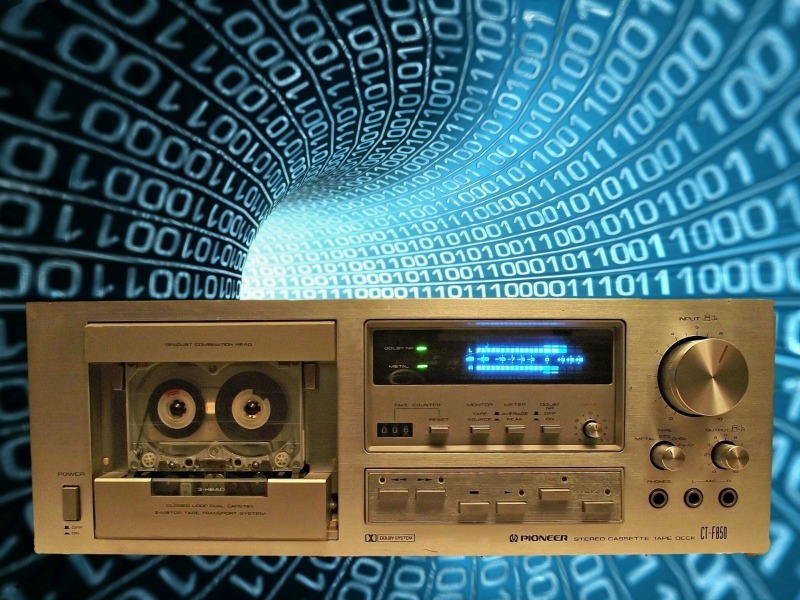 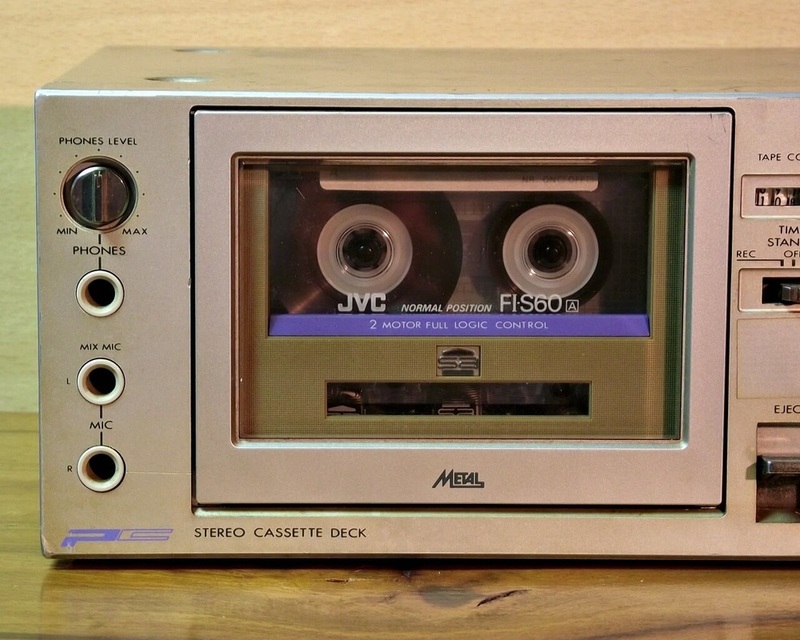 He travelled through galaxies and have seen the future of audio - the Compact Disc. He returned to earth only to find out that the future technology (Compact Disc) is now extinct while some "Tapeheads" still enjoy their good'ol cassettes in their Sendust machines"
Temperature and humidity testing at AKAI, 1980. 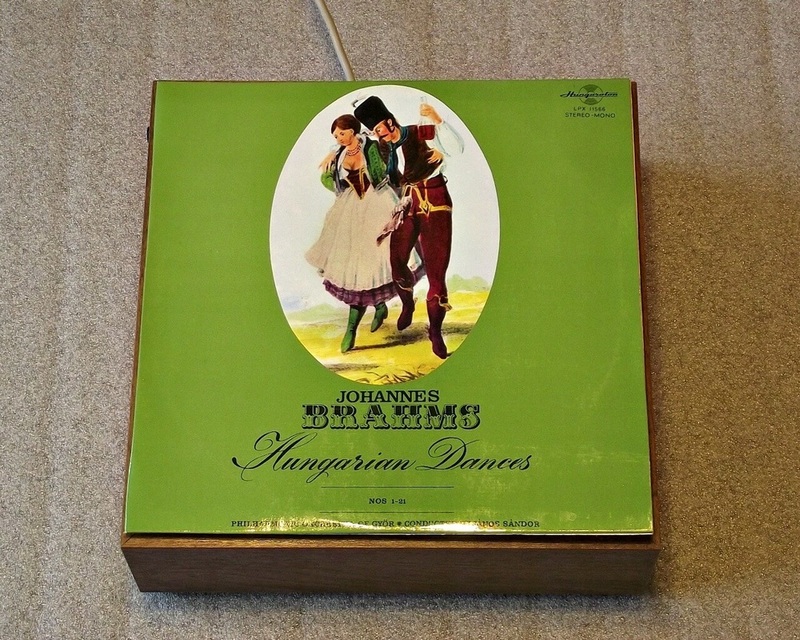 Let's see what's hiding behind those hungarian dancers..... A square box the size of a record sleeve. 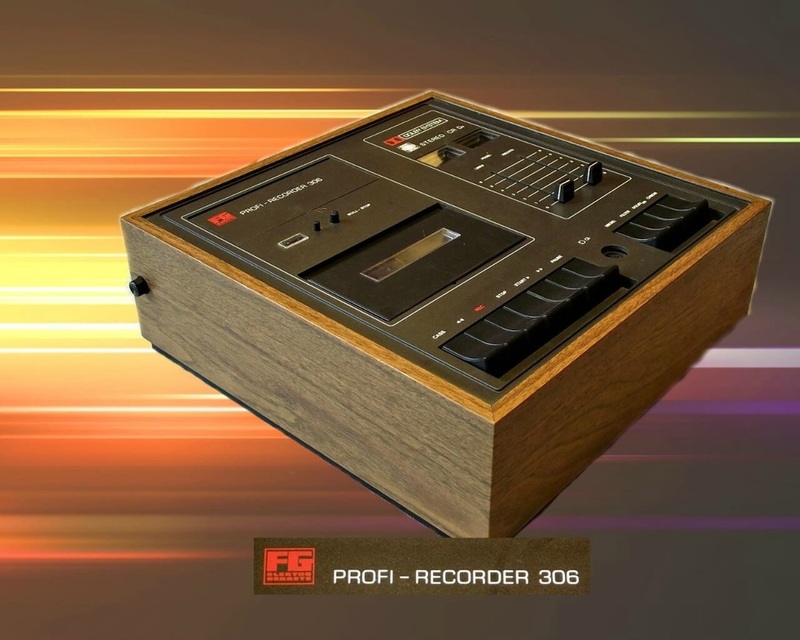 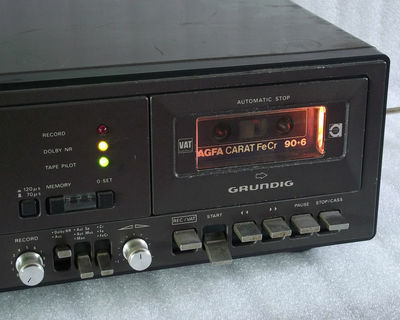 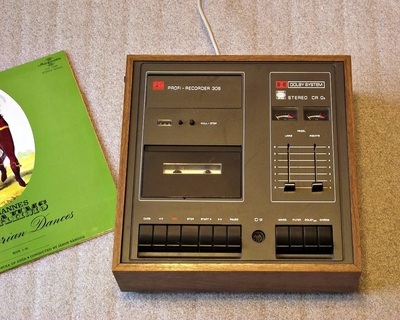 Made by FG ELEKTRO GERAETE, a German company that still exists today, but who only made very few audio components such as this PROFI-RECORDER 306 cassette deck. 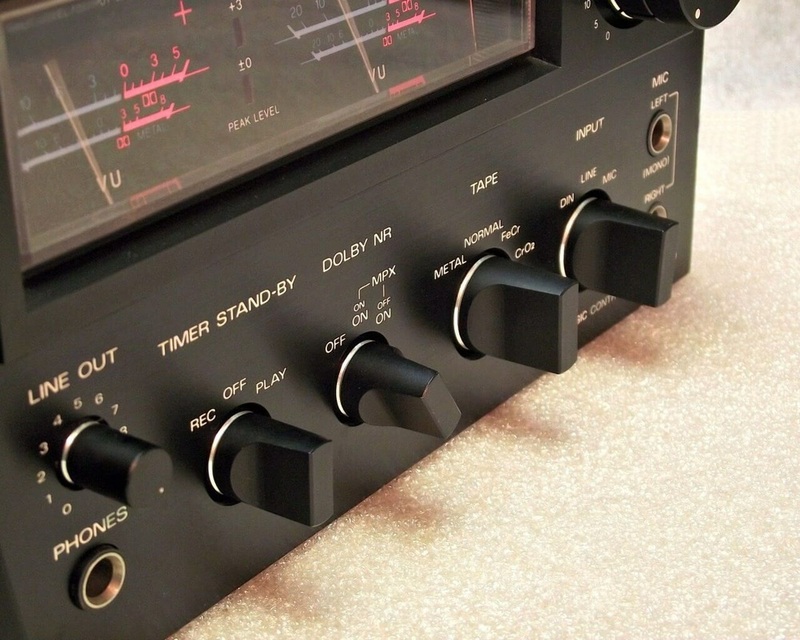 It seems however that they built the first PLL-Quartz-Digital tuner in Germany and they built components for other companies as well. 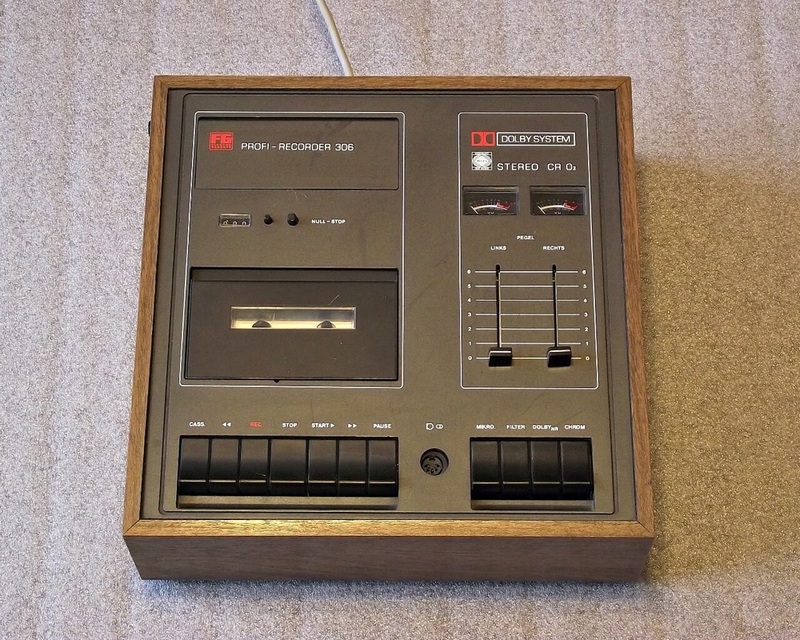 This deck is the same as the one used in the GRAETZ PROFI STUDIO 306 music center. 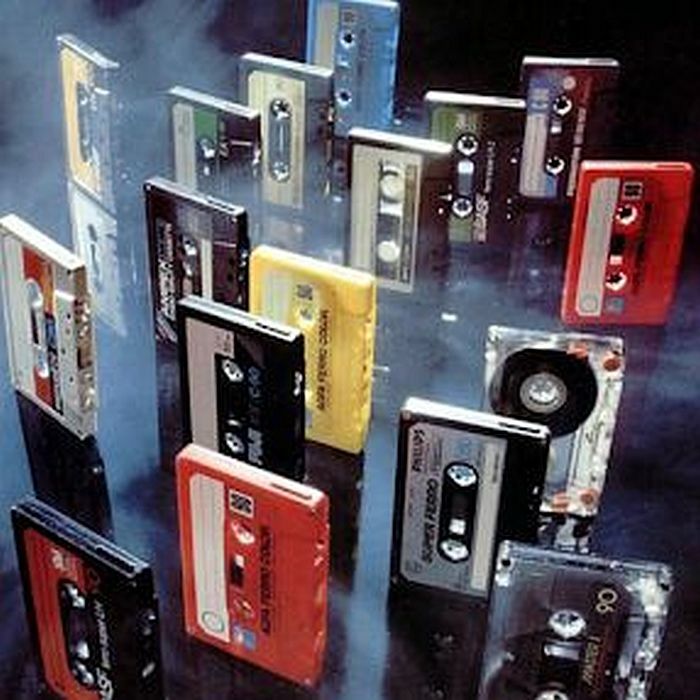 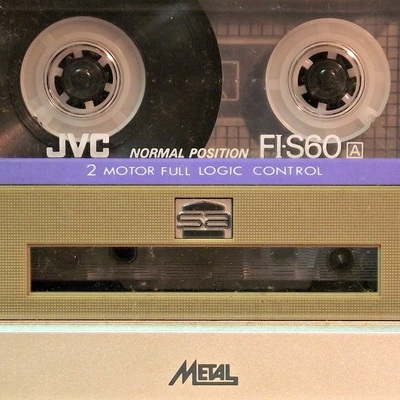 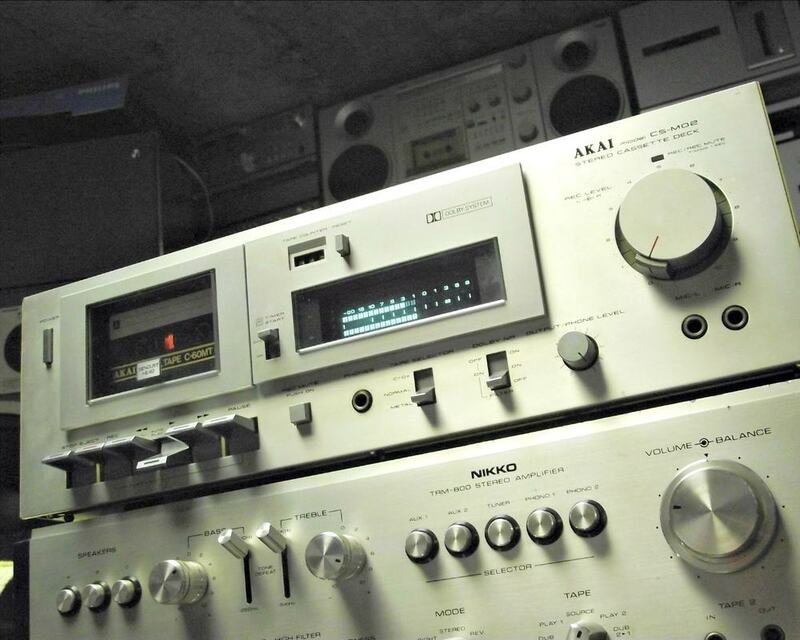 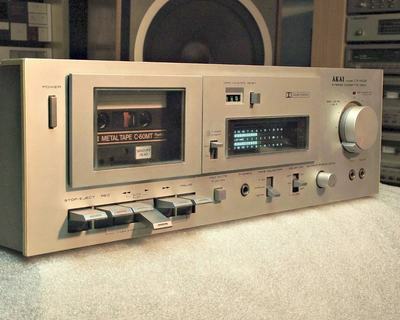 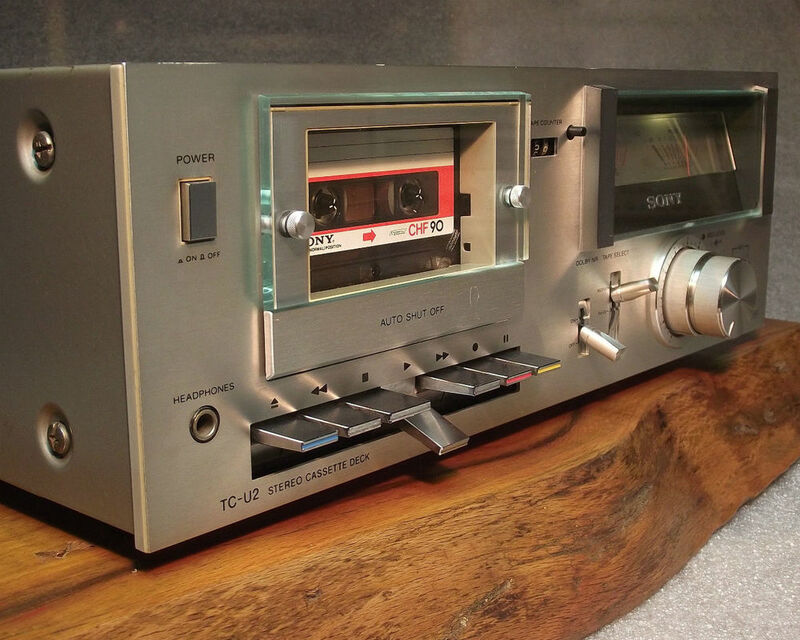 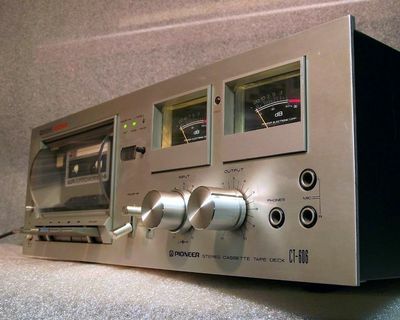 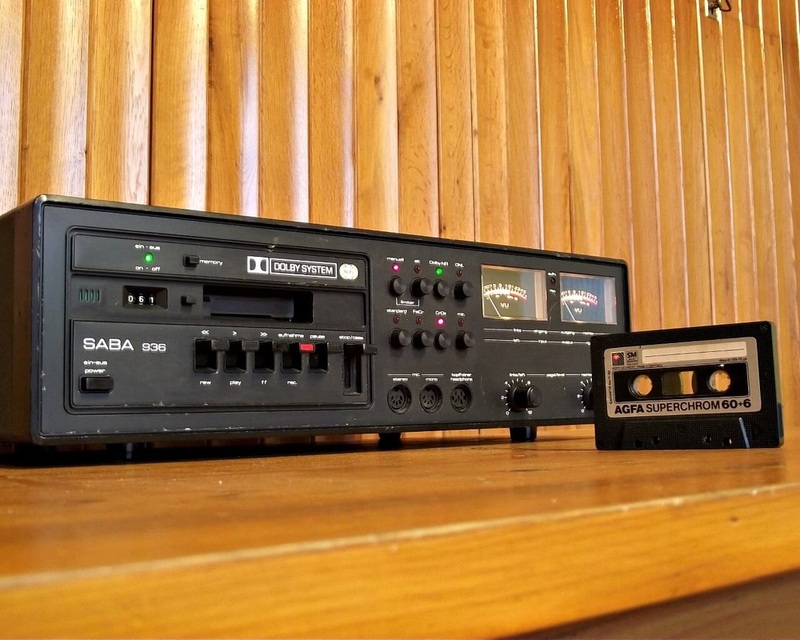 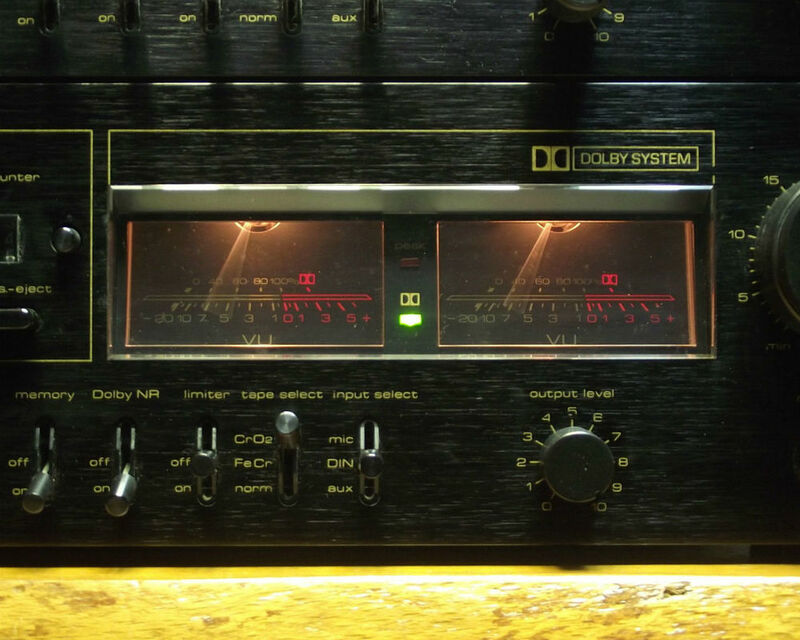 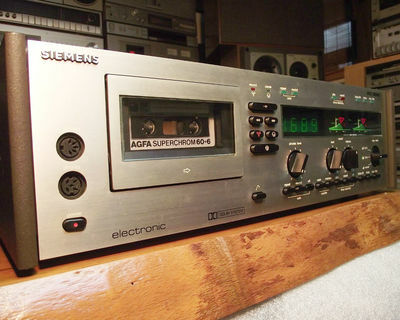 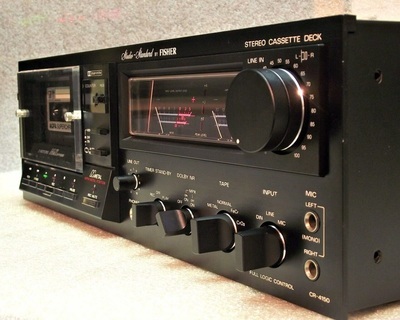 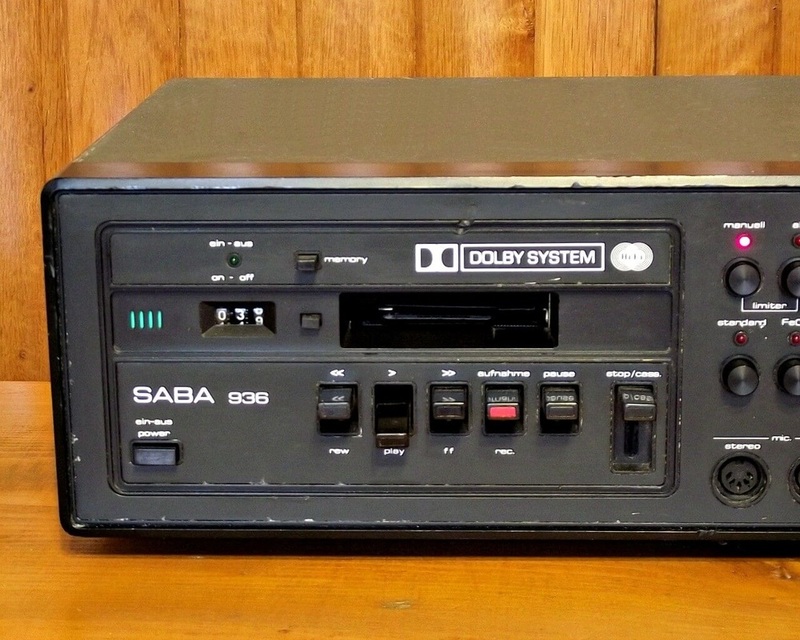 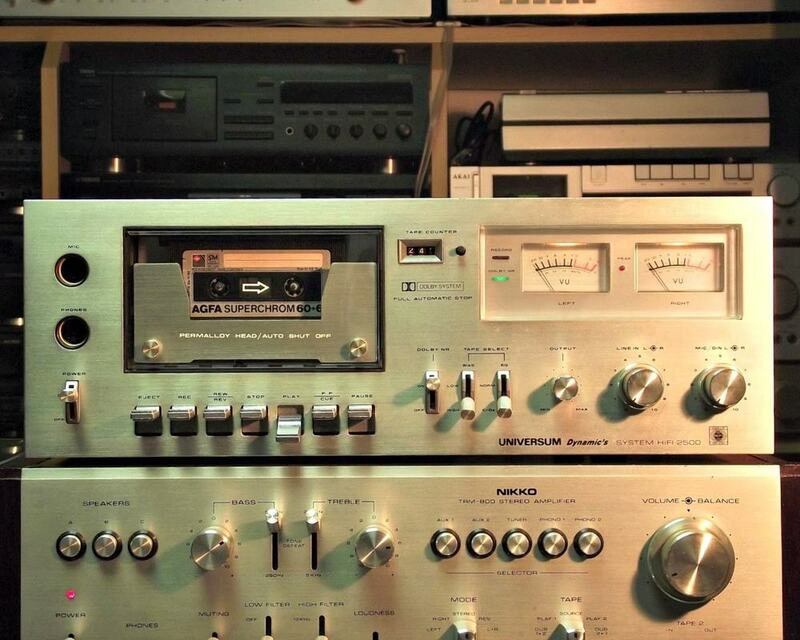 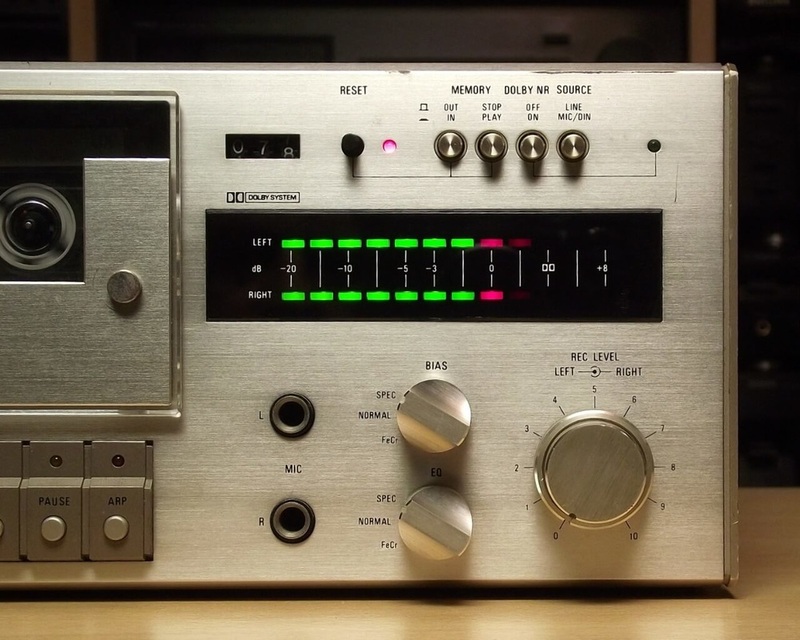 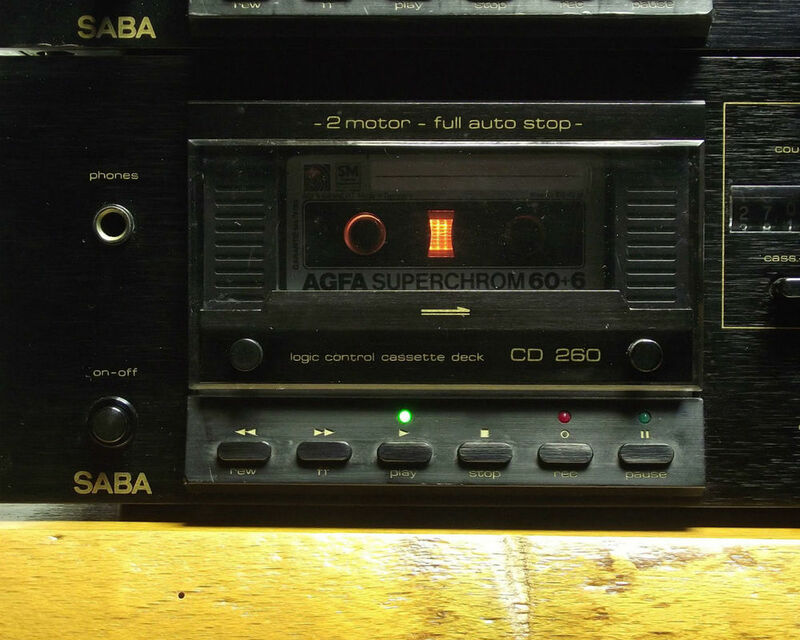 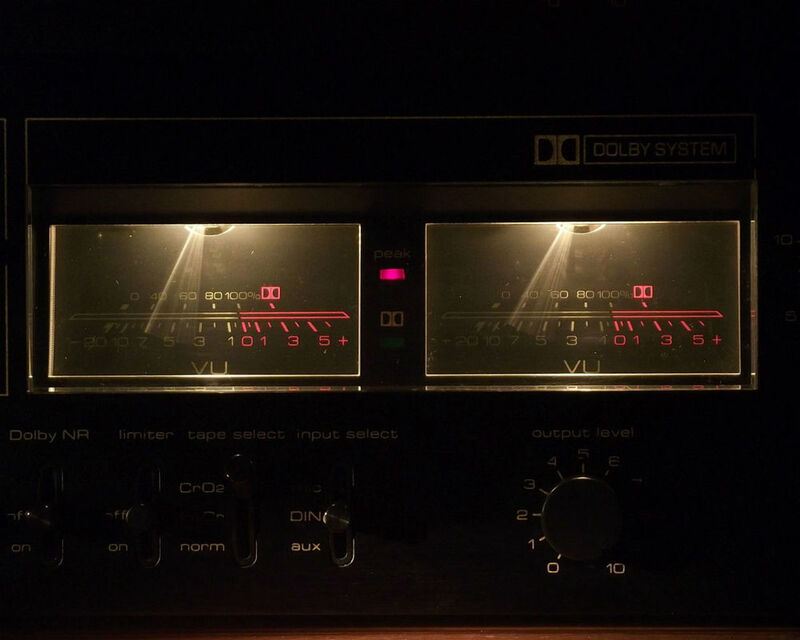 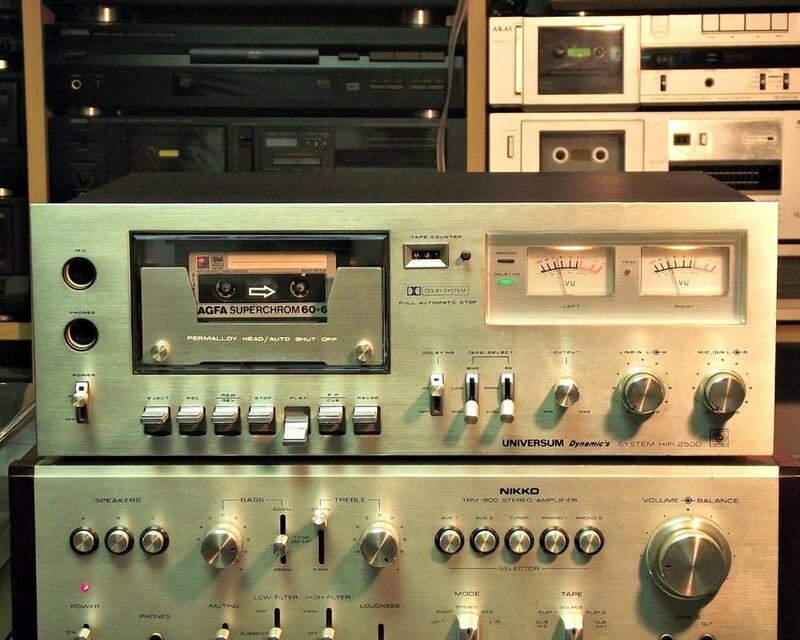 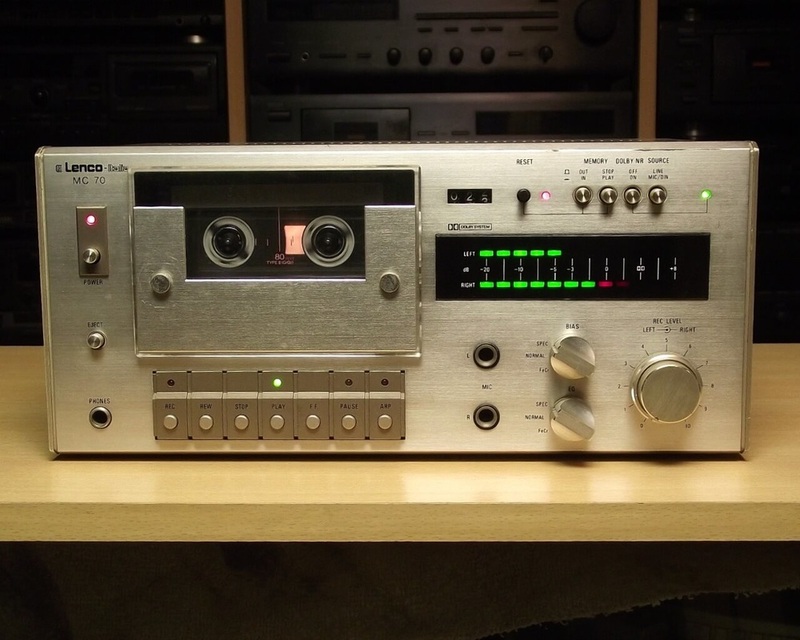 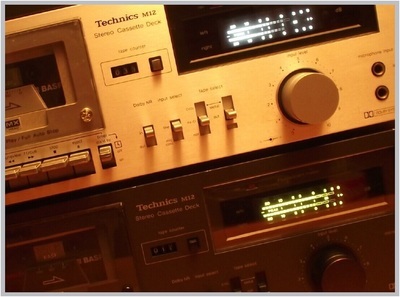 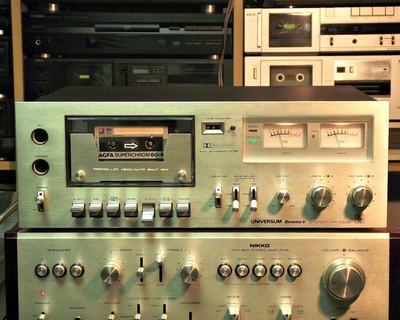 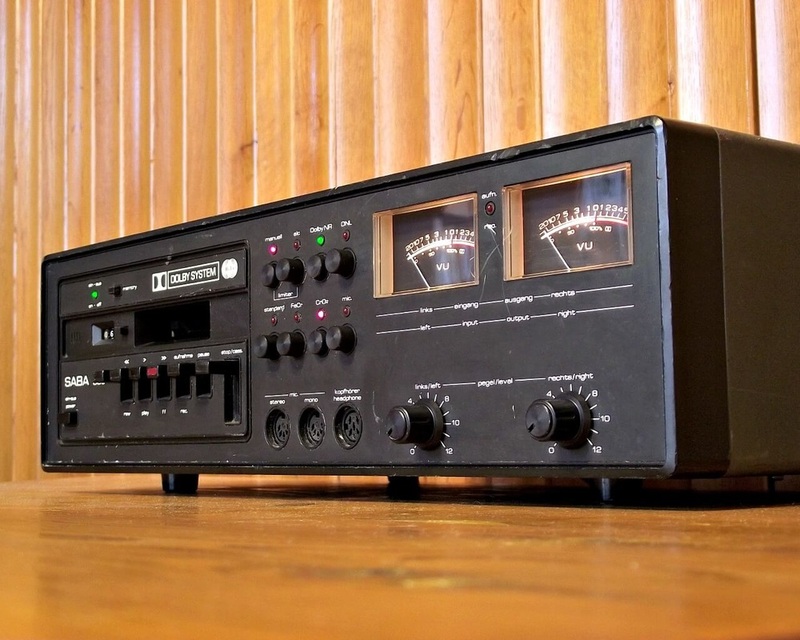 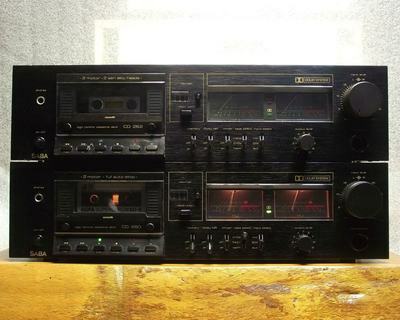 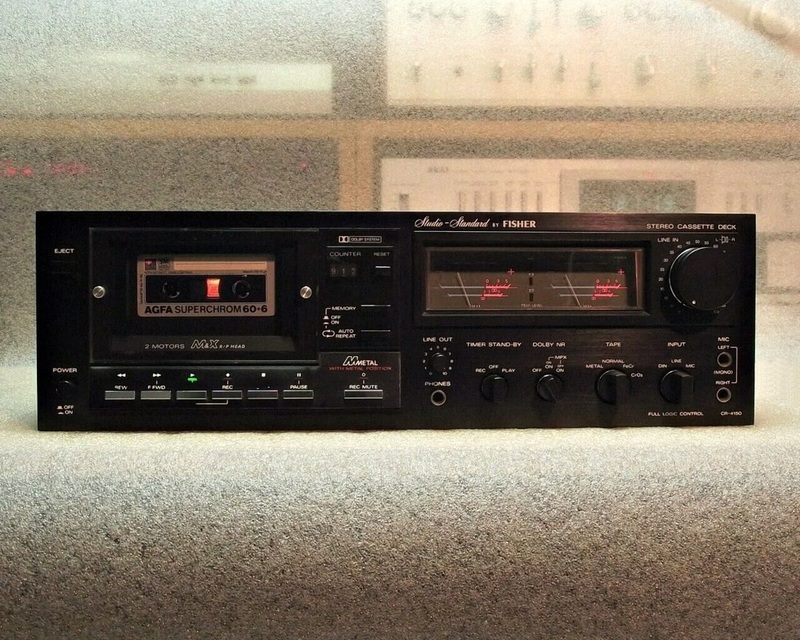 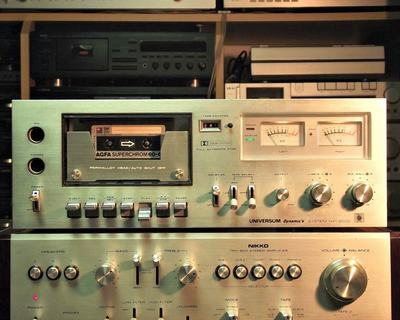 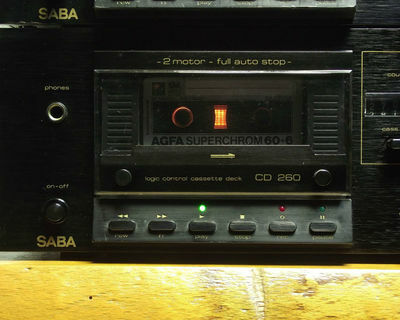 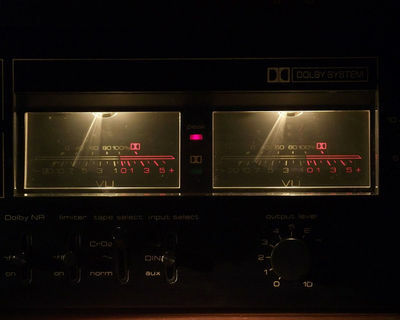 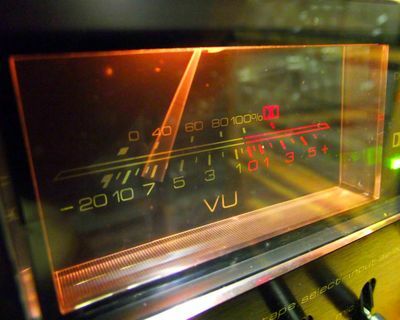 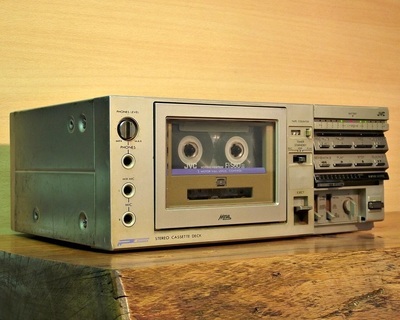 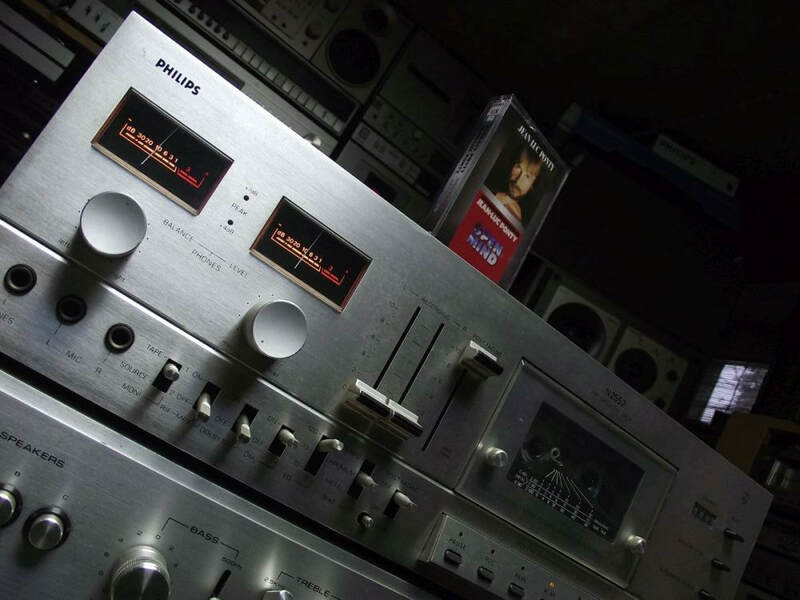 It is a typical 70's cassette deck with a two head one motor mechanism, Dolby noise reduction and manual recording level via two sliders and two classic needle type VU meters. The power on-off switch is situated on the left side of the unit while the input-output 5 pin DIN socket sits on the right side of the unit. It's a simple but very robust unit, after all it still works today (in 2015) The sound is surprisingly good for such an old unit but obviously doesn't match the quality of later cassette decks. FISHER is known to be the first company to introduce separate Hi-Fi audio components and it was formed in 1937 by Avery Fisher in New York. 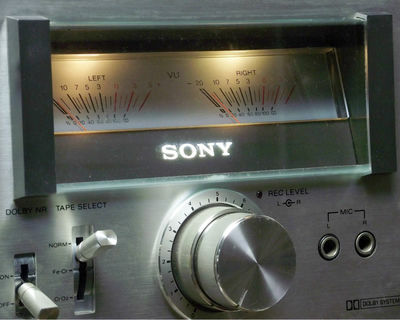 The company was sold in 1969 and by 1975 became a subsidiary of SANYO Japan. 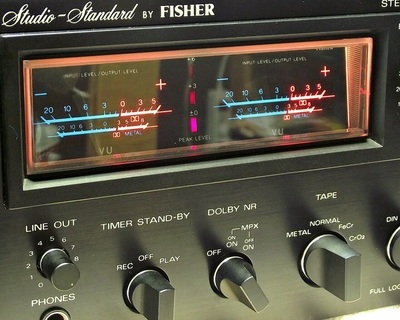 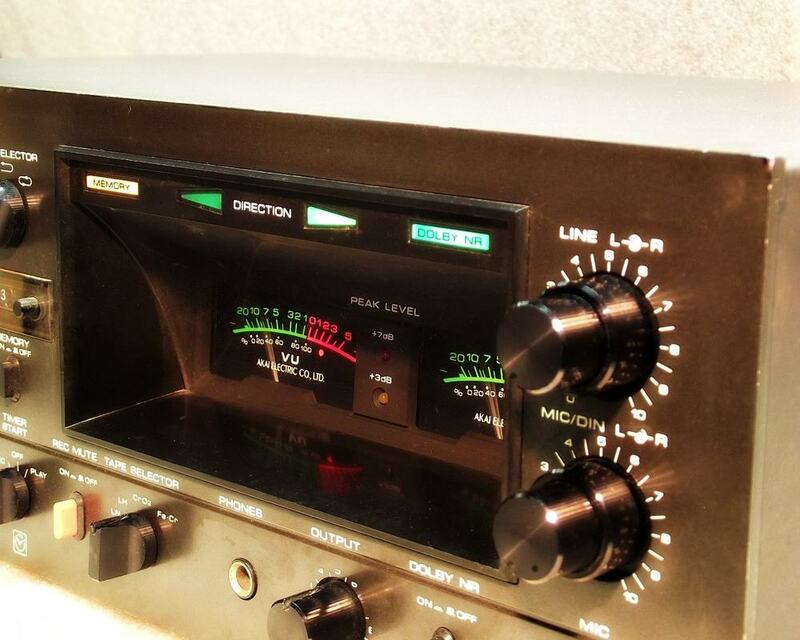 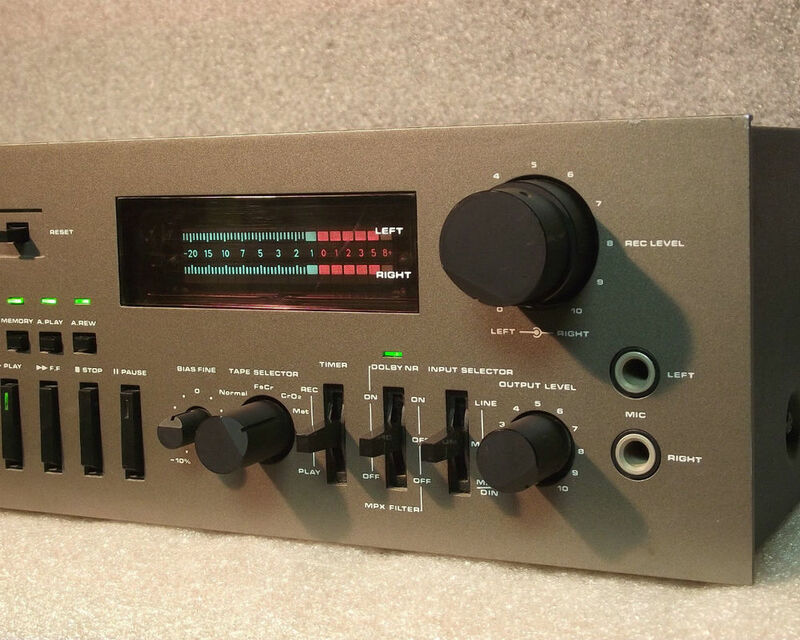 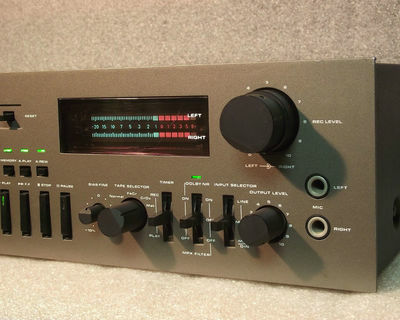 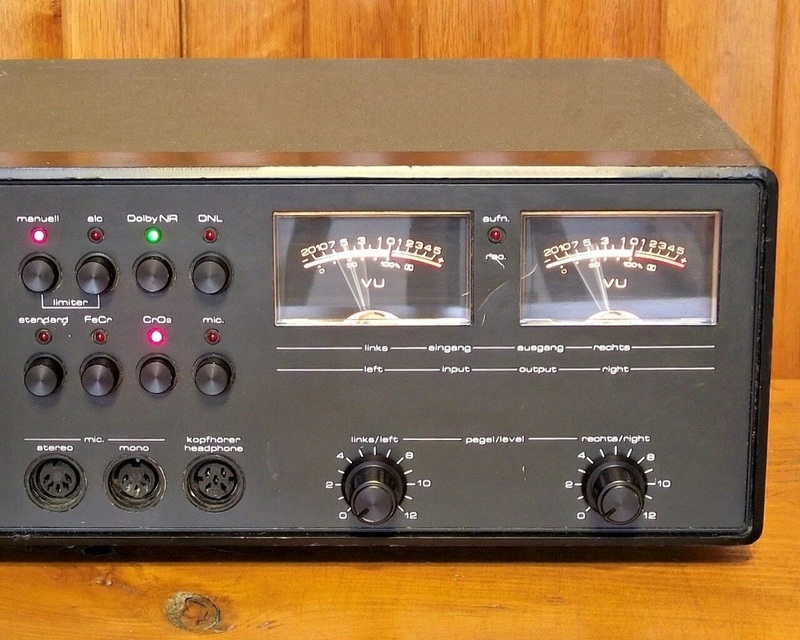 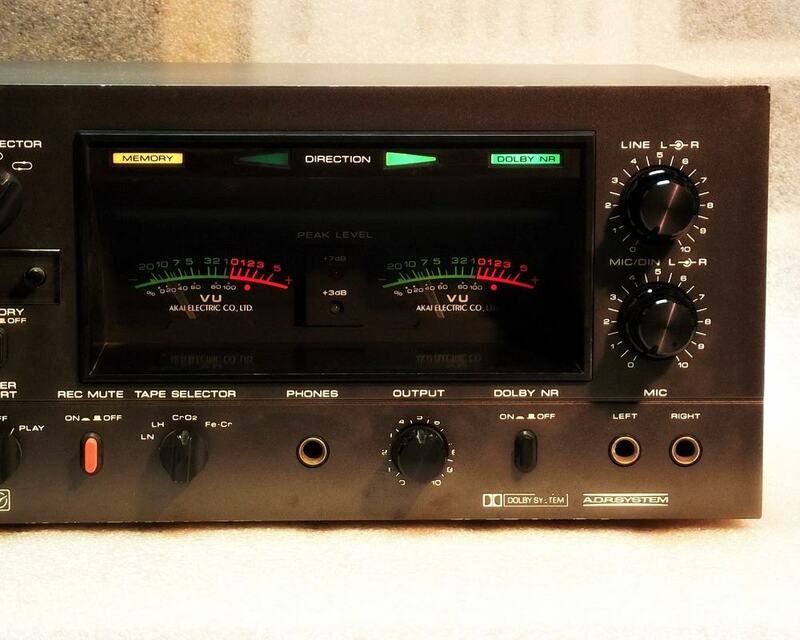 Since then most FISHER audio components were originally SANYO components such as this FISHER CR-4150 from 1980. 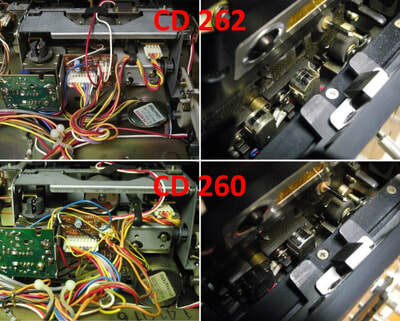 (See detail picture of the keypad control circuit) This is a very nice 2 head (MX/Ferrite) 2 motor (belt drive) cassette deck that can handle all tape types: Normal / FeCr / CrO2 and Metal. 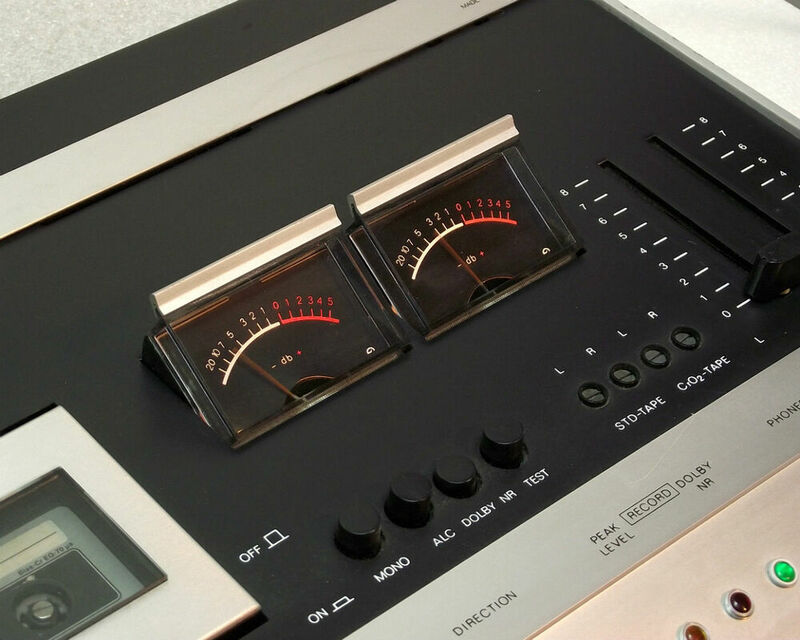 Technically is a very well built unit having an extemely pleasing estethical finish such as aluminium front panel, aluminium knobs with a nice decorative silver ring and a very nice VU meter with illuminated scale and 3 step LED peak level. 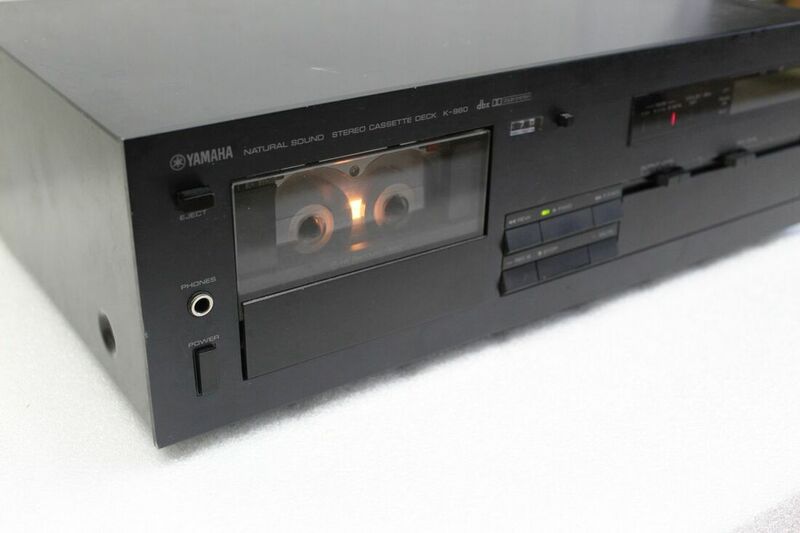 There is also a bright light that illuminates the back of the cassette window so you can clearly see the tape position. 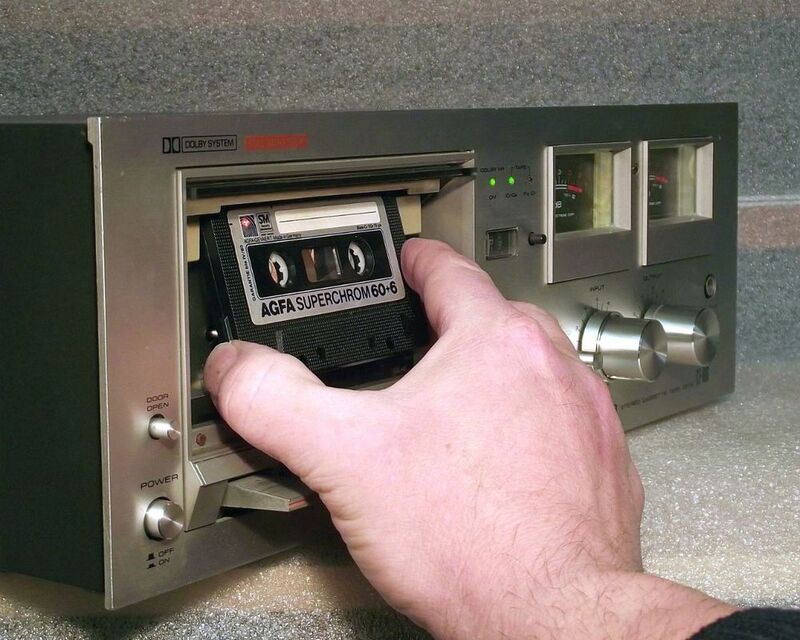 The head and pinch roller can be easily cleaned by removing the transparent front of the cassette compartiment. In order to avoid future confusion it has to be noted that there was a FISHER CR-4150 D model with Direct Drive motor that was the equivalent of the SANYO RD-880 from 1980. 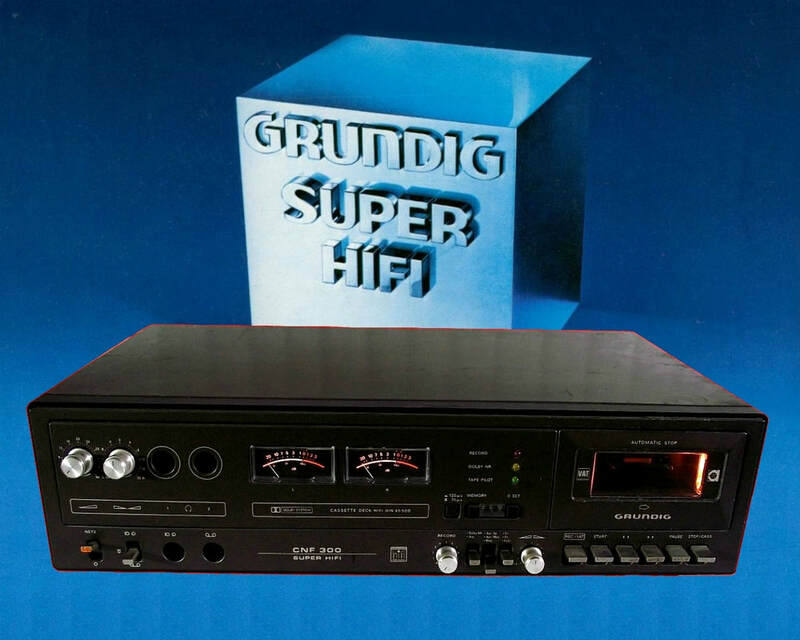 ​First deliveries of the GRUNDIG CNF 300 SUPER-HIFI were announced for May 1978. 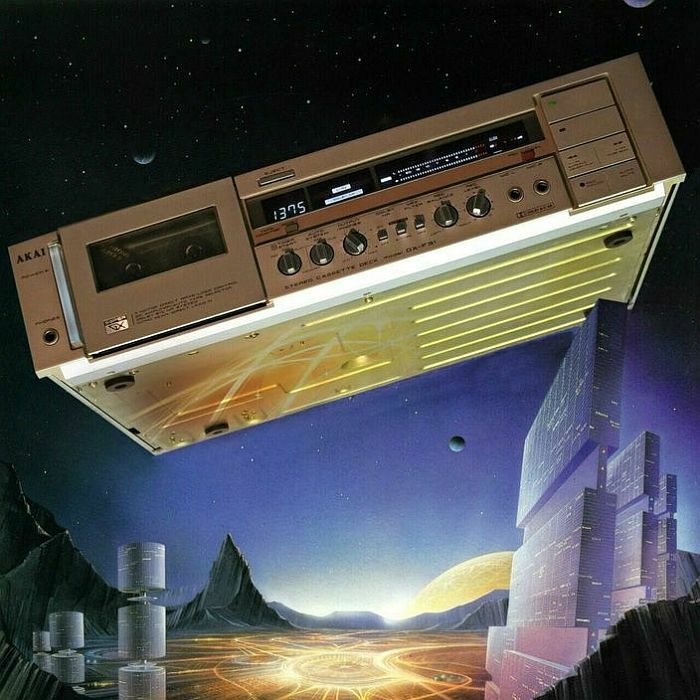 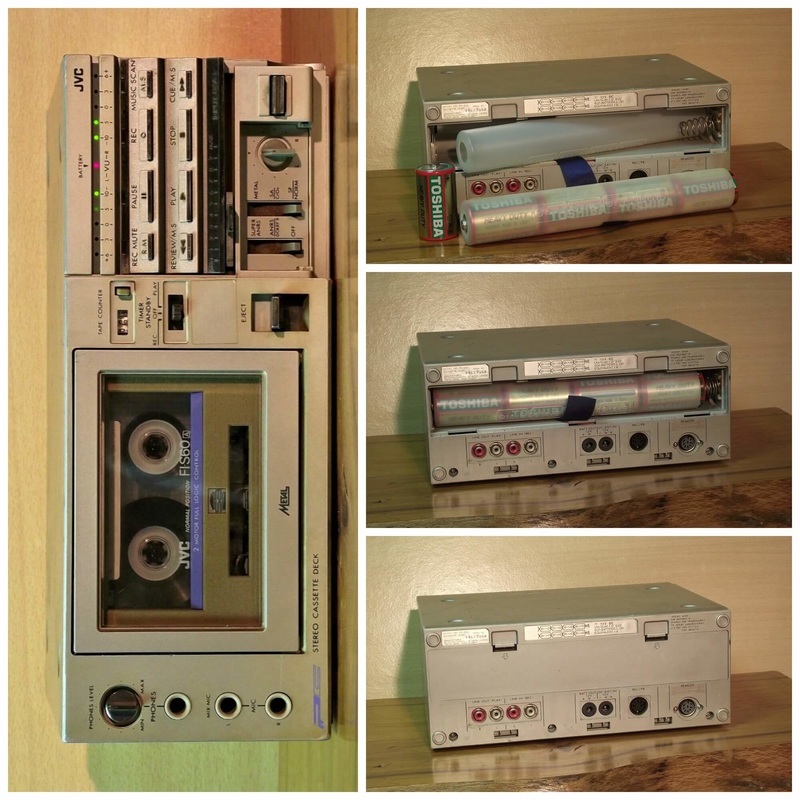 This is a super machine in many ways, that was built around the newly (1978) developped cassette mechanism, the CB 40 (Cassetten Bausteine) This cassette deck, Made in Germany, features several unique and unusual features, but let's start with the basics first. 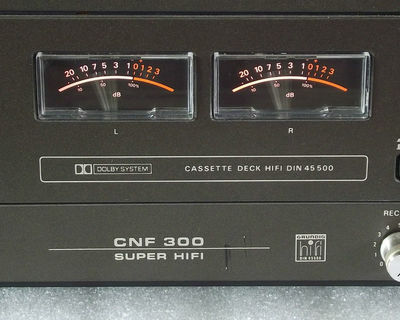 The above mentioned CB 40 is a simple but very robust tape mechanism-electronics built around a one motor transport featuring Long Life (Recovac) recording-playback head in a 2 head configuration set. Recordings can be made using Fe, Cr and FeCr tapes that can be selected with a manual switch while additionally you can switch between 120µs (Fe) and 70µs (Cr, FeCr) EQ settings. 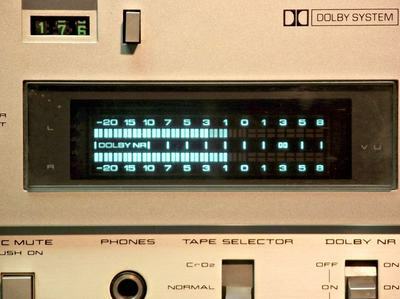 The recording level can be adjusted either manually or automatically with settings for speech or voice while for noise reduction we have the usual Dolby (B) noise reduction system. 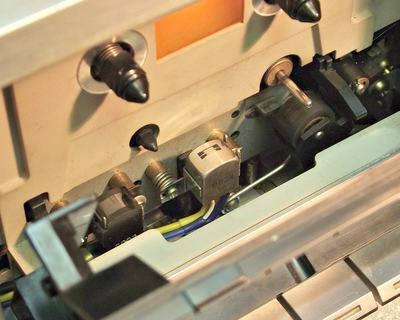 All connectors are DIN standard plugs. To the left we have front panel located input for mono/stereo microphone and another for tape recorder while the deck is connected to the amplifier via a DIN plug located in the bottom panel where we can also find a hidden output level control. 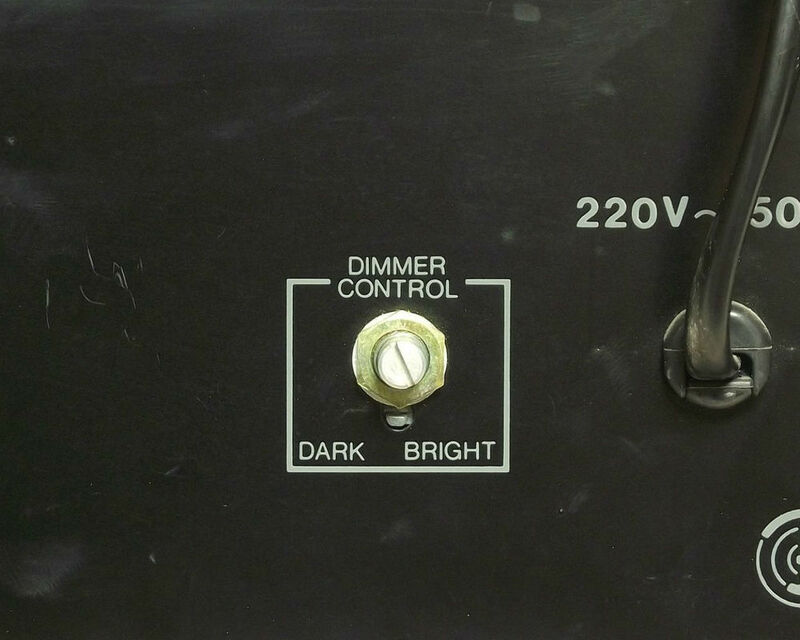 With a switch on the front panel you can select which in(out)put you are using. 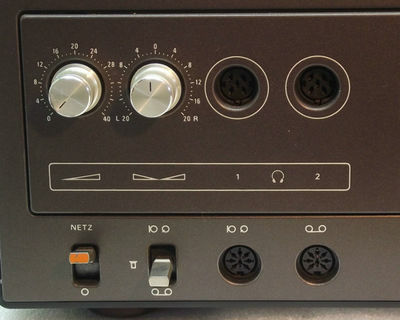 ​​One of the unusual features of the deck is located in the upper left part where we have two headphone connectors that can be simultaneusly used while volume and balance control is provided through the dedicated built-in MC 1458 headphone amplifier. 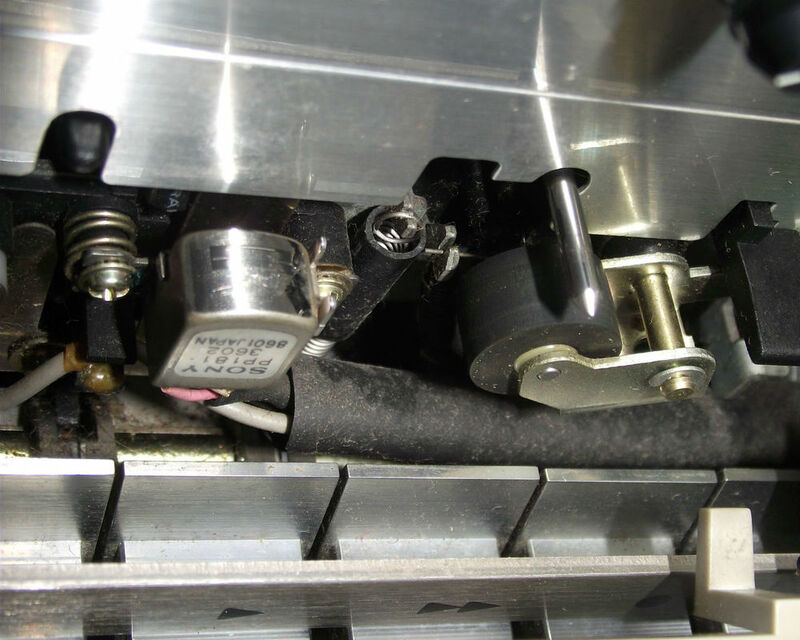 Another unusual feature is the VAT (Variable Ausblend-Technik) circuit. This is a Post Fading circuit that works in conjunction with the recording balance control allowing you to fade in or out a recording after recording was finished. Other unusual features can be found in the cassette compartiment where the head has a plastic cover / cleaner that swings away when you press play while the pinch roller has no fixed position rather it has a self centering mounting. 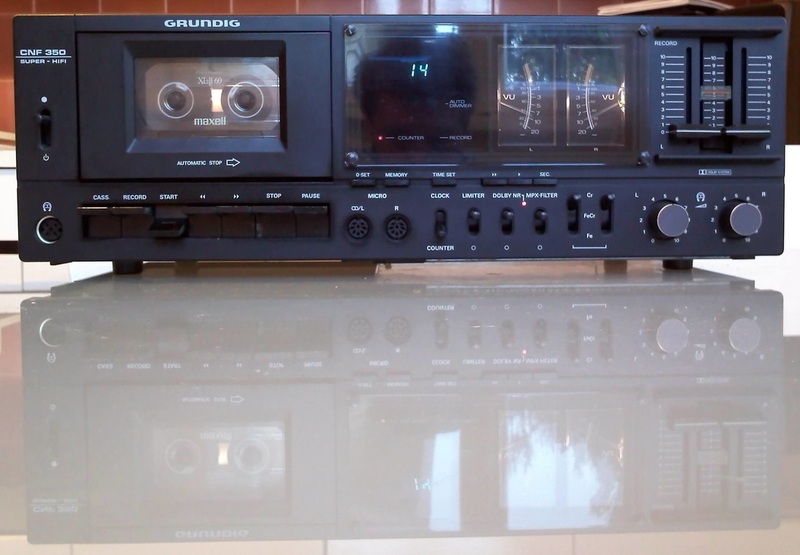 (more about these in our upcoming YouTube video) Instead of the usual cassette illumination from the back, the GRUNDIG CNF 300 has front ilumination located in the cassette door. Specified frequency response of the deck is 30 - 16,000 Hz but what makes this deck really big is it's size of 54 x 13 x 31 cm and 8 kg weight. 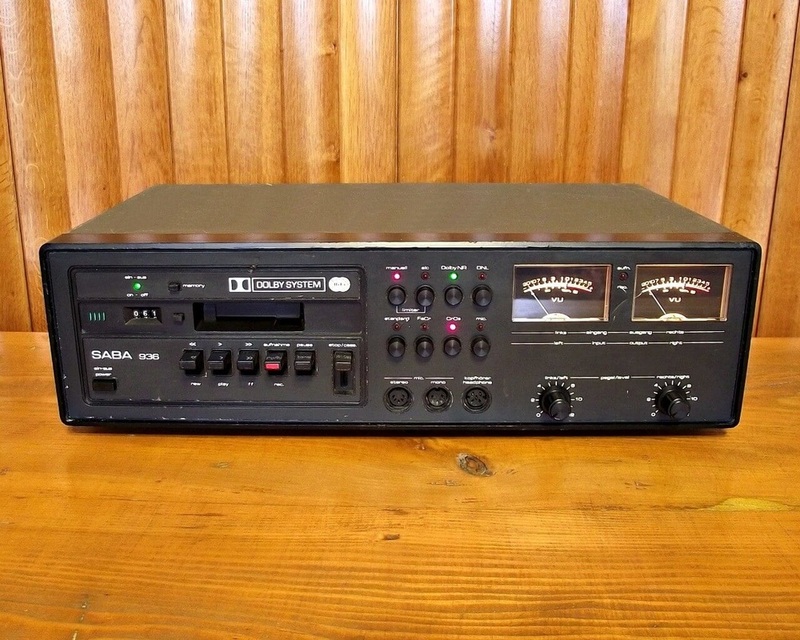 This is a very good sounding and high build quality cassette recorder from 1979. 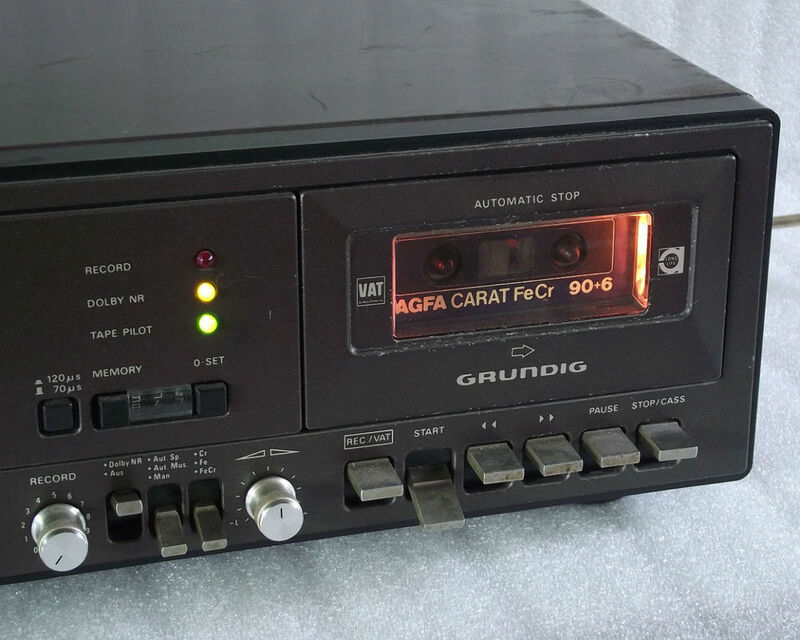 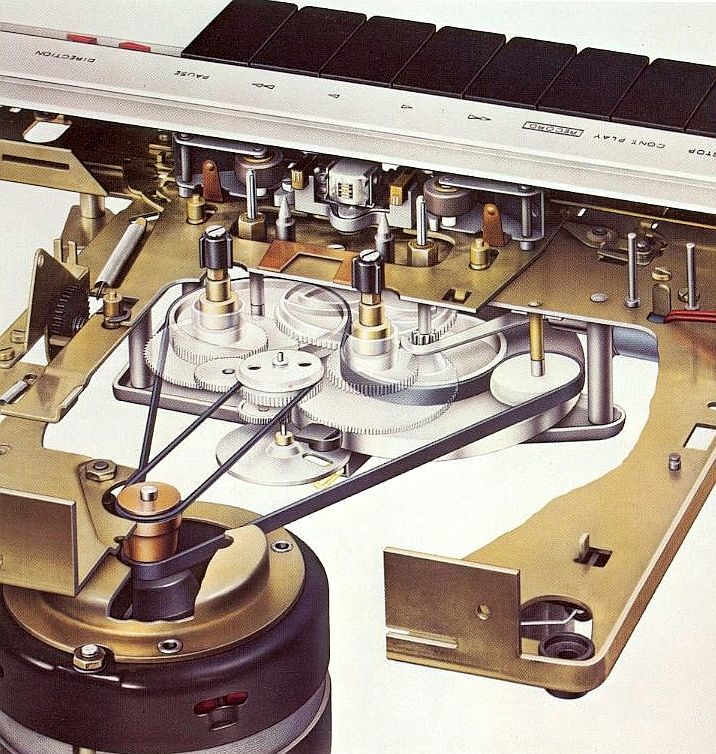 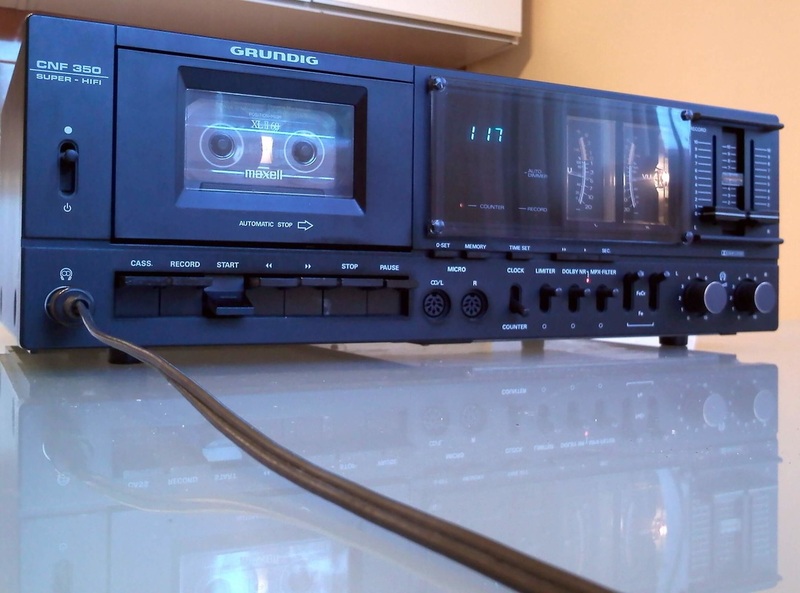 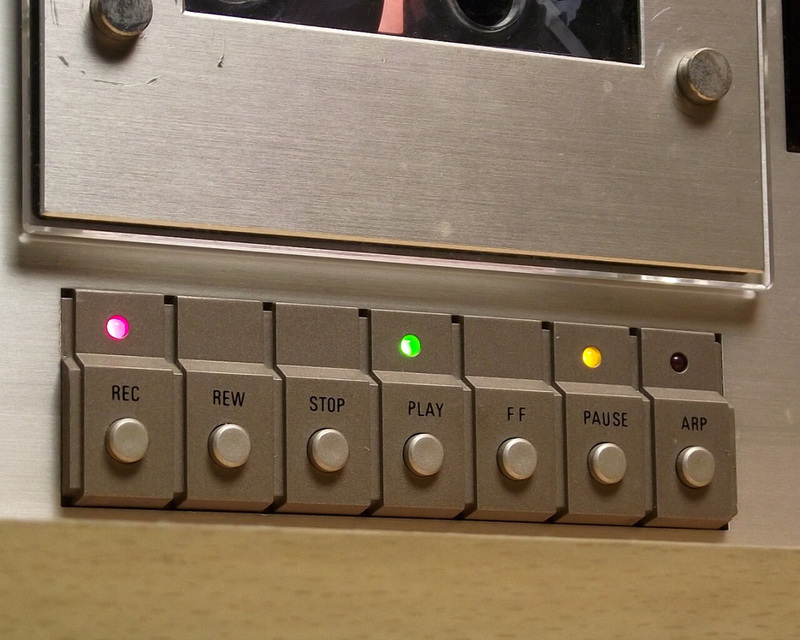 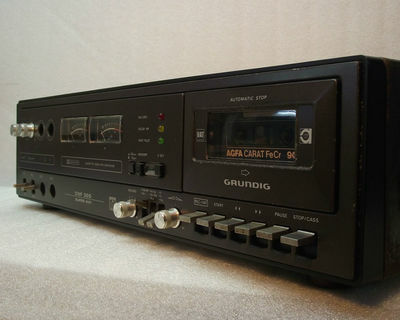 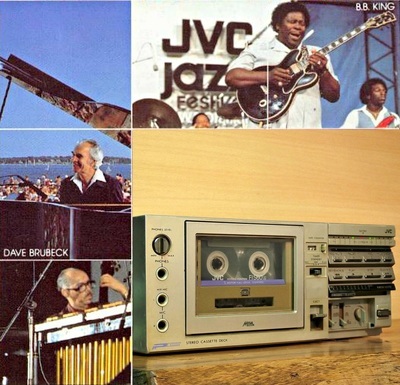 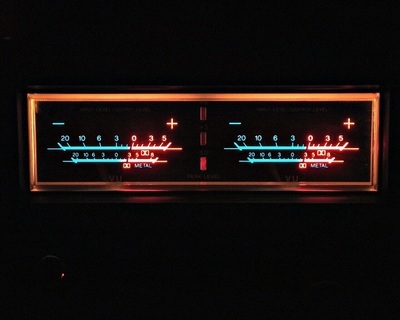 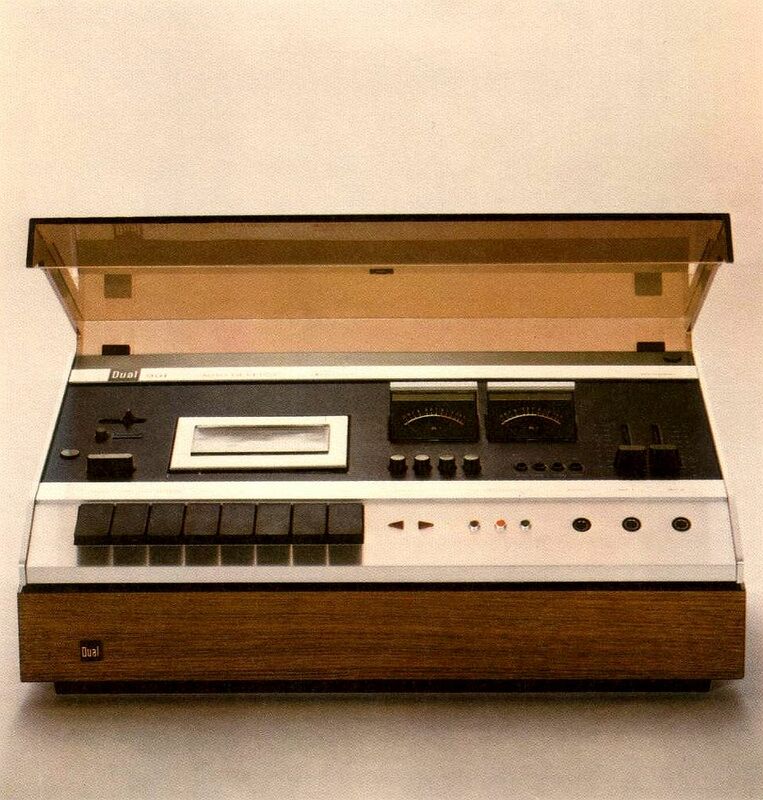 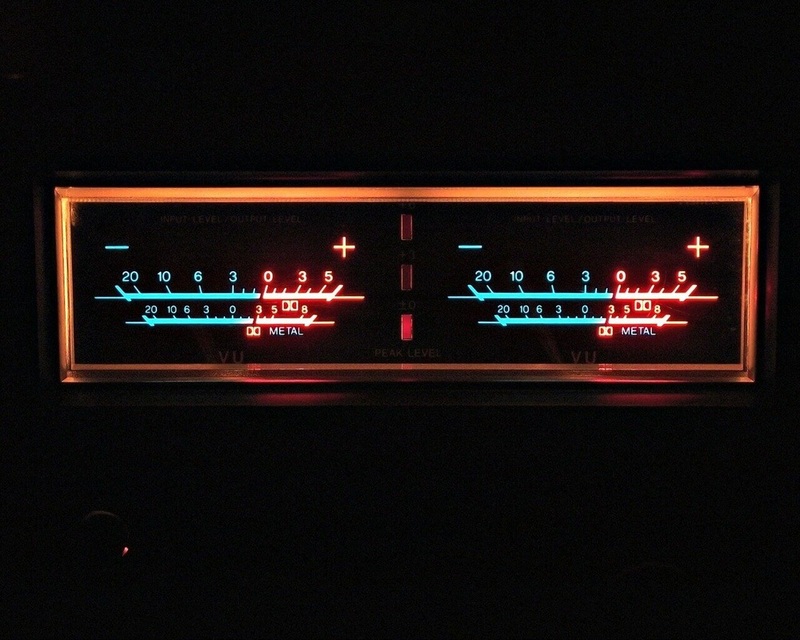 The pictures show you a GRUNDIG CNF 350 recorder with a big DIGITAL display (in 1979!) that can be selected to work as tape counter or simply a digital clock. 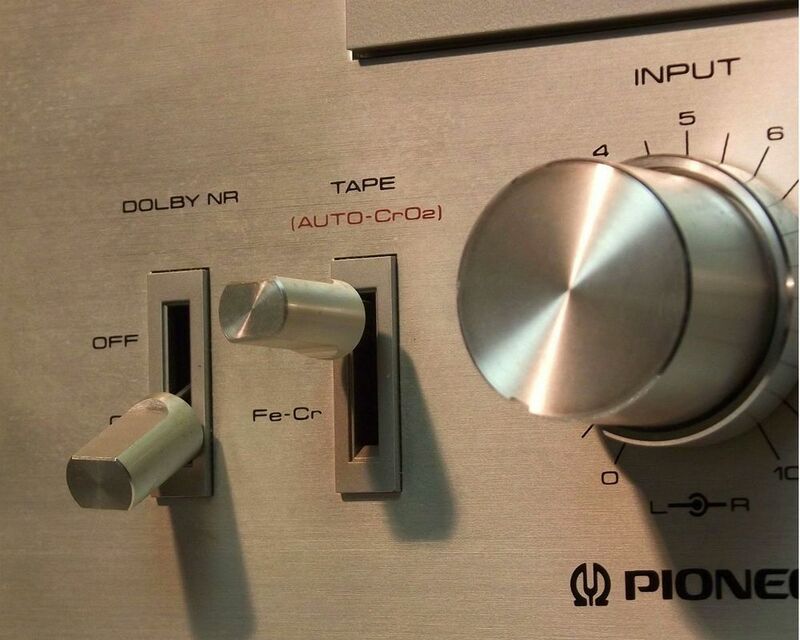 For headphones you have a DIN plug with separate volume control for left and right channel. 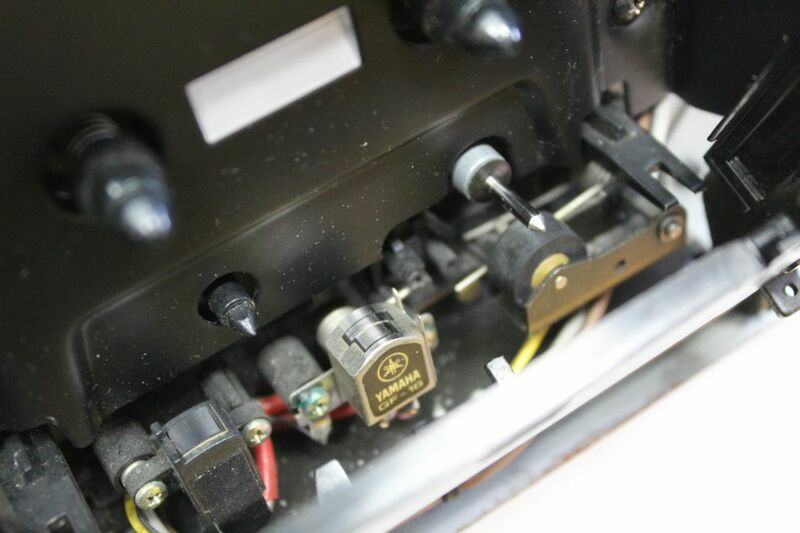 At the back there is a DIN plug for input and output with two output level controls. 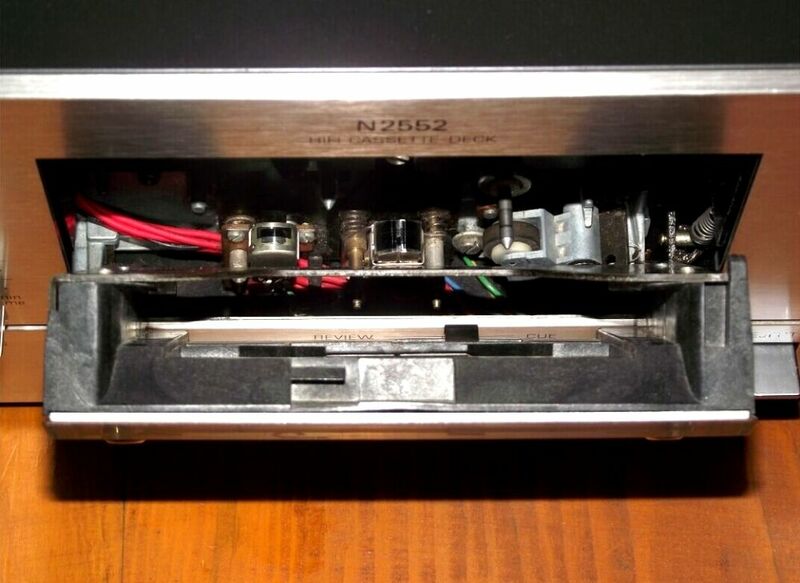 The head has an azimuth control a'la PHILIPS with two tape guides. 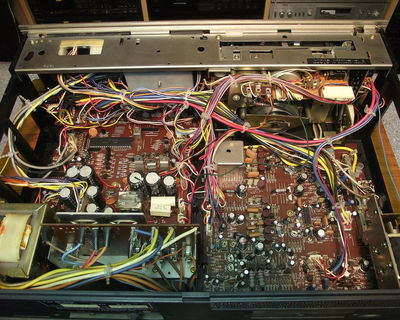 One tape guide on the left side and one on the right side of the playback head. 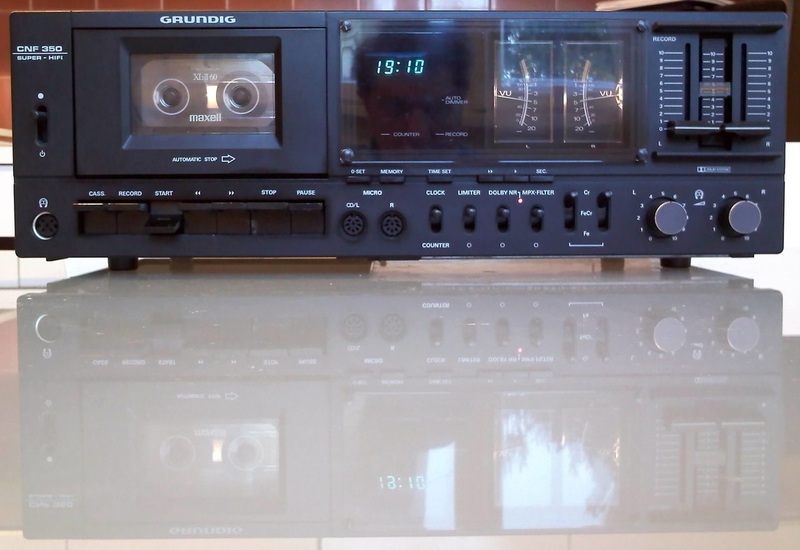 The big surprise with this German deck is the fact, that this is......a Japanese deck, a rebadged (and slightly modified) SANYO RD 5600 UM from 1977. Anyway, I would consider this a "Spitzenklasse" recorder in a "Time Machine" category. 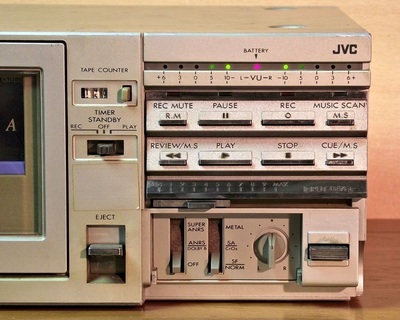 Meet the JVC PC-D5L from 1980, part of the ultra-versatile portable component system - JVC PC-5. This was a special concept from JVC with separate components that could be assembled into a portable unit. As a result of this concept the JVC PC-D5L compact cassette recorder can be used independently either with a 12V AC adapter, a 12V car adapter or 8 "D" size batteries. 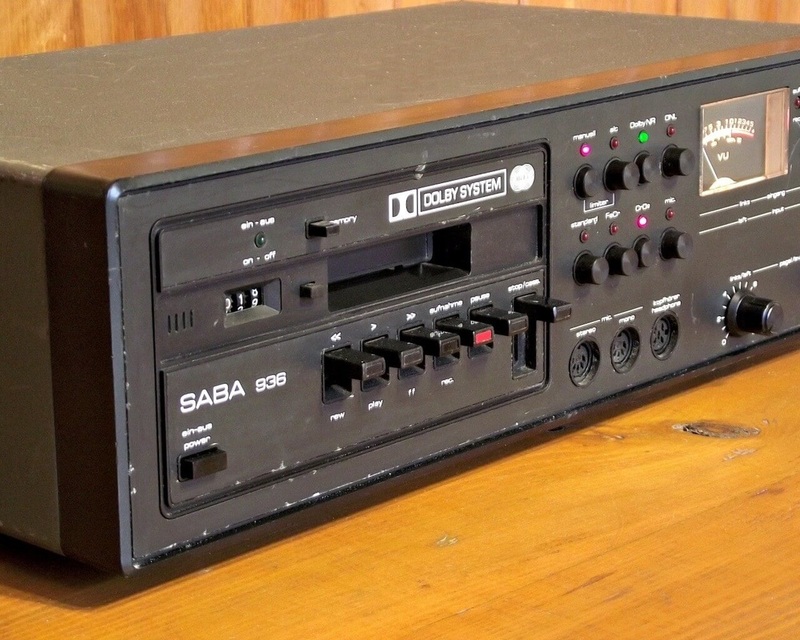 This makes it a high quality portable field recorder as well as a Hi-Fi recorder. As a result of the incorporated SA (Sen-Alloy) record/playback head and the 2-gap SA erase head you get the full benefit from Metal tape in a two-motor, full-logic solenoid-operated design. 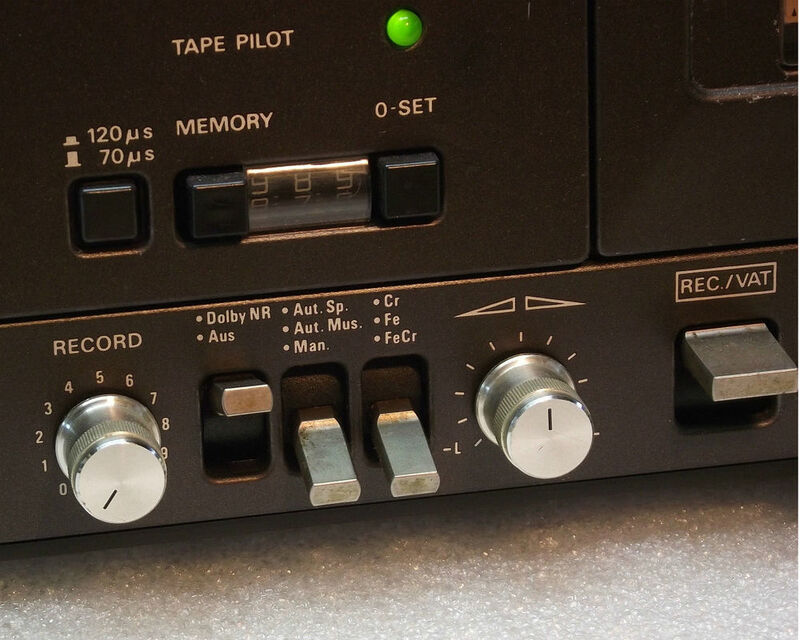 To improve dynamic range while reducing tape hiss the deck is equipped with JVCs own noise reduction system, the ANRS and Super ANRS. The ANRS system is fully compatible with Dolby B noise reduction. 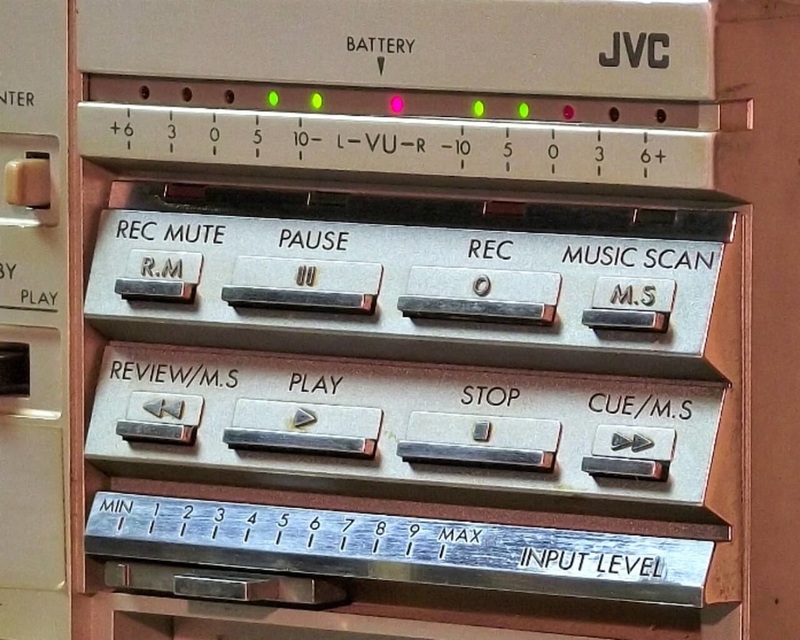 For on-the-go Hi-Fi entertainment JVC offered a series of accessoires such as a car adapter (CN-333K), rechargable battery pack (BP-12K), AC adapter/charger (AA-12), stereo microphone (M-201) and stereo headphones (H-M11). There was also an optional wired remote control unit - R-15E. 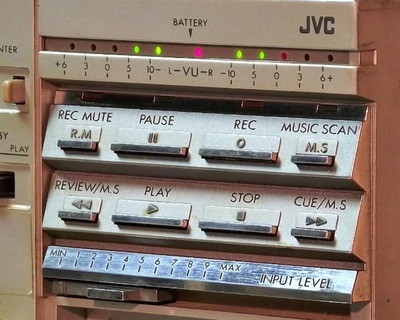 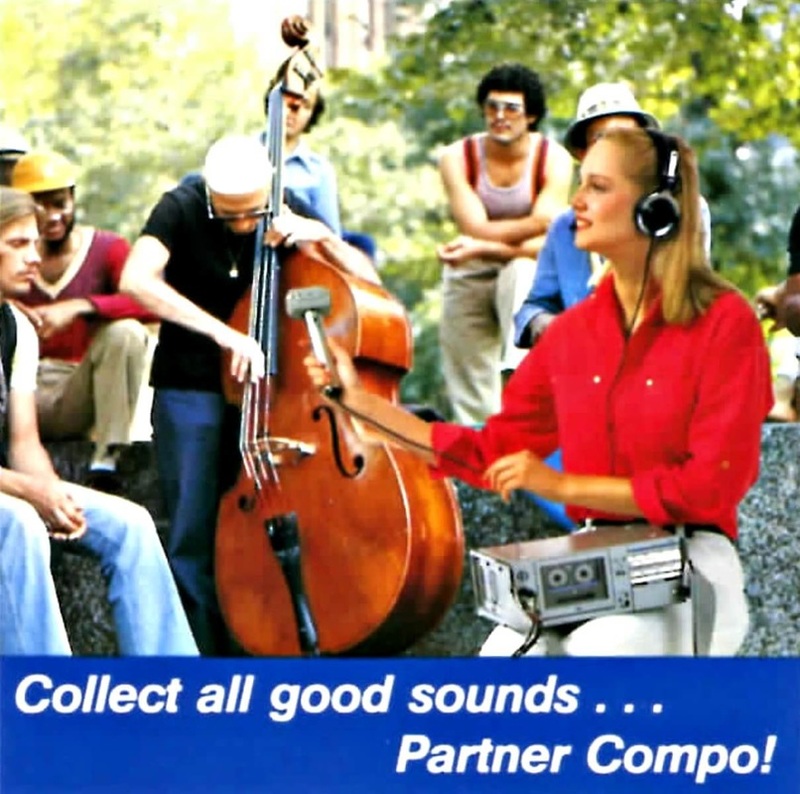 The JVC PC-5 system was heavily promoted in magazine adverts by famous sport personalities like Bjorn Borg, the Harlem Globetrotters or Denise Biellmann. Unfortunately the small flip down sub-panel is missing from my unit but the performance is still great. 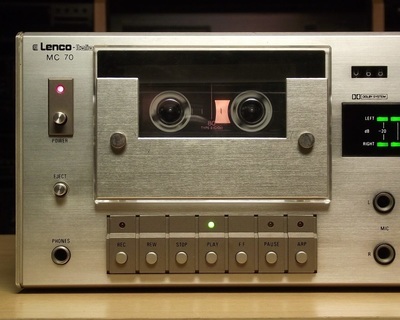 This is a very nice 2 head mini cassette deck seen here branded as Lenco-Italia MC 70 but, this deck was made with several other brand names as well. At 1001 Hi-Fi - The Stereo Museum we have a matching power amplifier from this system branded as KRAUS MINIPACK 50A. 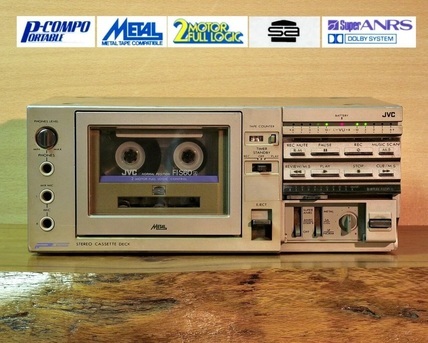 This same system was sold in America with Realistic logo but they all came from the same manufacturer in Japan, Cybernet. It has a solid build quality with aluminium knobs, 12 segment LED VU meter, full logic control and I can tell you that it sounds better than you would expect. ​Metz has been developing and manufacturing products in Germany for almost 80 years, making it one of the longest established consumer electronics companies in the country. The company founded by Paul Metz in 1938 is best known for it's high quality photo camera flash products and a special line of TV sets still sold today under the Made in Germany slogan. 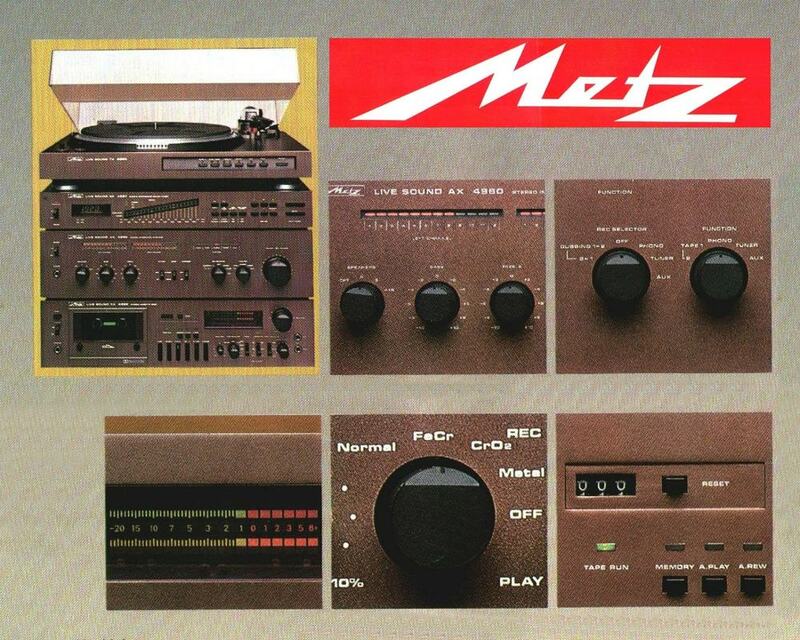 Sound was also important for Metz so after the introduction of their first radio in 1947 their lineup occasionally featured on or two audio systems as well. These were mostly rebadged units like the audio set from 1981 sourced from RFT, the audio system from 1986 sourced from AKAI or the audio-video systems from the 90's sourced from PIONEER. 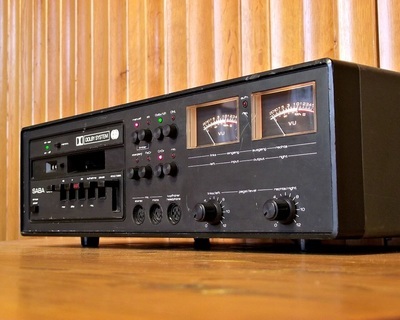 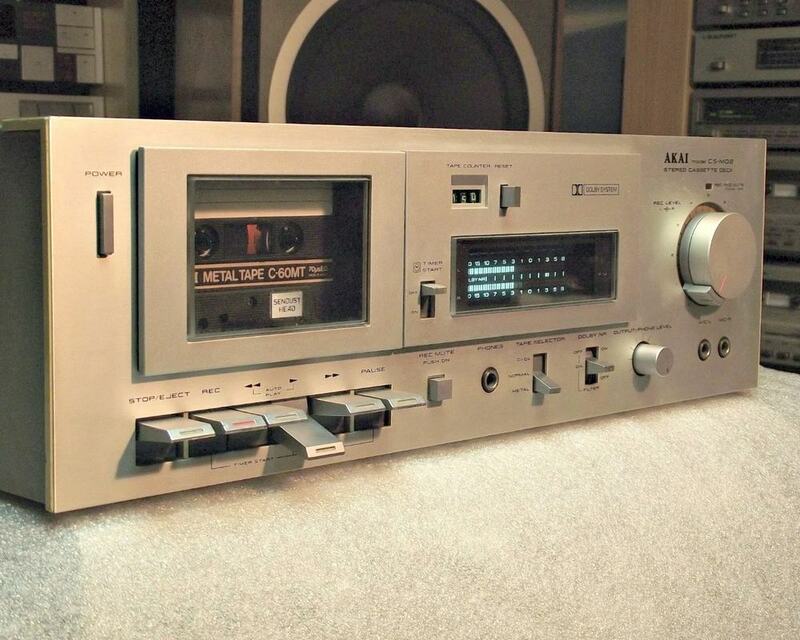 ​The Metz MECASOUND CX 4962 from the 1001 Hi-Fi collection is from their 1979 lineup. 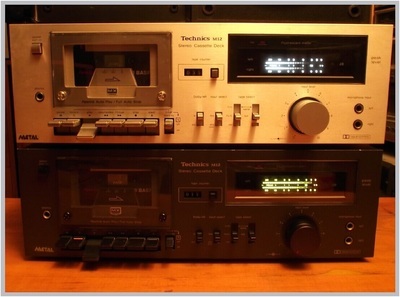 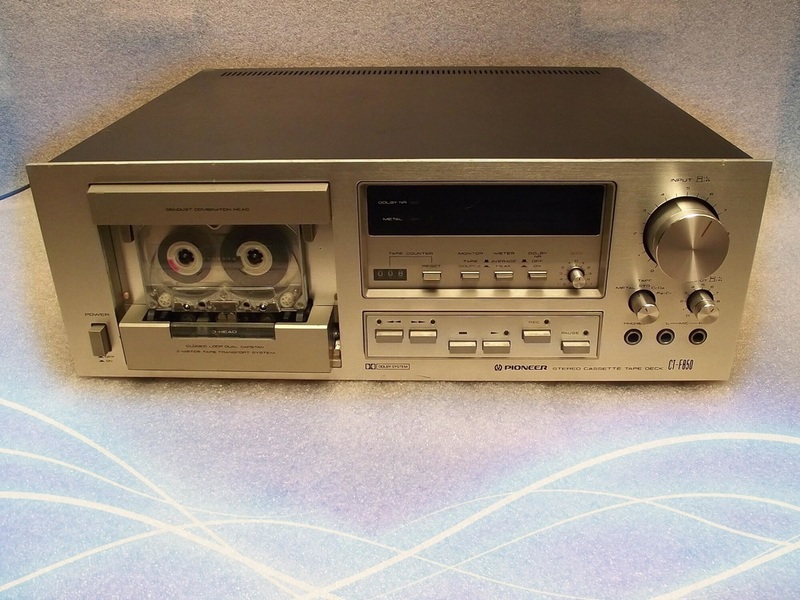 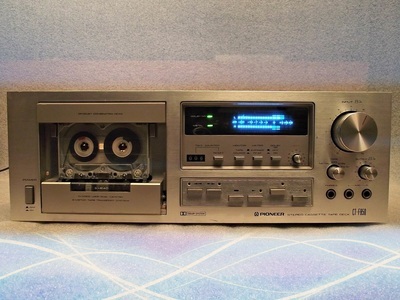 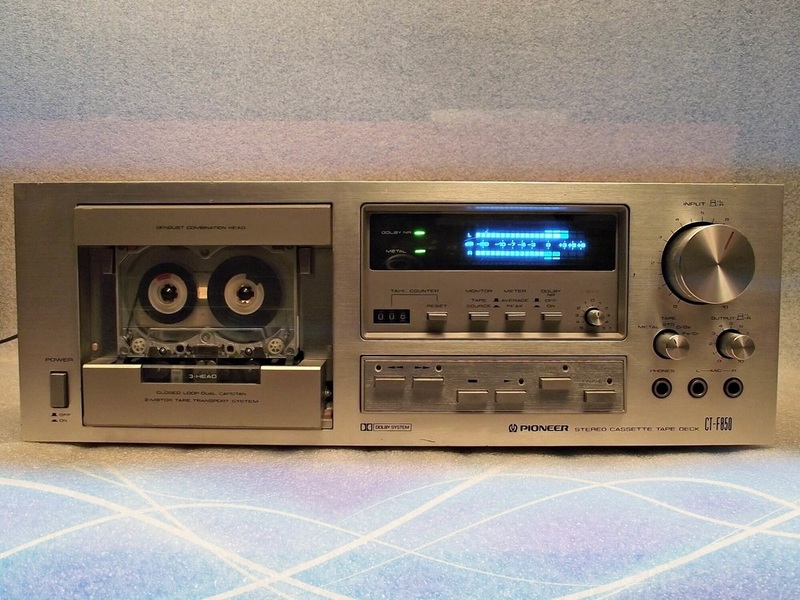 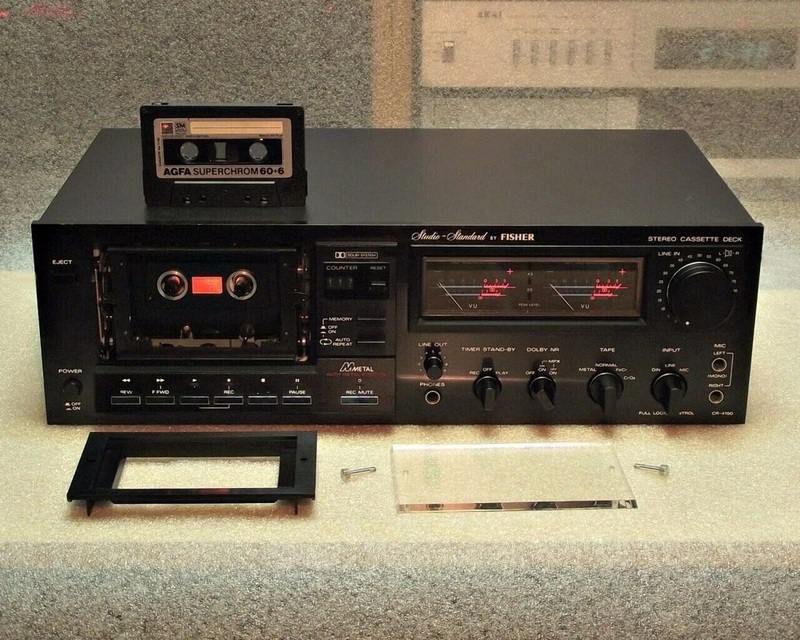 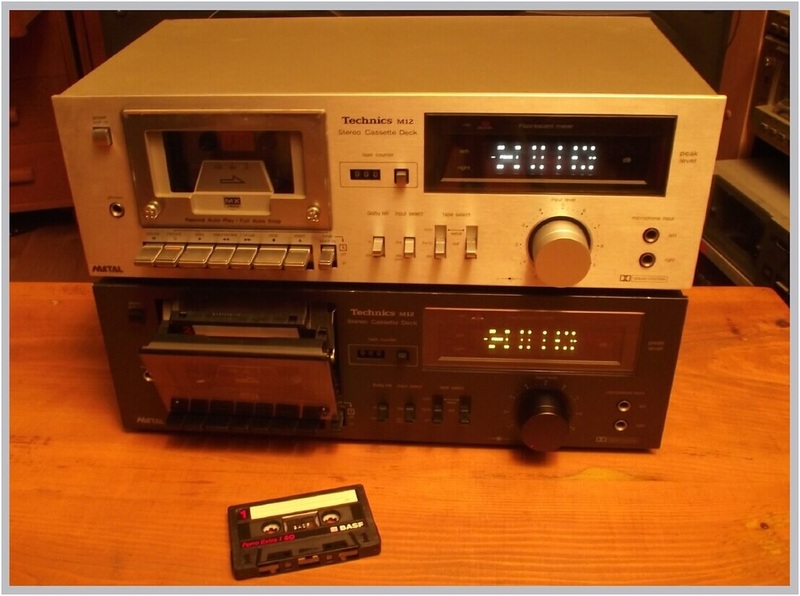 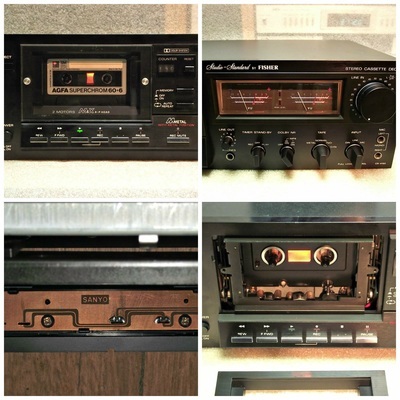 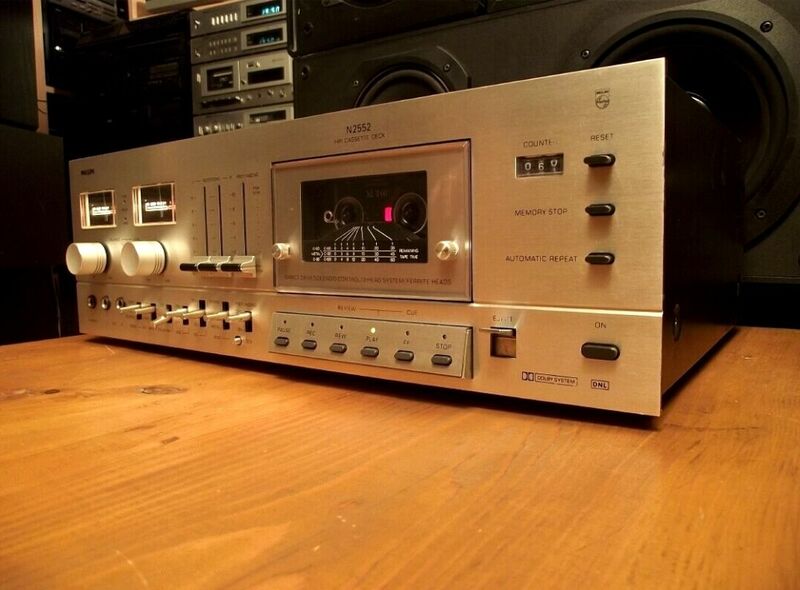 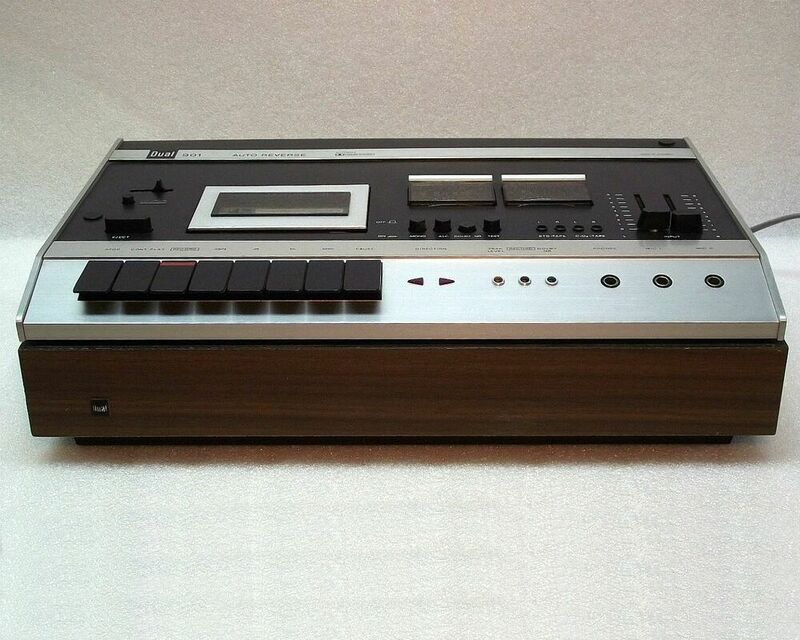 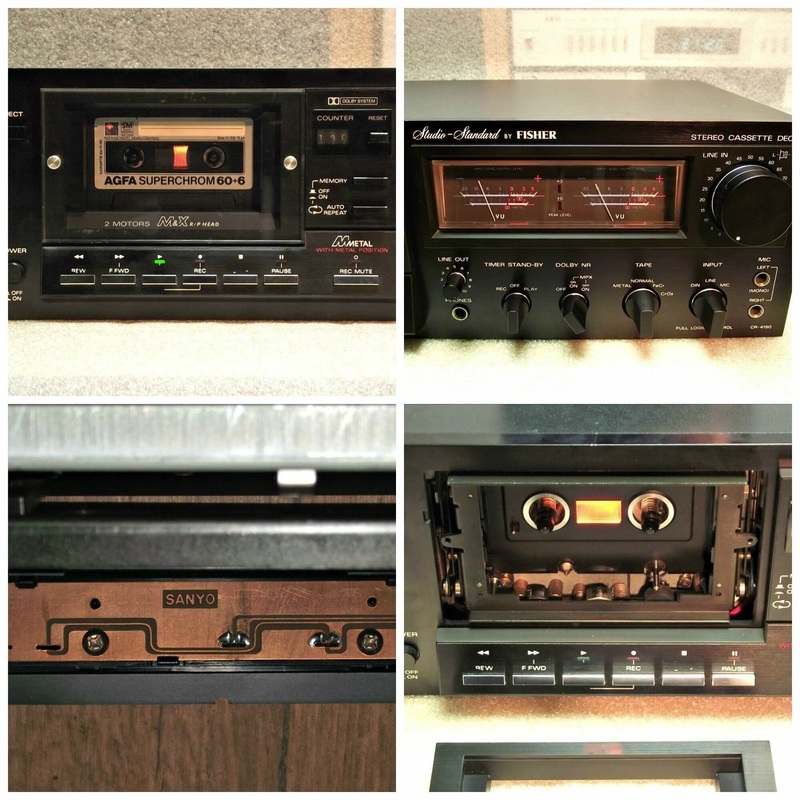 This deck was made in Japan by NEC and has a front panel almost identical with the Technics RS-M65/85/88 series - almost identical internals but with a belt drive 2 motor transport instead of the Direct Drive used by Technics. 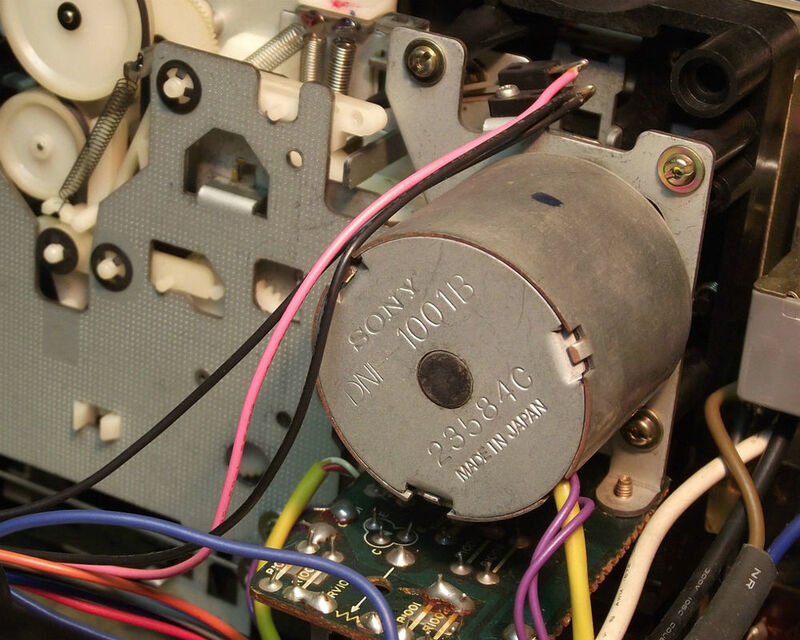 Some say that the mechanism is from SONY. 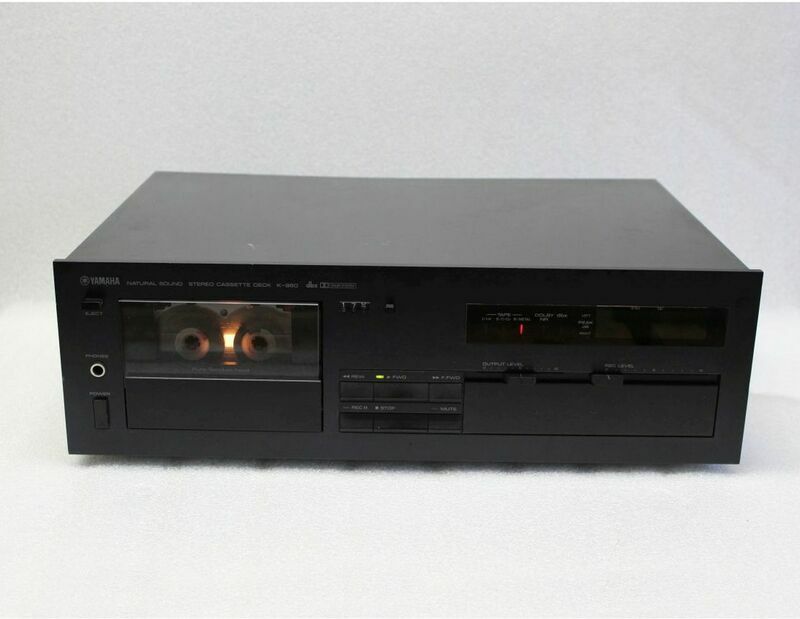 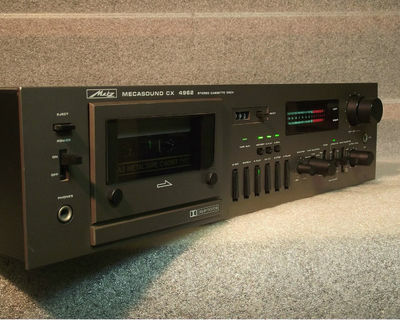 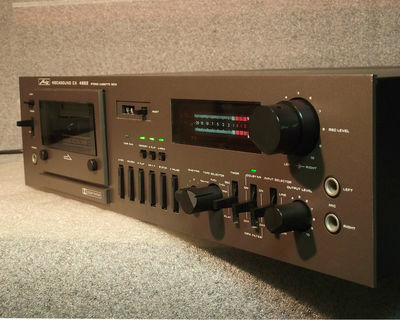 All the features that you would expect from a top class 2 head cassette deck can be found on the Metz CX 4962. 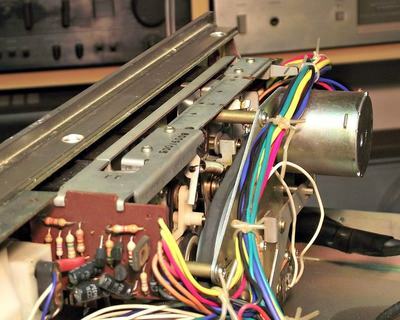 Full logic controlled 2 motor drive capable of handling all tape types: Normal, FeCr, CrO2 and Metal with Bias Fine control. 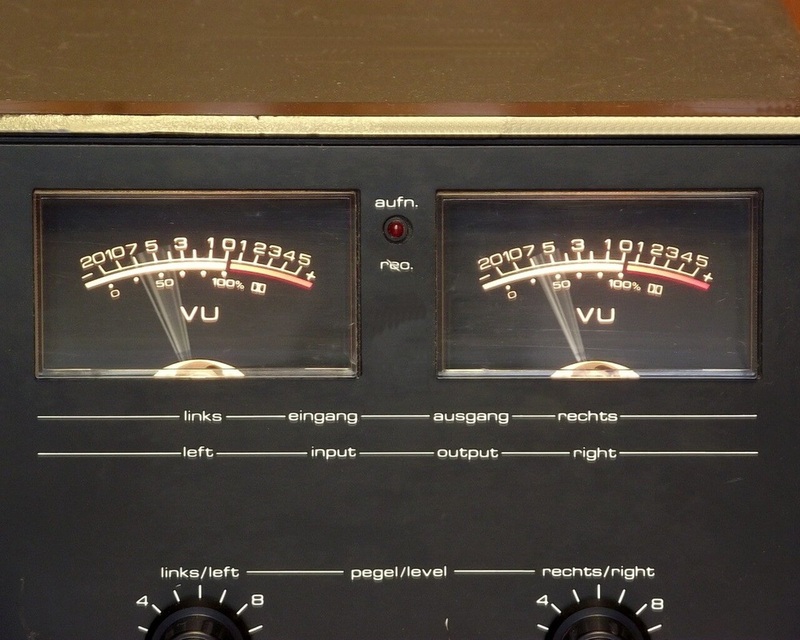 The recording made by the Sendust head can be followed on a very nice 14 segment VFD VU meter that has a dimmer control at the back. Dolby, output level, input selector, timer and various memory and repeat functions can be found on the brown metallic fascia. 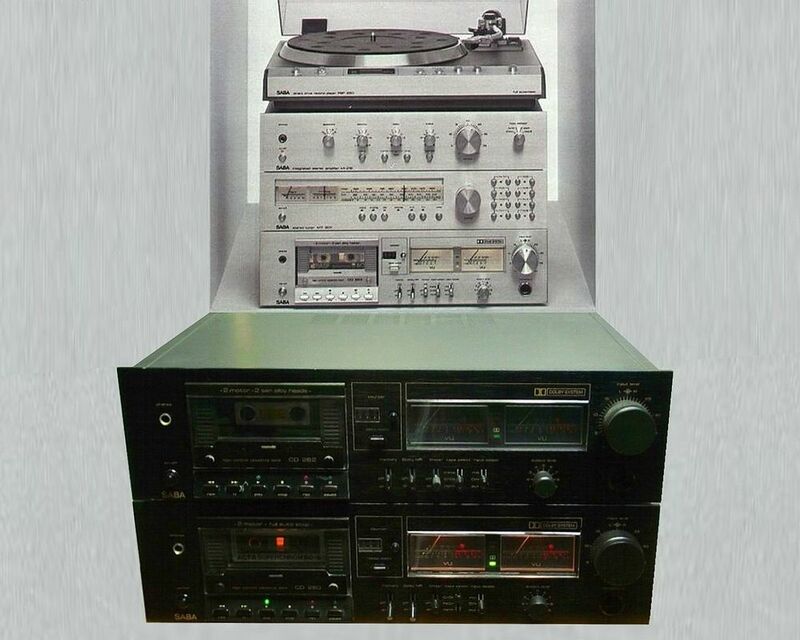 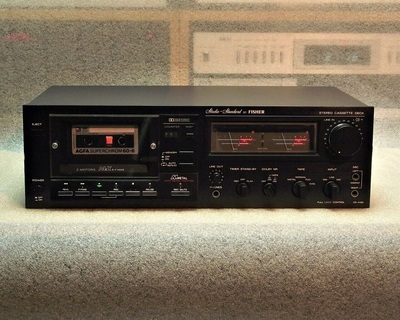 The deck was part of the so called Slimline series that featured a amplifier, digital tuner, quartz direct drive turntable, loudspeakers and even a dedicated rack. 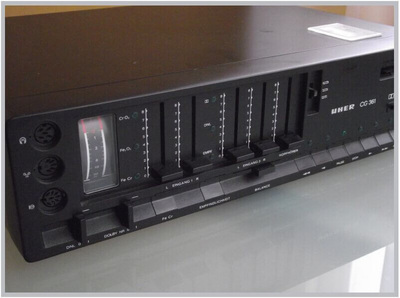 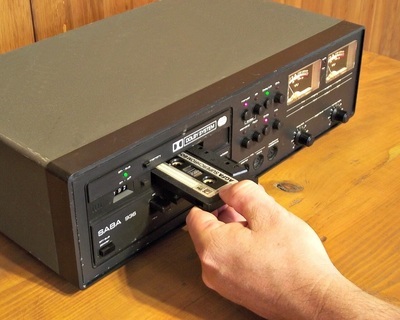 The PHILIPS N2552 logic controlled 3 head deck was the biggest cassette recorder made by PHILIPS. 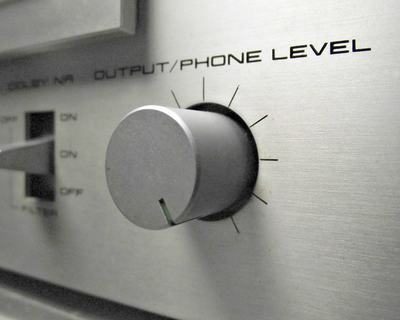 It is BIG in size, BIG in sound quality, BIG in technology used. 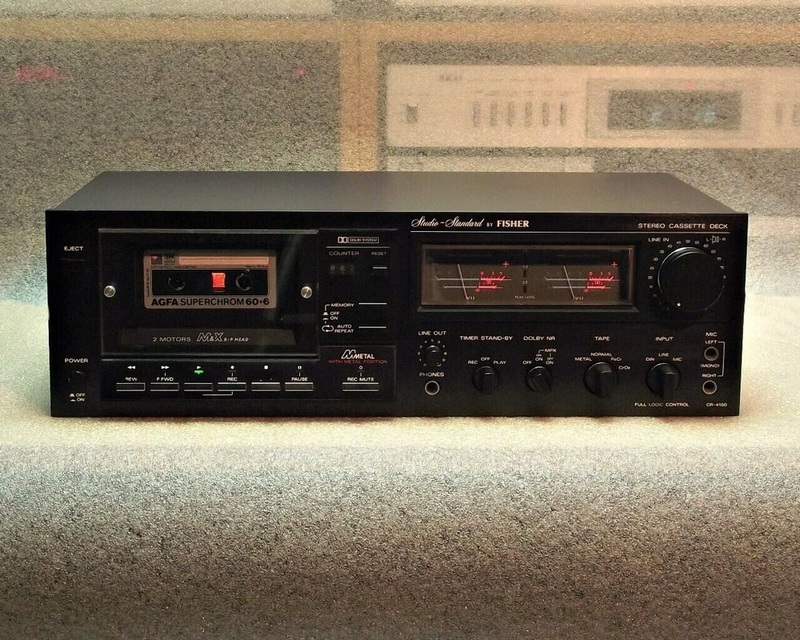 This was the cassette deck that was offered (as PHILIPS 5741) to complement the "HIGH FIDELITY LABORATORIES" pre-power amplifier and tuner set. 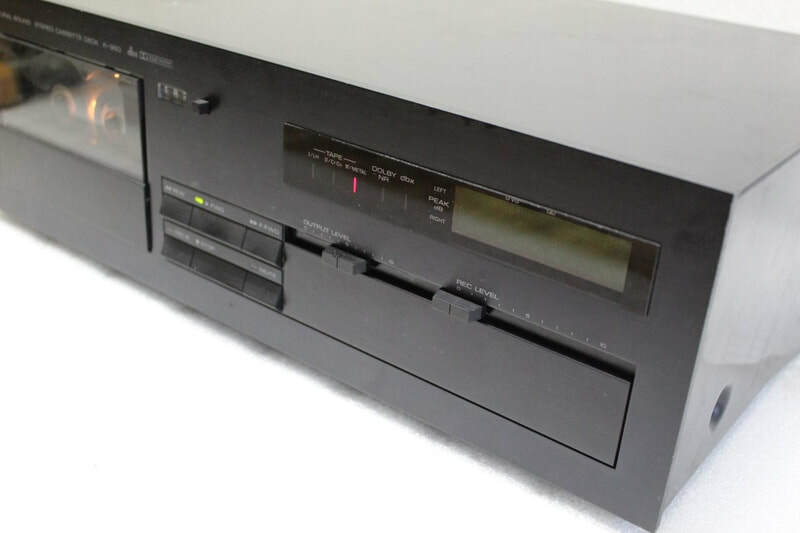 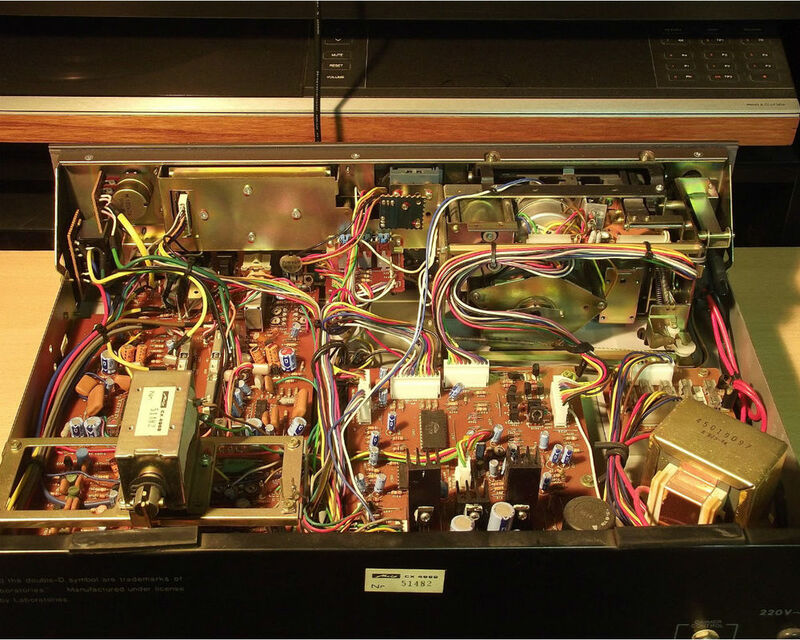 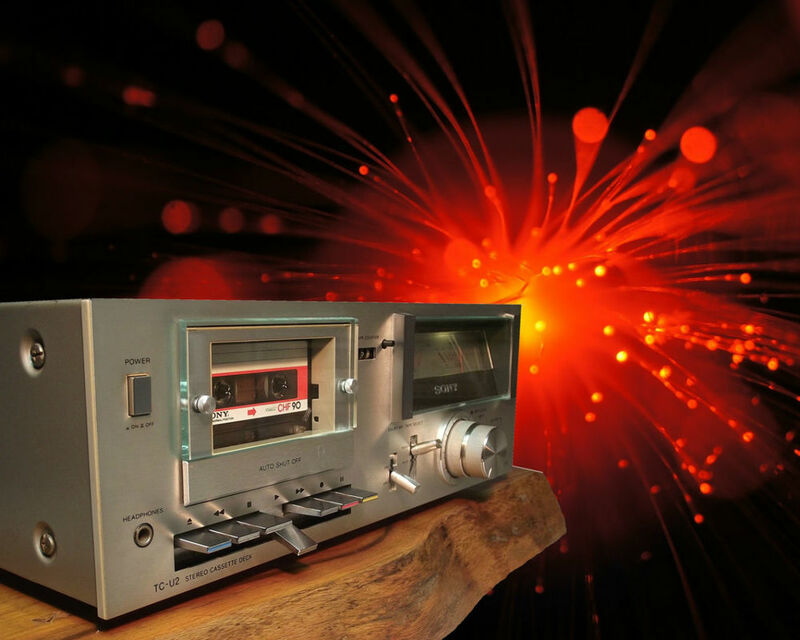 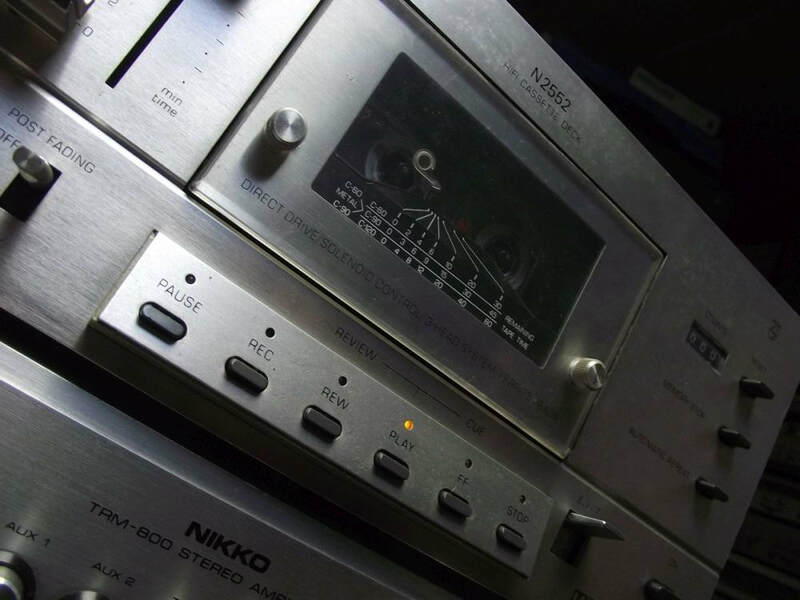 "Using a 3-head system with separate motors for capstan and spindle drive, solenoid control, auto repeat and Philips new metal tape, the N2552 represents the best of open-reel technology in a front-loading cassette deck format. 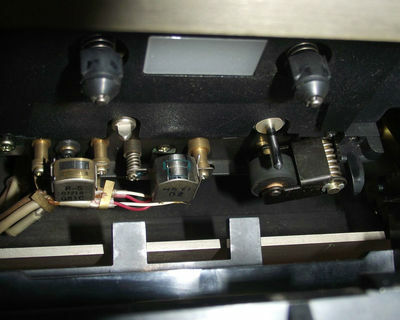 Separate (ferrite) heads means that each head is designed for optimum performance in its specific task....capstan drive is direct...speed is tachometer controlled, the tachometer being integral with the flywheel...all corrections applied to the motor are applied direct to the capstan...DOLBY and Philips unique DNL noise reduction systems are both included. 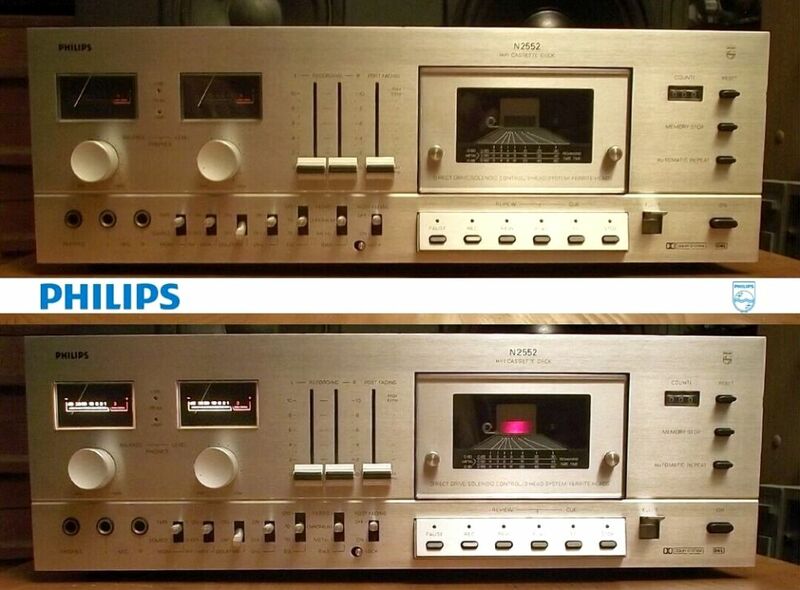 After recording, too, Philips offers that extra something. 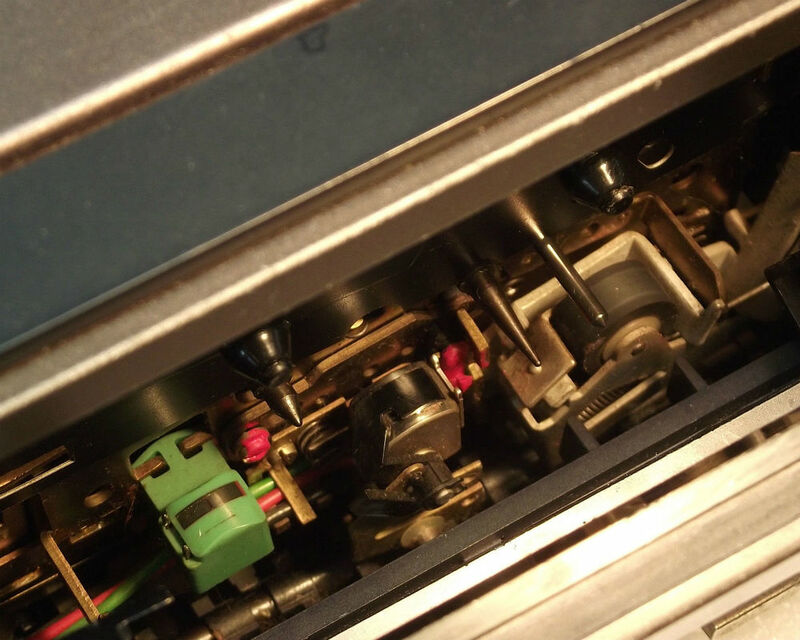 Semi-automatic Post Fading facility allows the erasure of unwanted passages and rough edges from any tape, with built-in fade-out and fade-in." 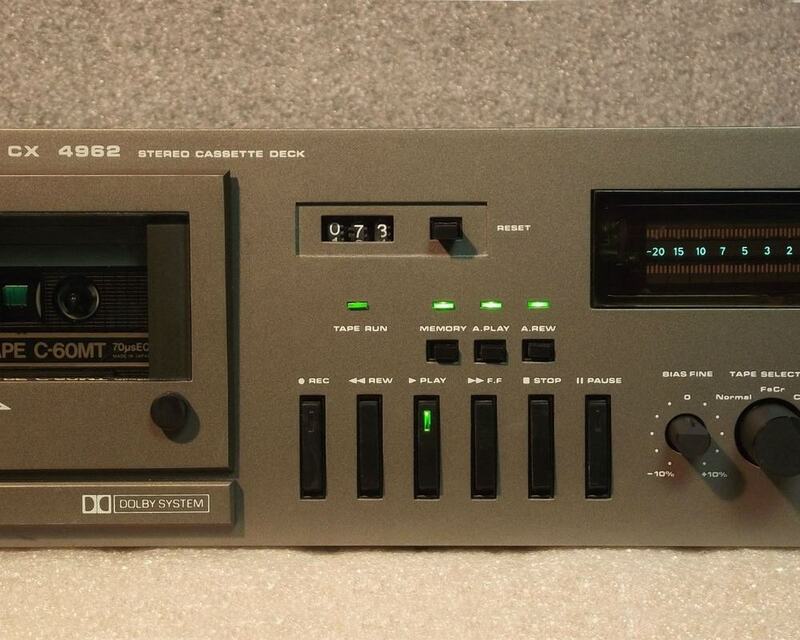 You have to hear this cassette recorder to believe how great this machine is, even after 30+ years. 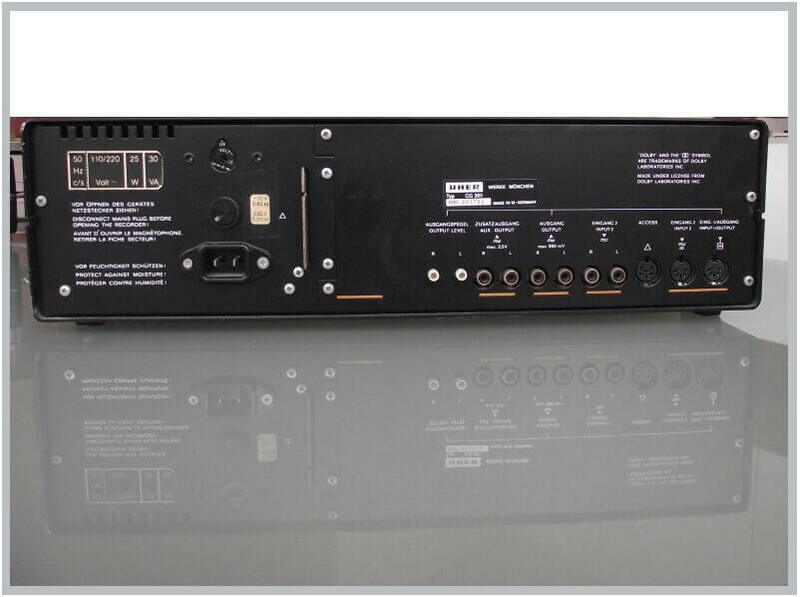 A B S O L U T E L Y F A B U LO U S. You can read more about the partnering (22AH798) amplifier here. 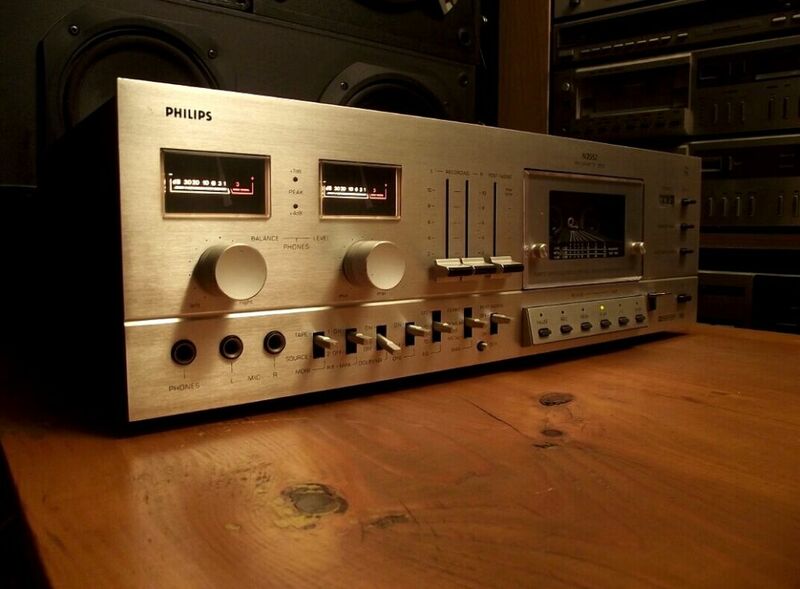 "Kind of Blue" Silver Stereo component from PIONEER. 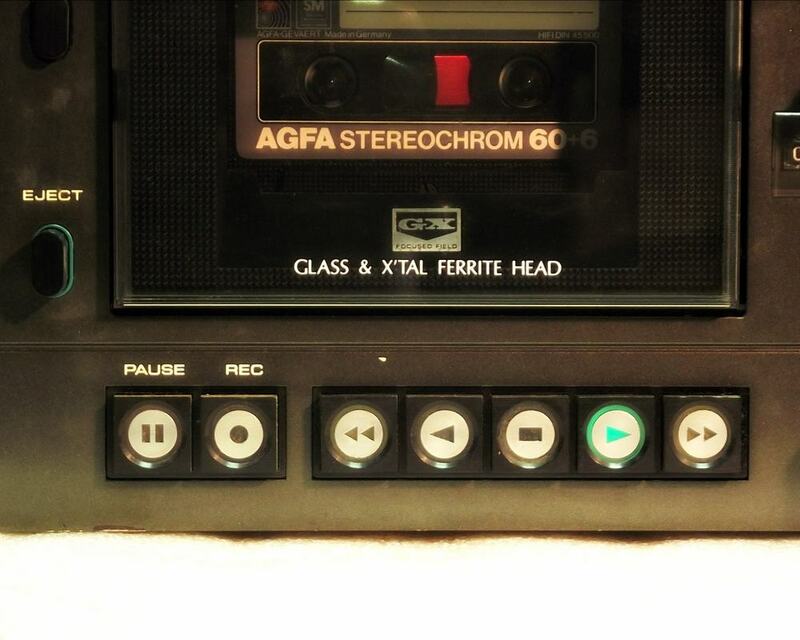 This was the small 3 head cassette deck in the 1979 model range. 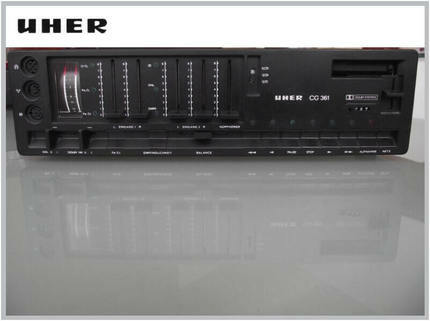 It has the same 2 motor dual capstan drive as the bigger CT-F900 and 950 with the famous blue fluorescent level meters. 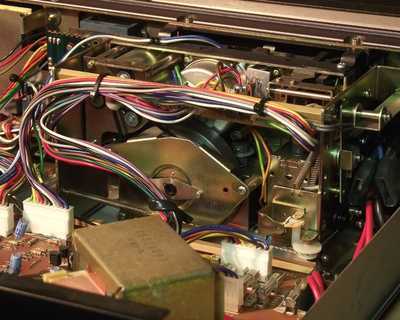 The brochure said that "Like the CT-F950, an investment in non-obsolescence, thanks to all tape calibration" Now, in 2013 I have to say that they were right, this machine still performs excellent thanks to the long lasting SENDUST head too. 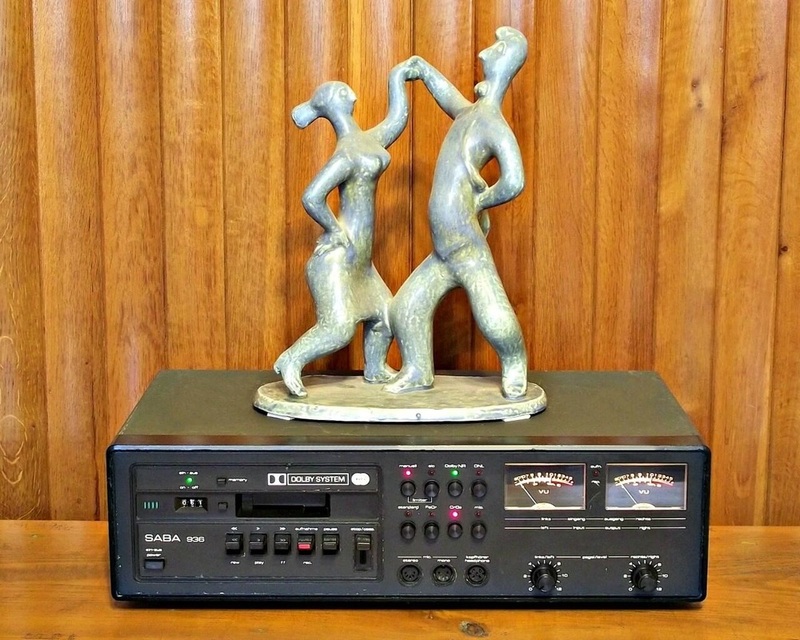 Two consecutive models from the same manufacturer. 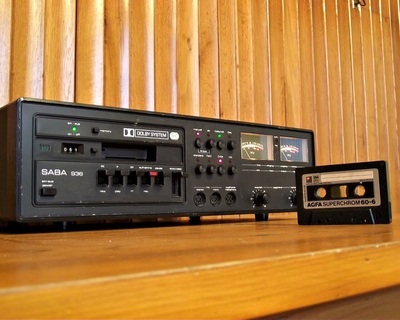 These are the SABA CD 260 and the SABA CD 262, built during the time SABA was part of the French THOMSON group. 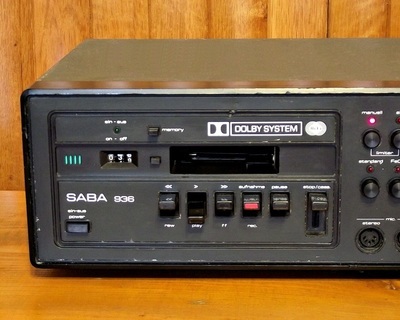 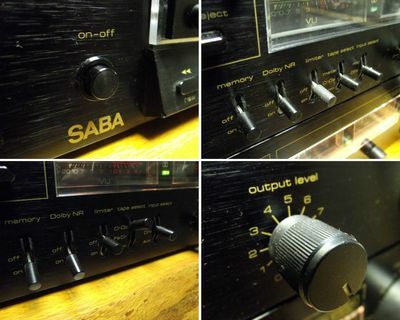 As a result they share the same interior (power supply, mechanism, metal frame structure, circuit boards) with the THOMSON DK-700T and the NORDMENDE CD 1400 (also part of our collection) but with differences in the front control layout and some extra functions on the SABA (memory, limiter). The difference between the CD 260 and CD 262 is the fact that while the CD 260 can handle Normal, FeCr and CrO2 tapes the CD 262 is an updated version that can handle Normal, CrO2 and Metal tapes. 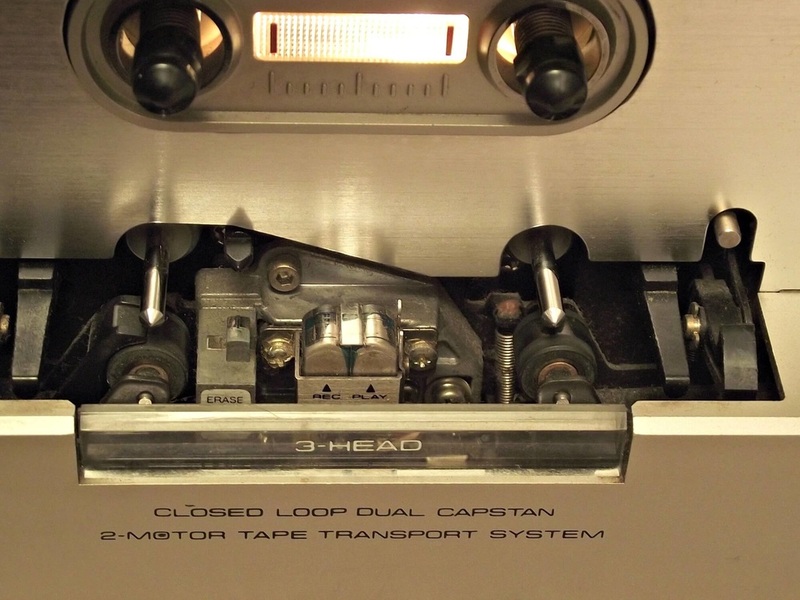 They both use a very good 2 motor tape transport while the CD 262 uses an updated Sen Alloy head for improved Metal tape capabilty. 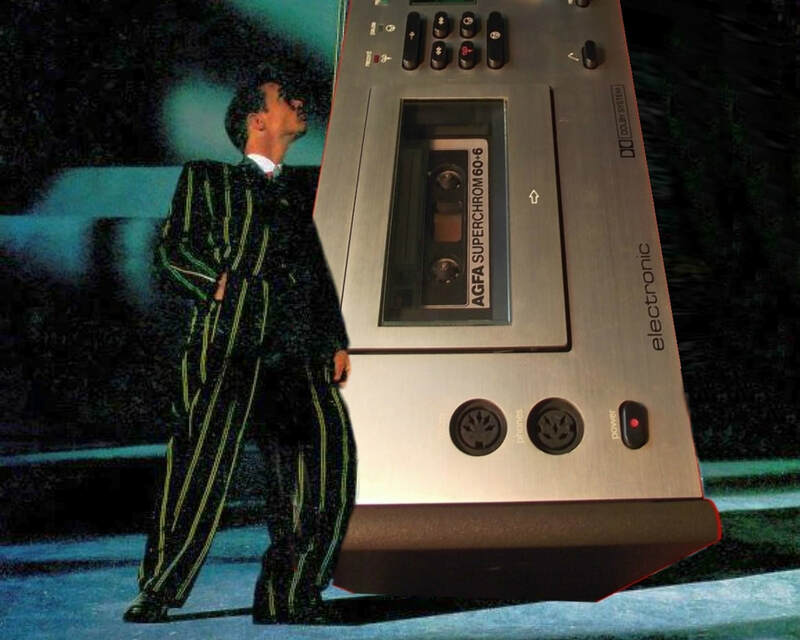 They were available both with brushed silver aluminium front and with brushed black aluminium front. 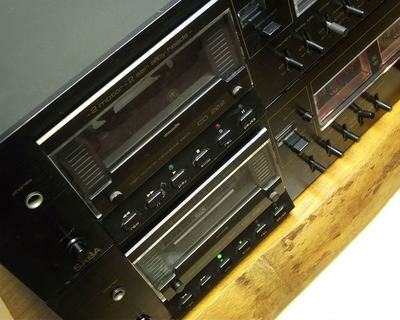 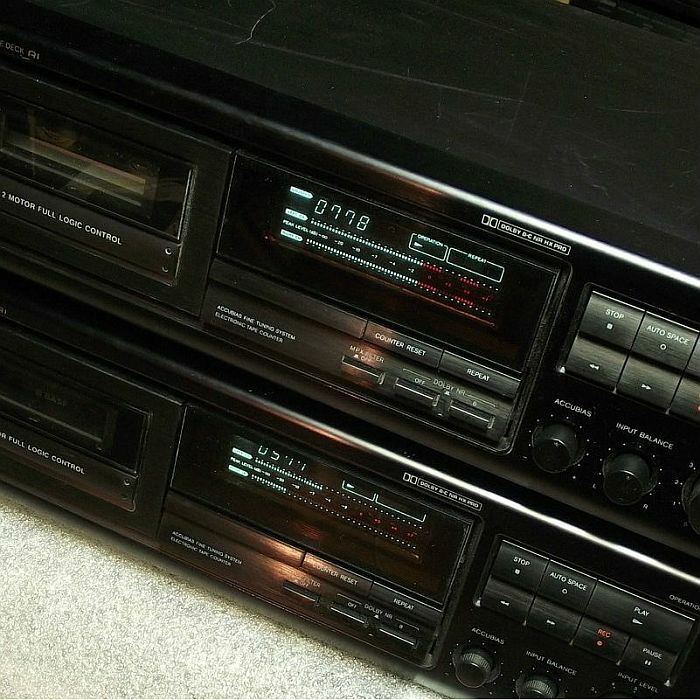 The matching tuner and amplifier were german made electronics but these cassette decks show strong signs of japanese origin. 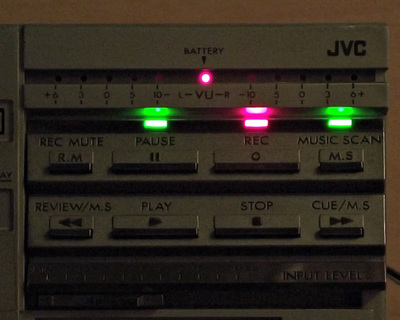 THOMSON, the parent company, during these times was in negotiation with JVC while the Sen Alloy trade mark name was used by JVC for their sendust heads. 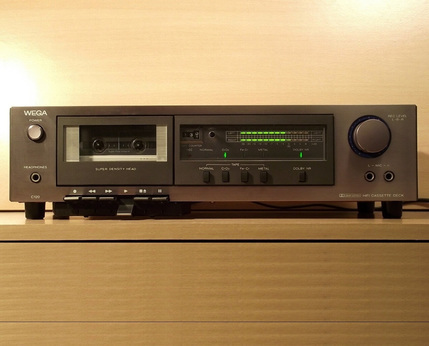 While I can not identify them as JVC based cassette decks I would say they are likely japanese made. 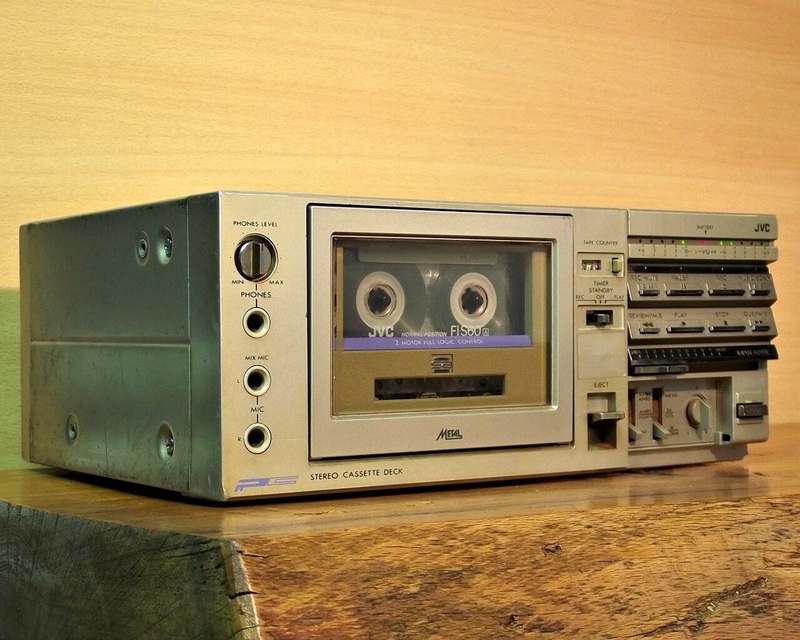 ​Behind the silver brushed aluminium fascia there is a basic one motor 2 head configuration cassette deck recorder from 1978. 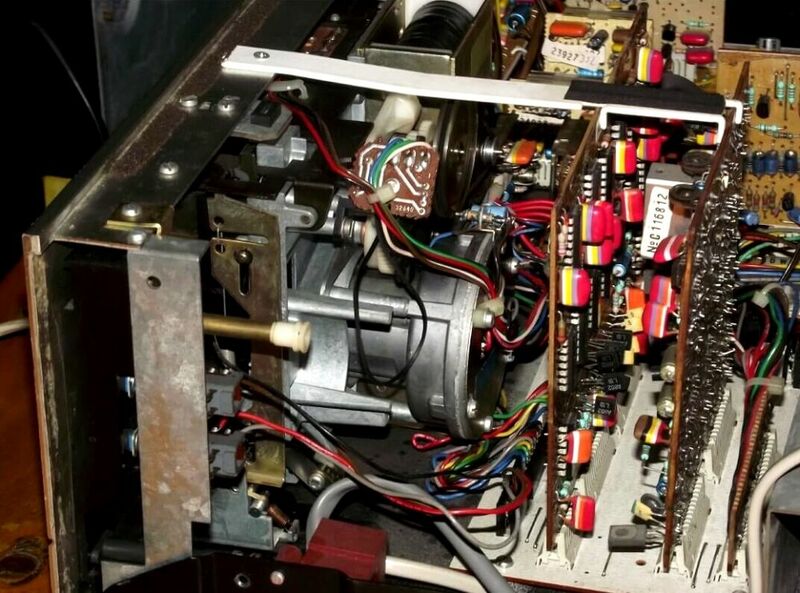 The motor is a FG servo controlled motor from SONY (Made in Japan) but the deck itself was Made in Korea. 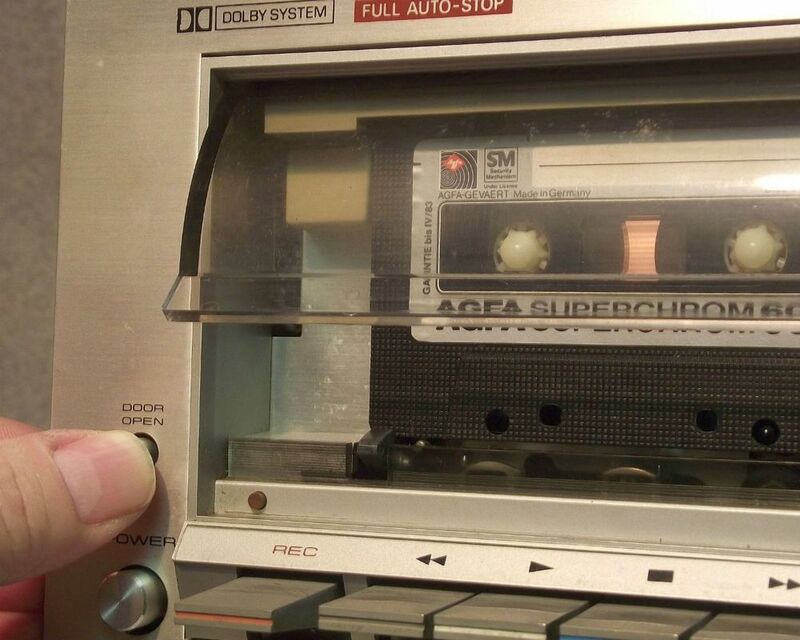 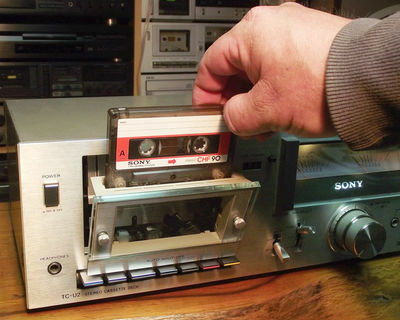 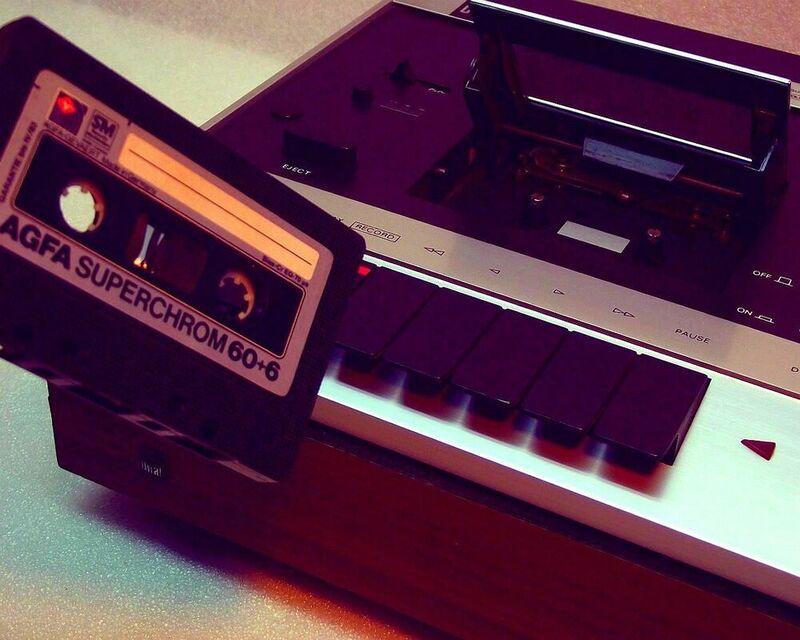 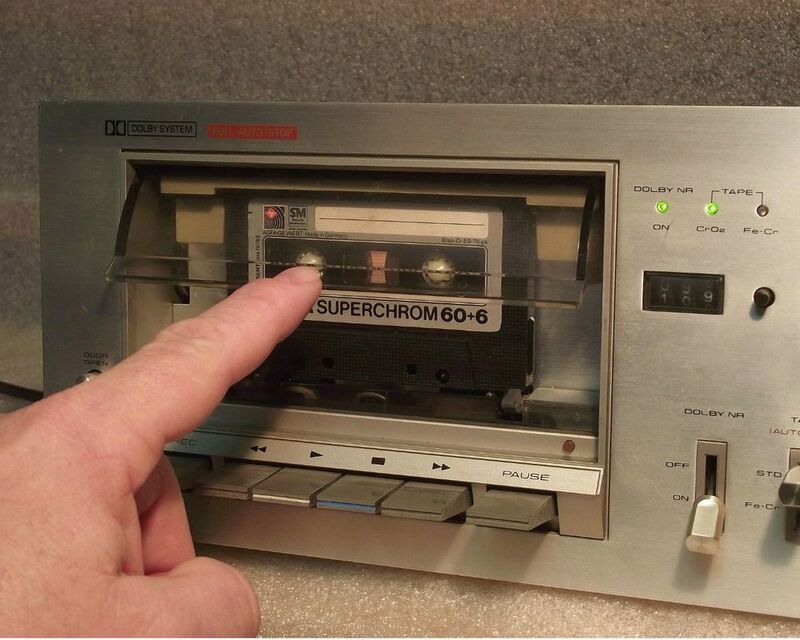 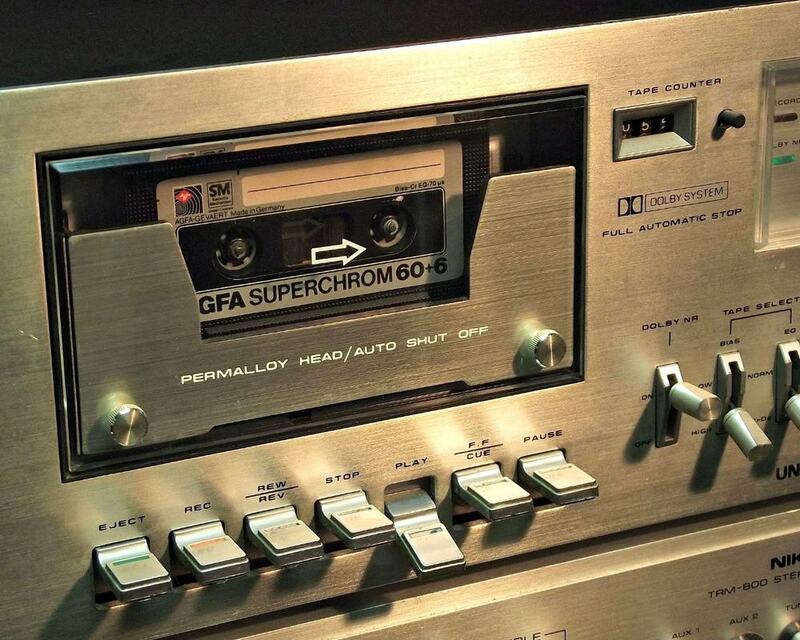 Best recordings can be made using Ferrichrome tape while the deck can also handle chromium dioxide and normal tape that has to be manually selected with a switch. 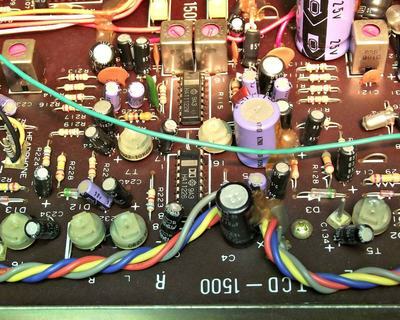 For hiss free recordings there is included the usual Dolby noise reduction circuit. For Stereo Live recordings there is provision for input of two microphones located on the front panel. 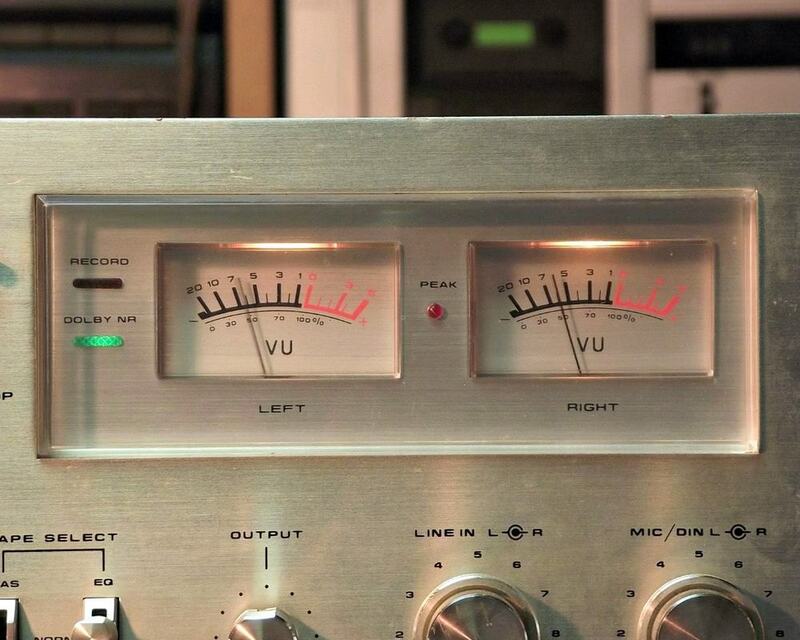 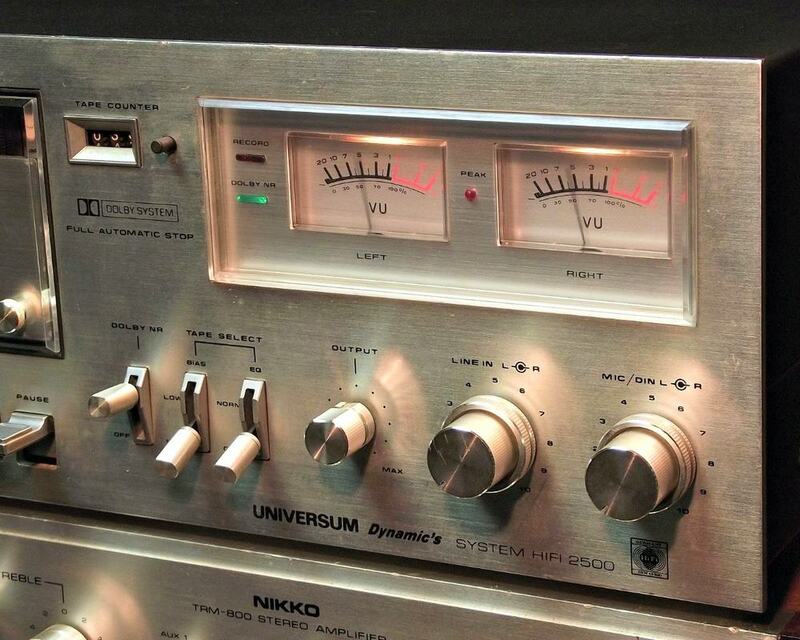 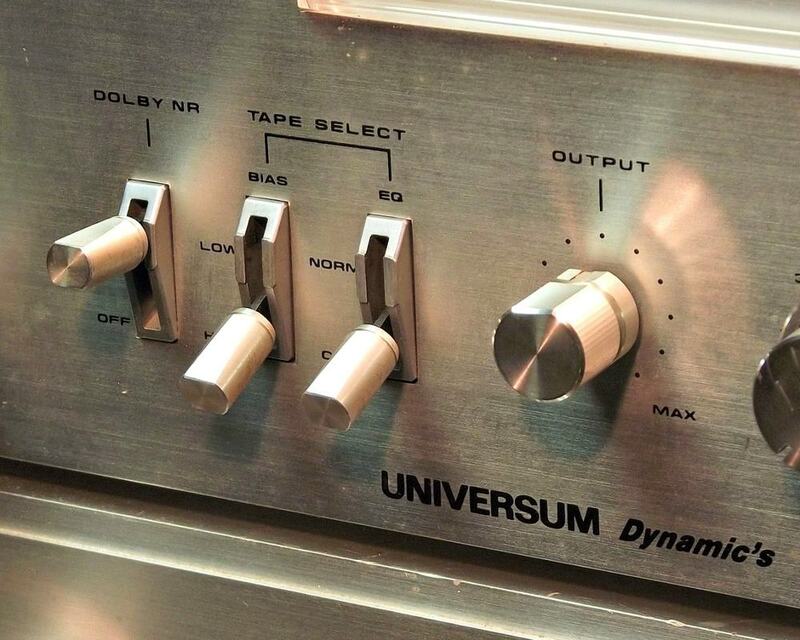 The most striking design elements are however the large VU meters and the large recording level control knobs. 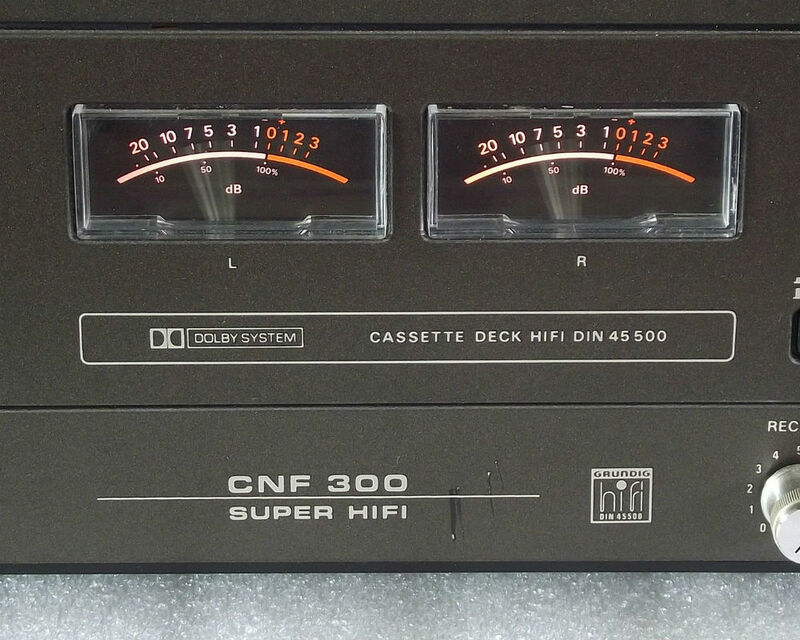 These must be the most beautiful ones in the history of cassette decks. 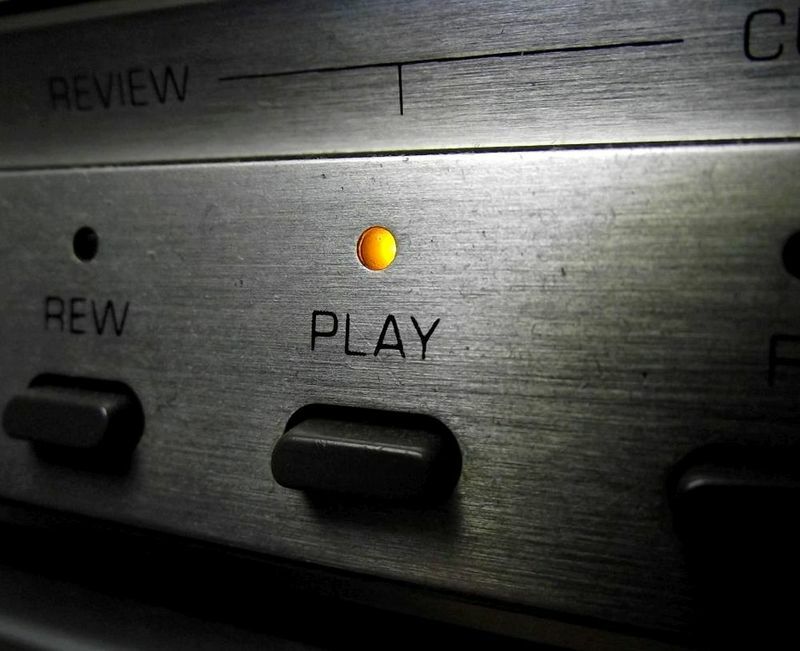 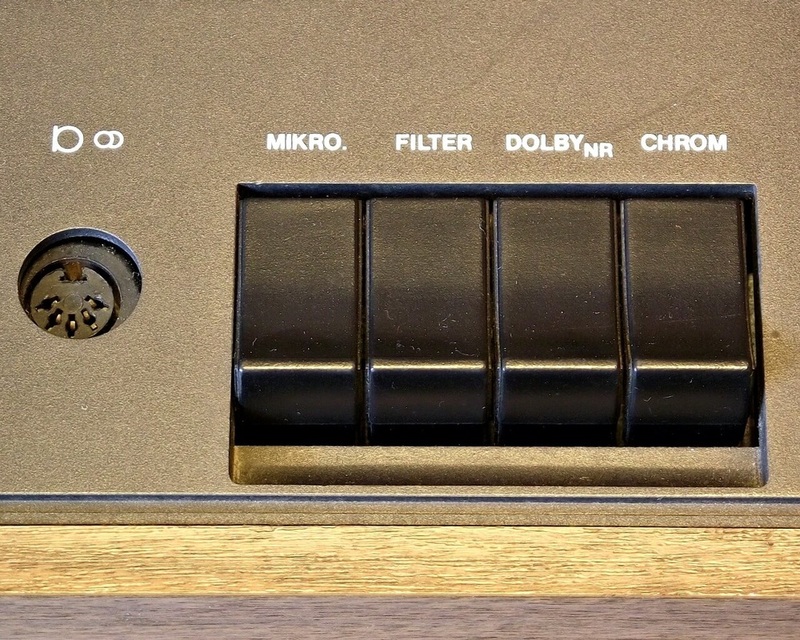 The same "window and knob design" was used on the matching tuner, receiver and amplifier as well. In terms of sound performance there is nothing spectacular here but I would say that it is still OK for something that still works in 2018......40 years after it's introduction. ​A different version also existed (for Japanese market) with added timer switch and Ferrite & Ferrite heads. 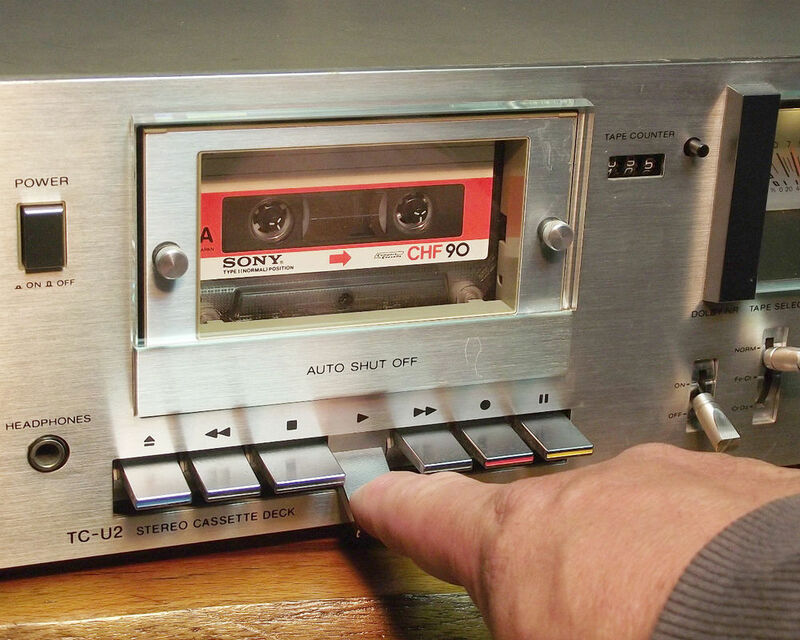 According to the SONY brochure, rack handles were also available but I have never seen this deck with rack handles installed. 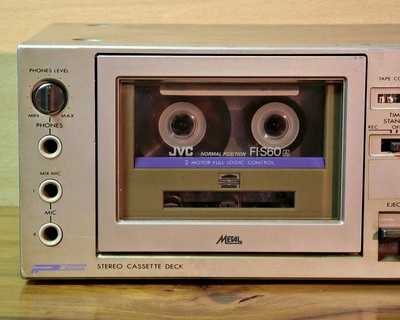 This deck was frequently sold as part of a complete system under various names. In Germany the complete system was called "First Line Studio" in France it was "Système 3" while at home in Japan it was called "Sound Sensor"
Frequency response: 30-15,000 Hz FeCr / Cro2, Wow and Flutter: 0.08% WRMS, Signal to Noise: 55dB FeCr, 53dB CrO2 (Dolby off), Dimensions: 410(W) x 145(H) x 260(D) mm, Weight: 5 kg. 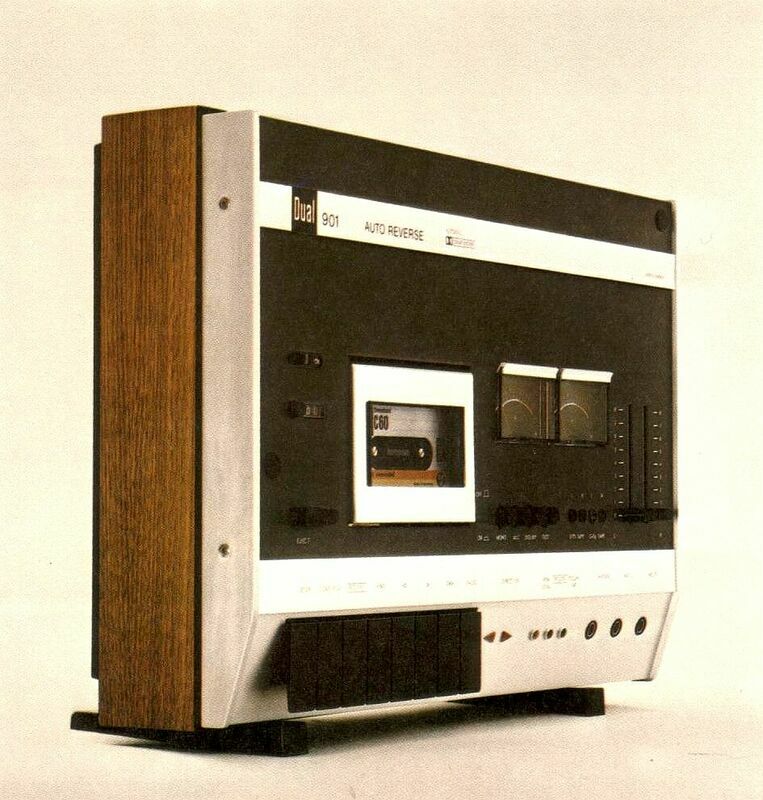 BIG, really big machine with wood side panels and a BIG digital tape counter. 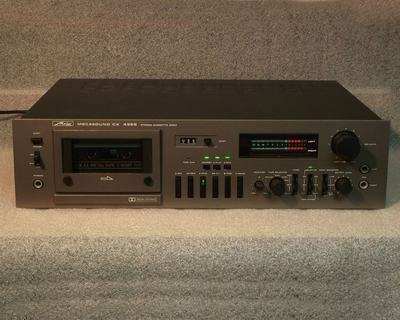 This is a very well built cassette recorder with Sendust recording/playback head, 2 motor transport (Identical with the one used by the Metz MECASOUND CX 4962 - seen above), headphone output with volume level and a frequency response of 30-17.000 Hz with FeCr and CrO2 tapes. 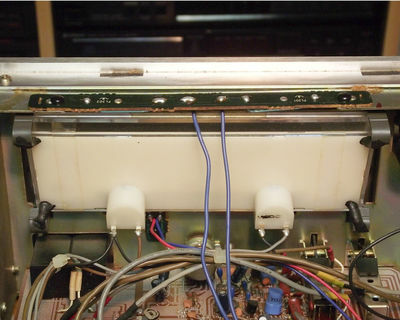 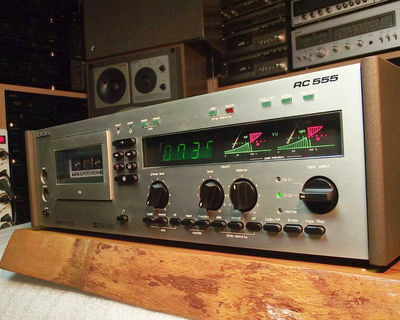 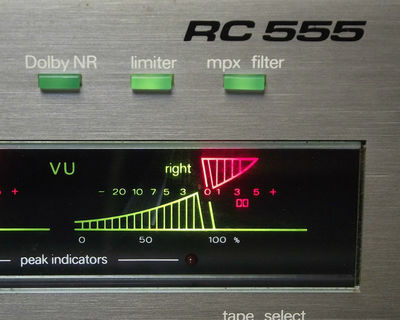 The model from our collection can handle Normal, FeCr and CrO2 tapes but the later model (still named RC-555) from 1981 added a 4th tape position for Metal tape compatibility. 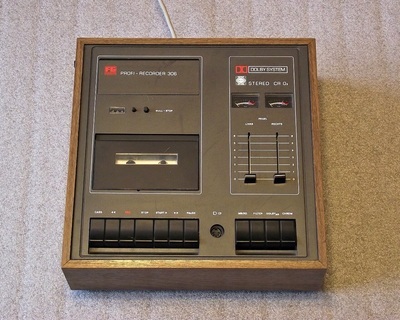 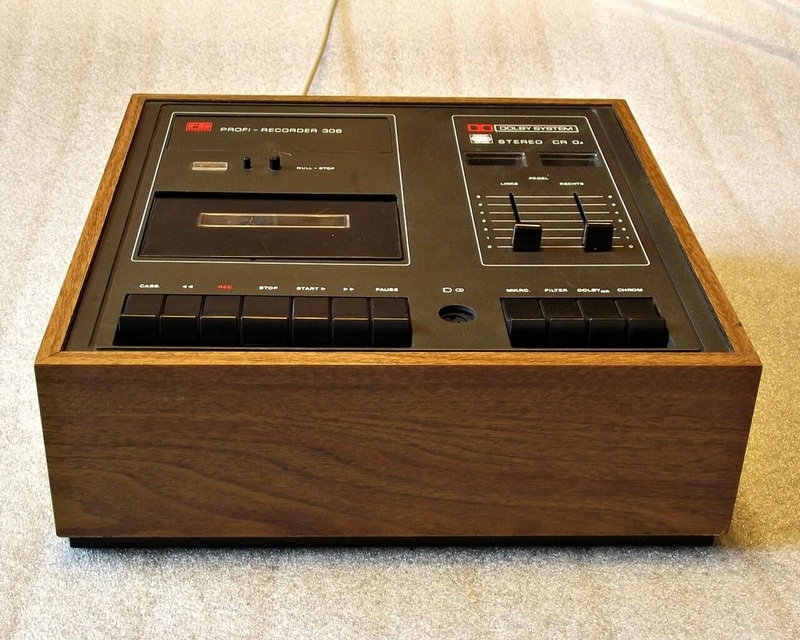 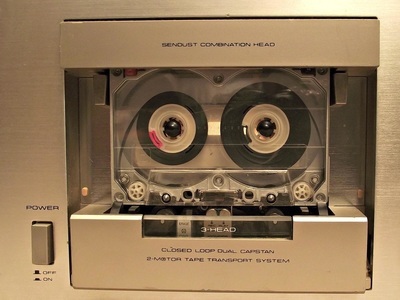 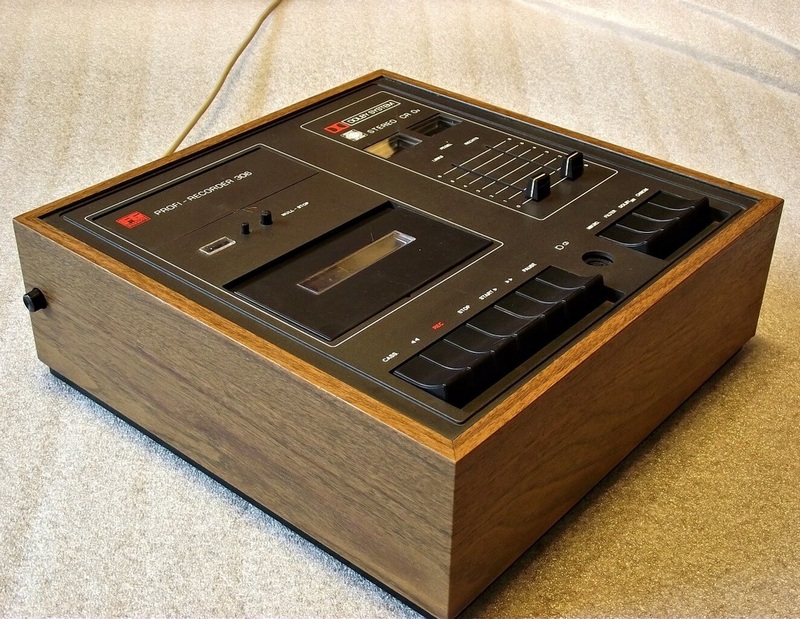 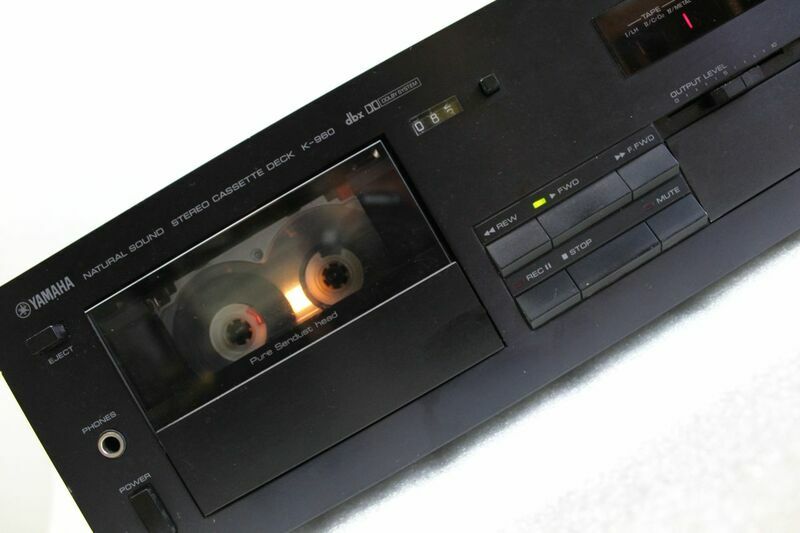 The deck features a series of extra functions such as automatic tape rewind and automatic tape repeat for one side of the tape. There is a timer-stand-by play and record function when used in conjunction with the matching RS-555 receiver. 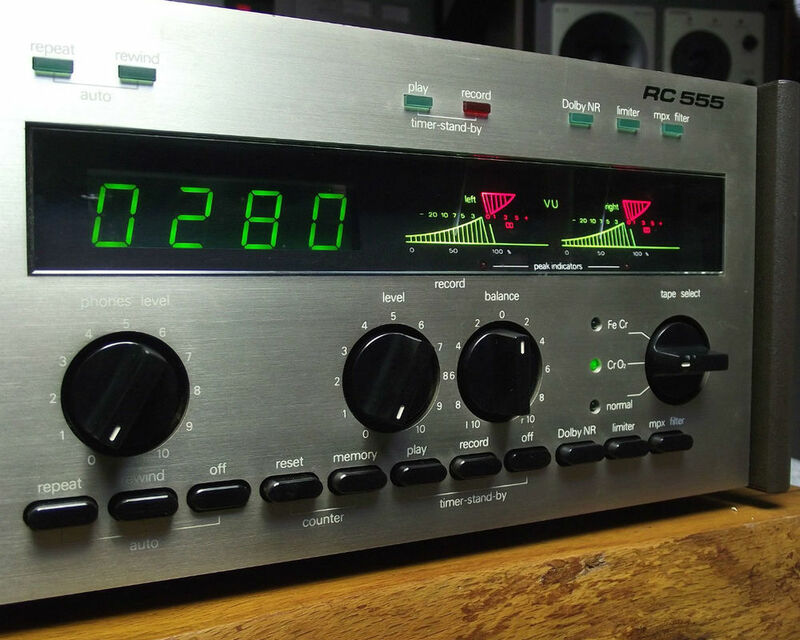 The receiver has a built in clock and the "timer signal" is transmitted to the RC-555 deck via a cable. 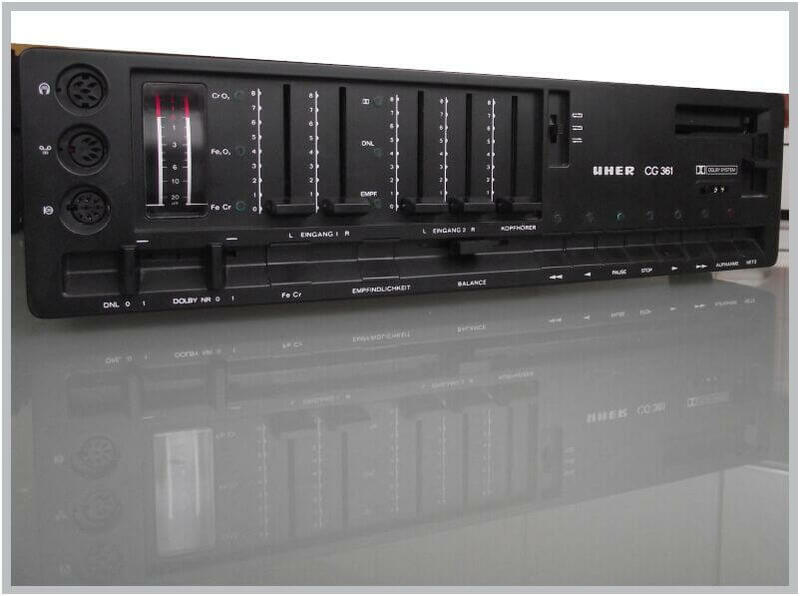 For hiss free recordings you have the usual Dolby noise reduction circuit, the MPX filter for FM Stereo radio programm recordings, LED peak indicators to complement the VU meters while a limiter function will automatically limit peak modulations without compromising dynamics. 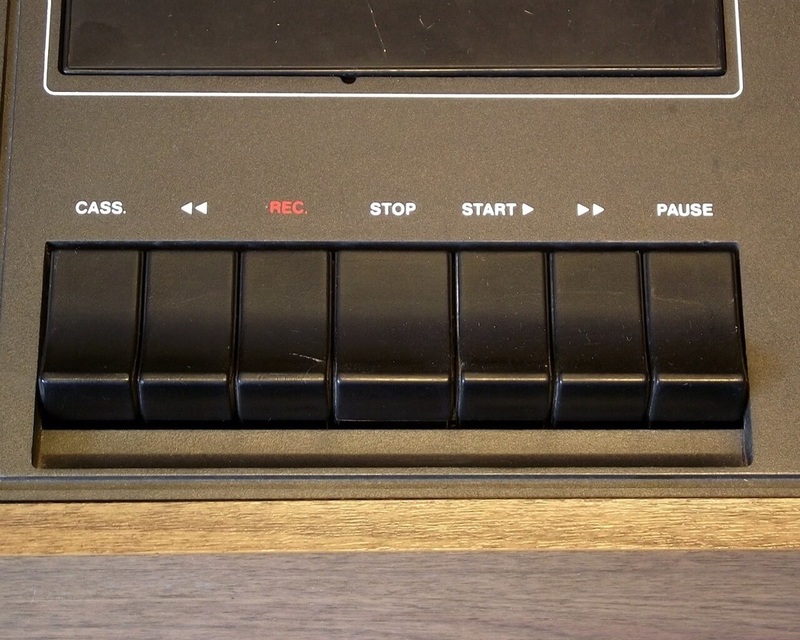 Another interesting feature of the deck is that every function has a "soft start", meaning that playback will start with a fade-in effect and when various functions are activated the control LED will follow the fade-in effect gradually turning on instead of instantly light up. 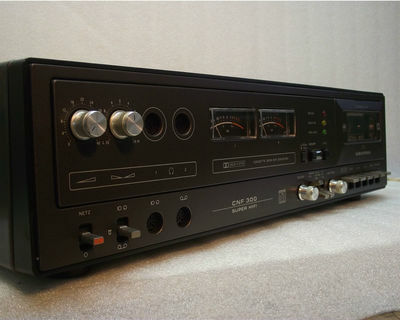 ​For a complete system beside the RS-555 receiver there was also the RW-555 automatic Direct Drive turntable and two differnet racks. In order to place the components inside the RZ 444 rack the side panels had to be removed while the RZ 555 system was a much more elegant solution. 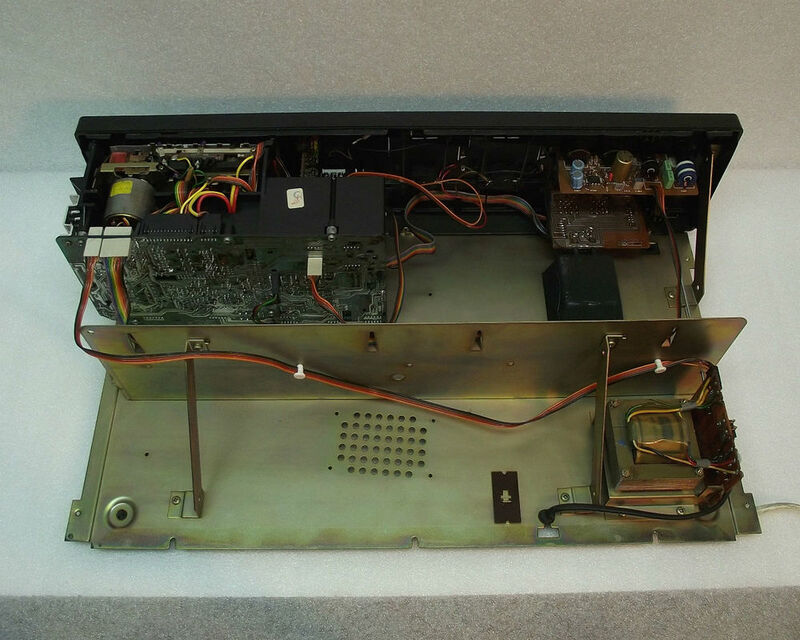 The RZ 555 was simply a base module on witch the components were stacked while visually the side panels became part of the rack (SIEMENS Home 1979 picture). 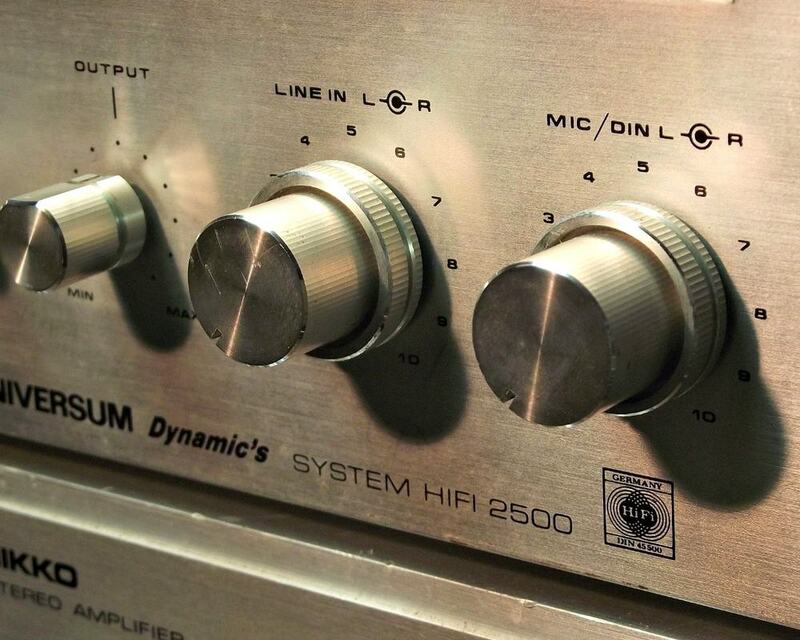 The side panels used the same finish and colour as the front panel of the SIEMENS HiFi-Studiobox RL 706 loudspeakers. 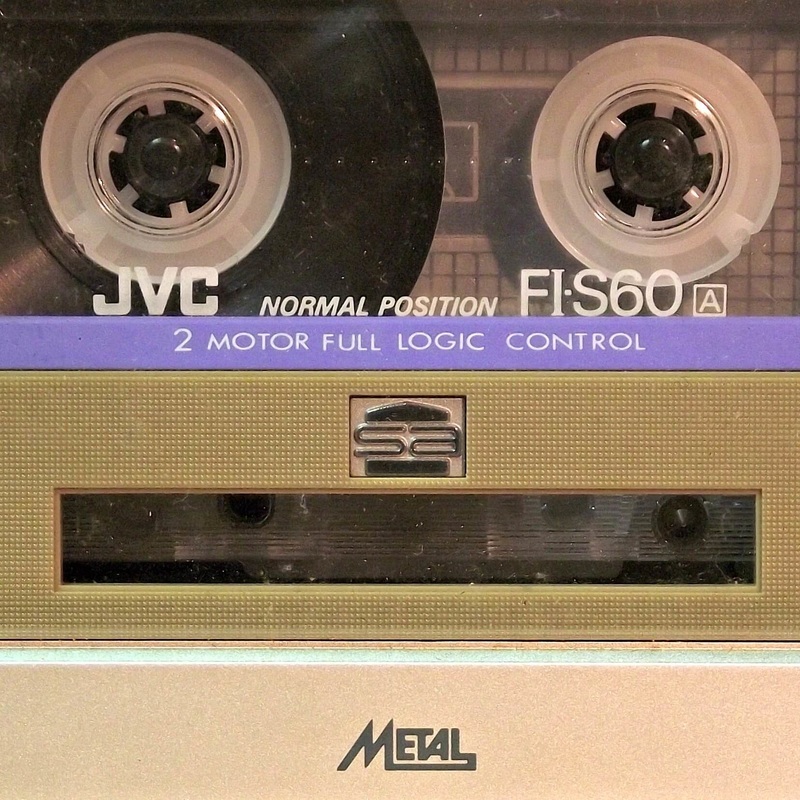 Because FeCr tape was a new tape formulation promising the best results for cassette recorders there was also a SIEMENS C-60 ferrochrome tape part of the accesory range containing tape that was probably made by BASF. 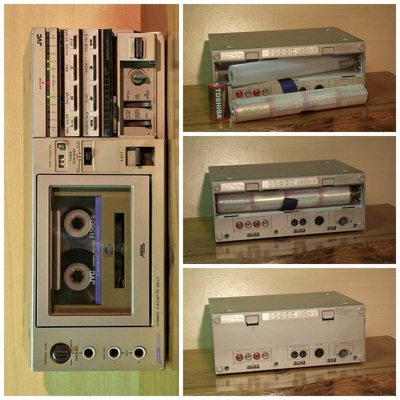 ​Size of the unit is 46,4(W) x 14,0(H) x 30(D) cm and it has a netto weight of 9 kg. Any colour you like. 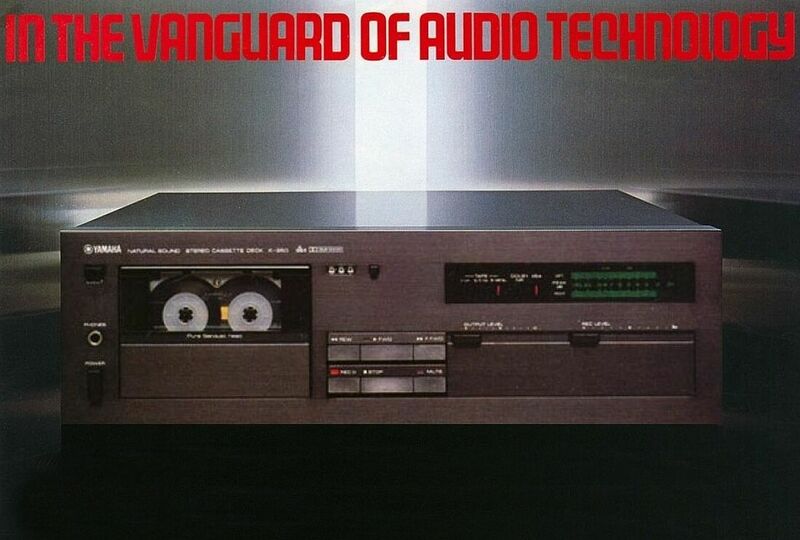 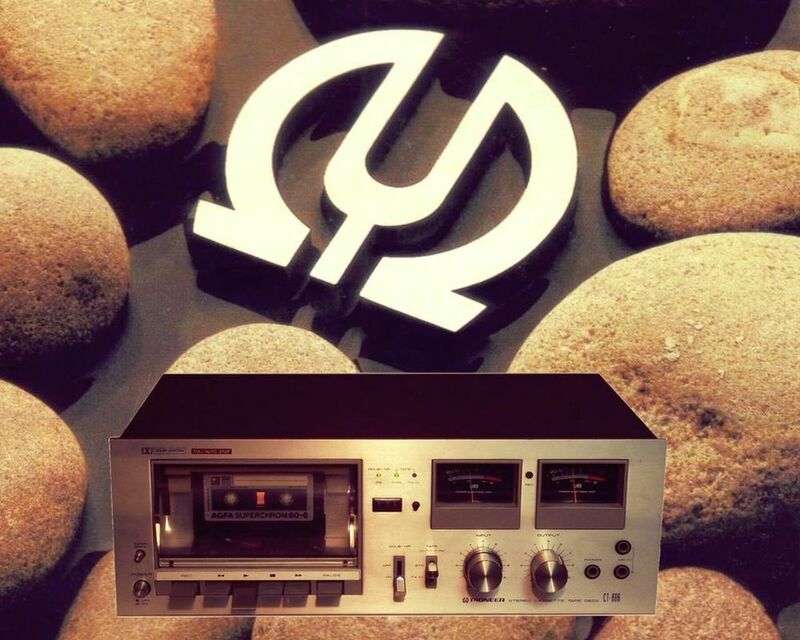 In 1980 designers from Technics (then Matsushita Electric Industrial Co. Ltd. - today PANASONIC) were probably still listening that Pink Floyd song from 1973. That's why they have decided that they have to continue to offer products in at least two colours. 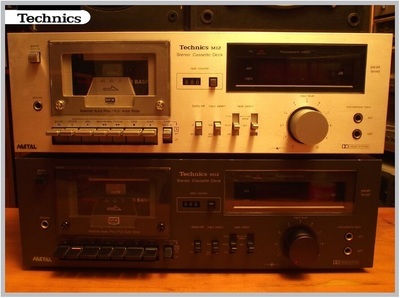 The silver one is Technics M12 and the other (I like to say "Technics brown") is also Technics M12. There is no "Bk" addition to the model name to differentiate the black from the silver model. 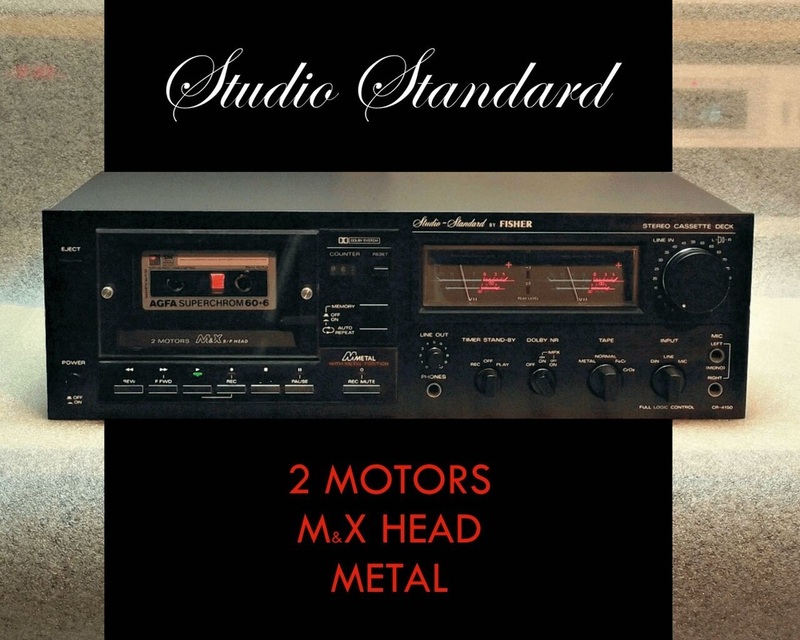 They have of course the same specifications: MX head, Metal tape capability for a frequency response from 20Hz to 18kHz, one motor transport, fluorescent peak level meter and timer play or record with an additional (external) timer unit. 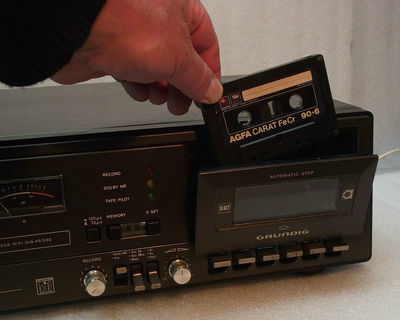 These are simple and robust machines and they will probably work after your "super auto tuned - multi motor - multi head" cassette recorder will stop to work. This is a rare UHER cassette recorder that is based on the CG 360 model. 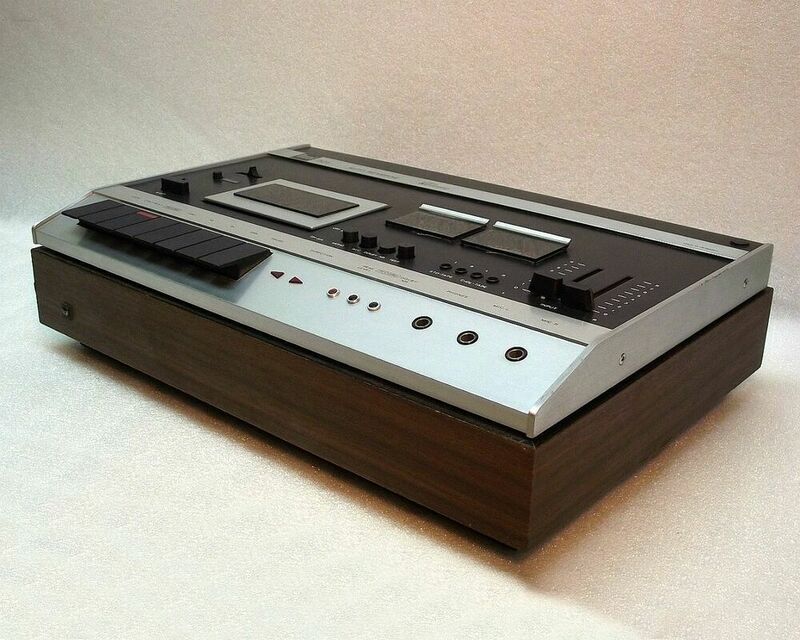 It has a very unusual appearance hiding a very good cassette recorder. 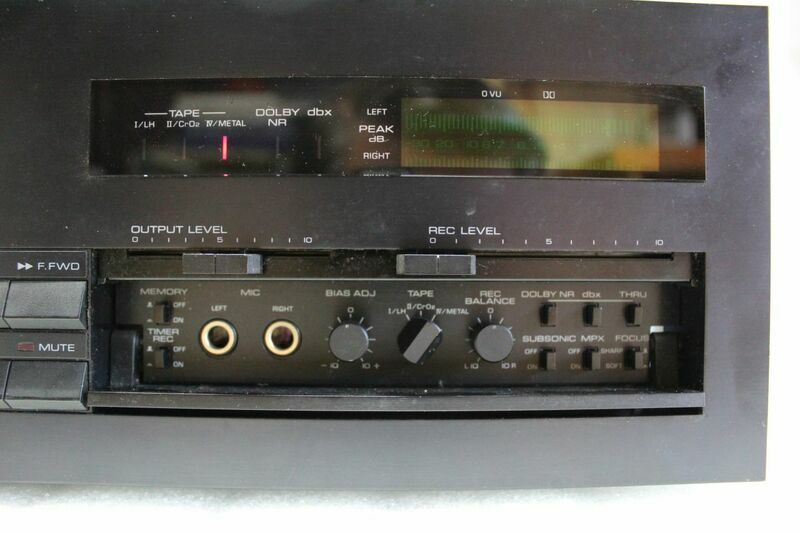 It is unusual because you have several inputs with mixing possibility, headhpone level control with balance control and a cassette compartiment similar to a car player but with a lever to lower and to eject the cassette manually. 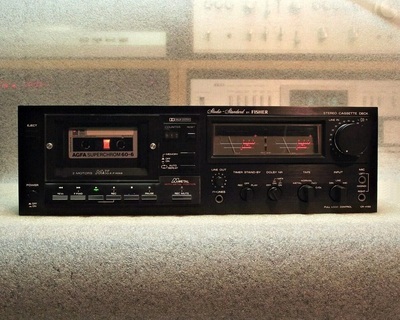 It is very good because it hides a 3 motor drive autoreverse cassette deck with soft touch logic control, Dolby noise reduction and DNL noise reduction (a Philips type of noise reduction for playback) At the back there are several inputs, and outputs with level control, using DIN and cinch plugs. 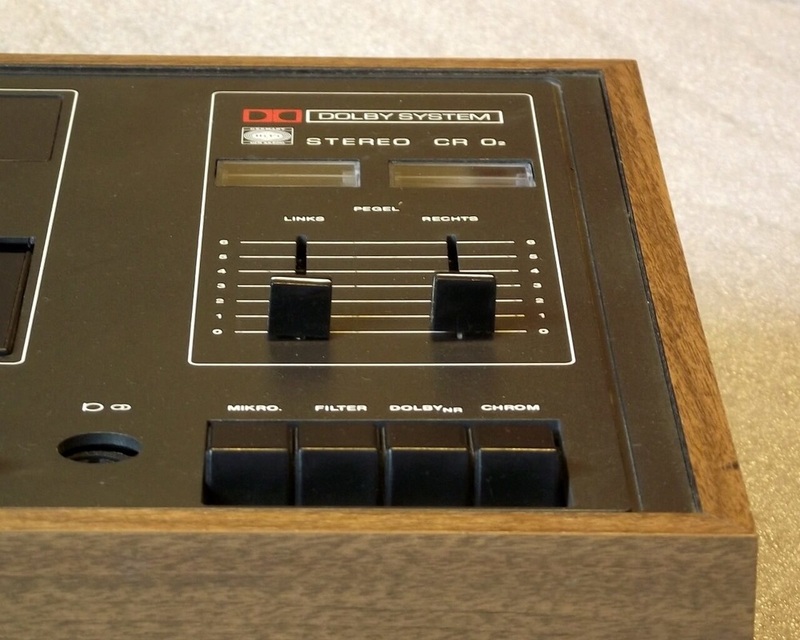 There was also available a wired remote control for all the functions with a headphone plug located on the remote control. 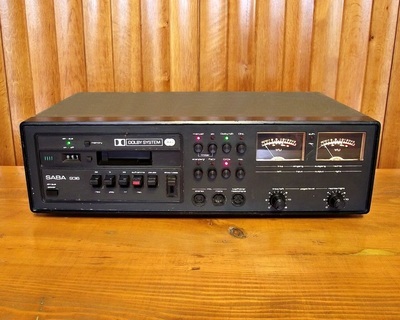 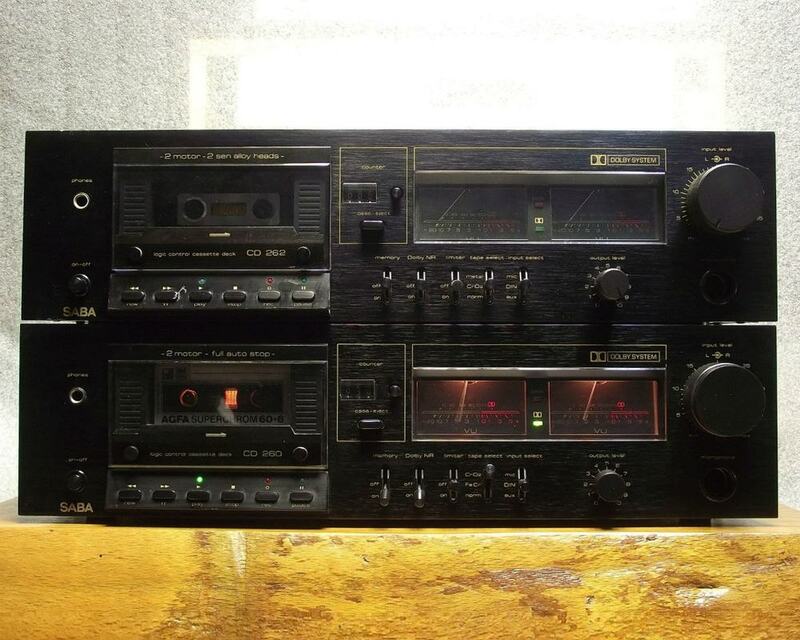 See this cassette deck in the UHER system. 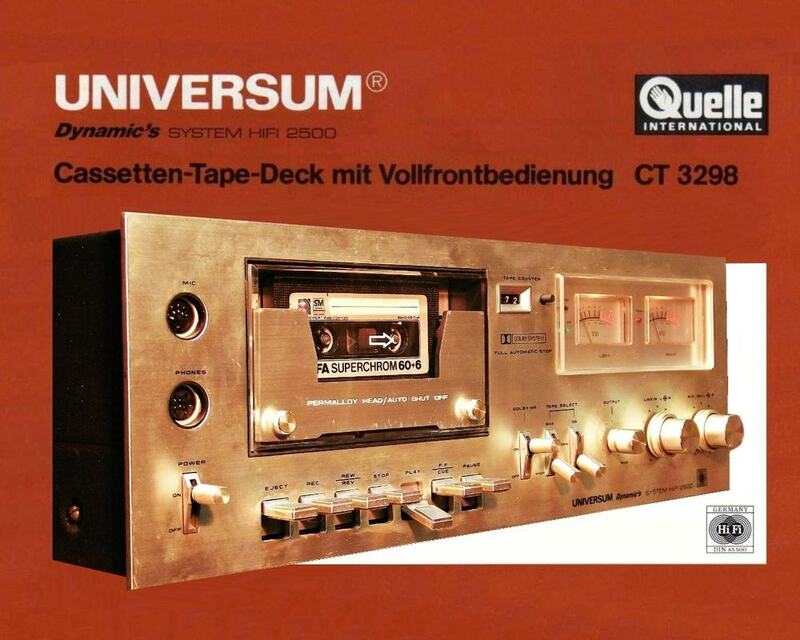 ​The UNIVERSUM CT 3298 cassette deck was part of the Dynamic's System HIFI 2500 set sold by QUELLE (mailorder company from Germany) in 1980. 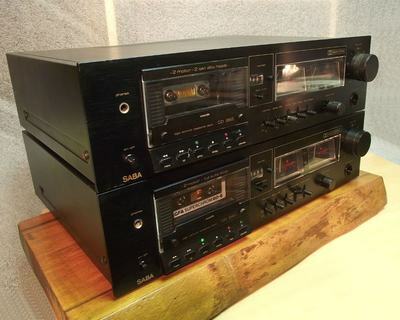 By that time it was only known that these units were sourced from Korea but the manufacturer was not (yet) a big name in the audio/video industry. 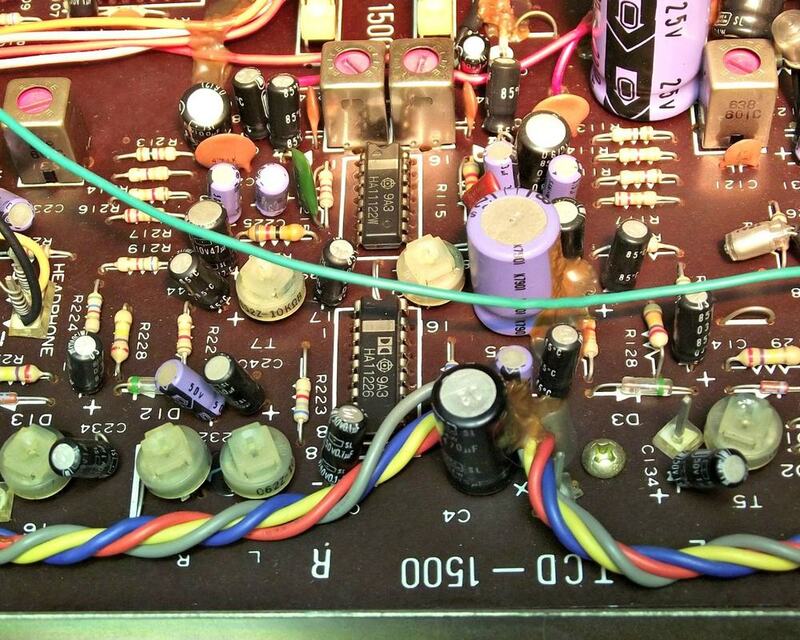 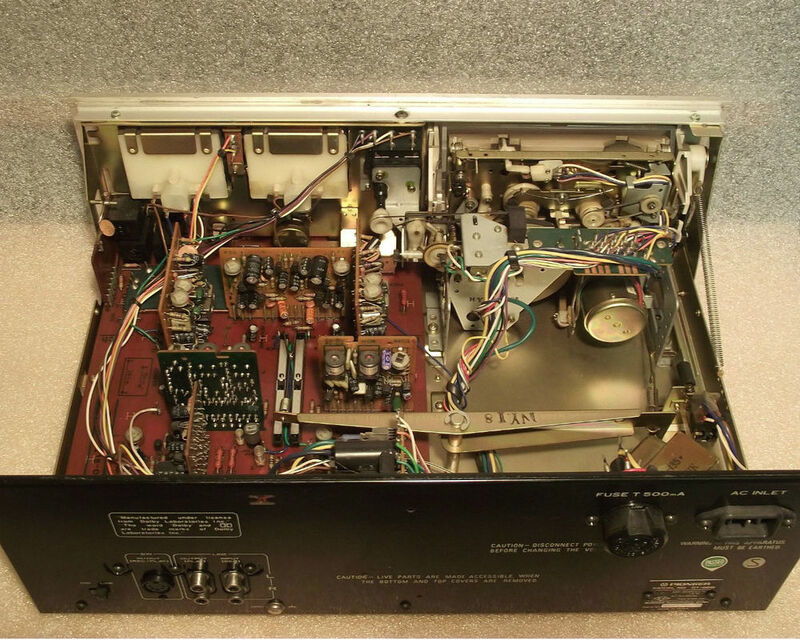 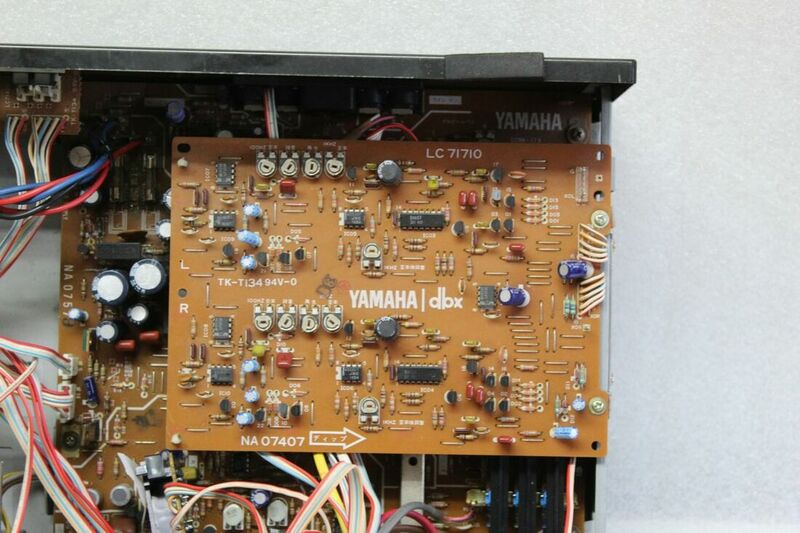 The manufacturer was in fact Gold Star (today LG) and the original model was the Gold Star TCD-1500 (see the circuit board print). 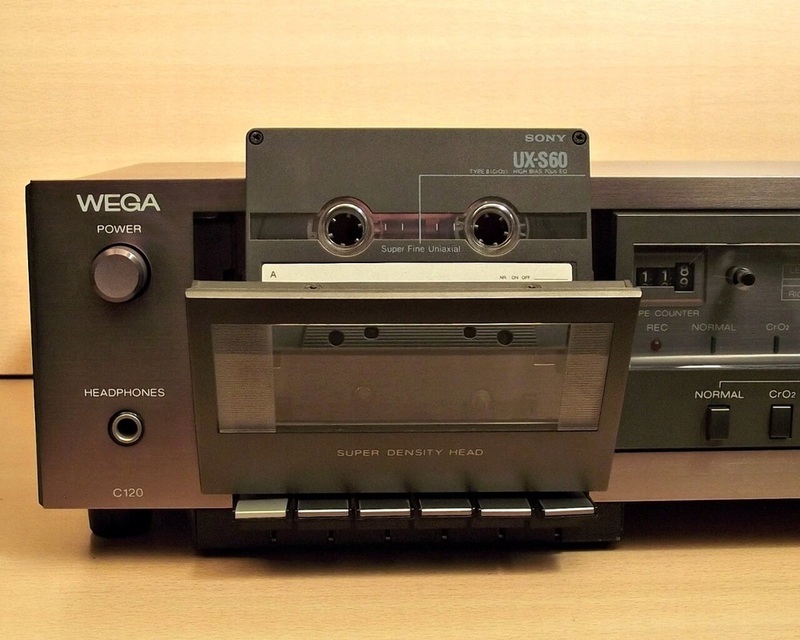 From a technical point of view it's a one motor belt driven and mechanically controlled cassette deck. 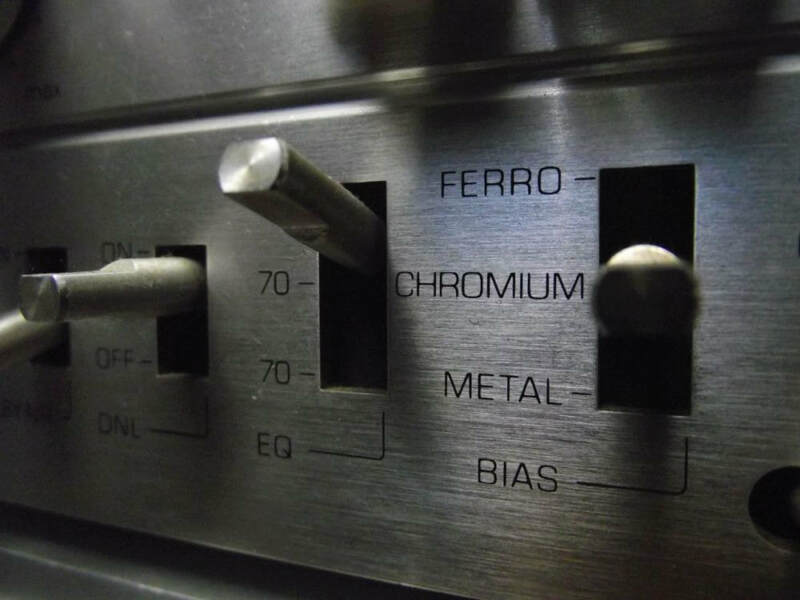 With separate BIAS and EQ settings you can take the advantage of using three tape types: Normal, FeCr and CrO2. 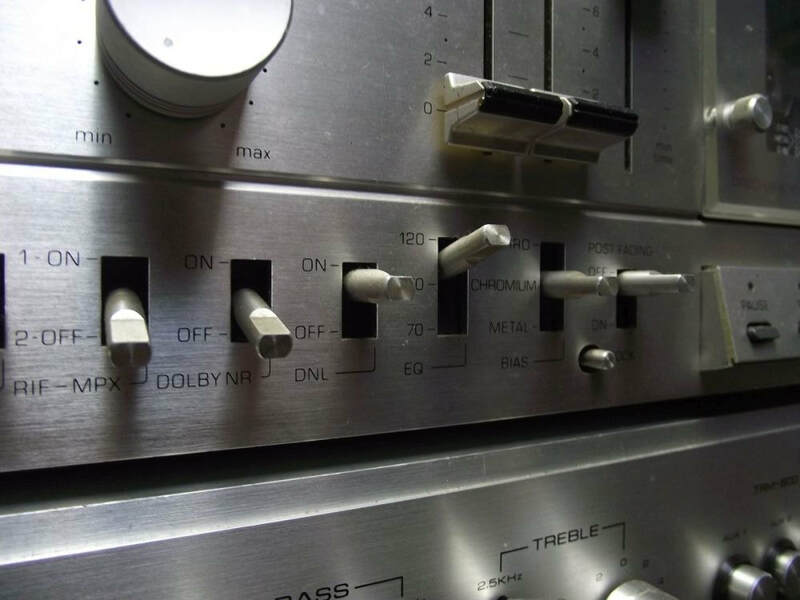 There is provision for RCA, DIN and Microphone inputs that can be mixed together using the two separate record level controls. 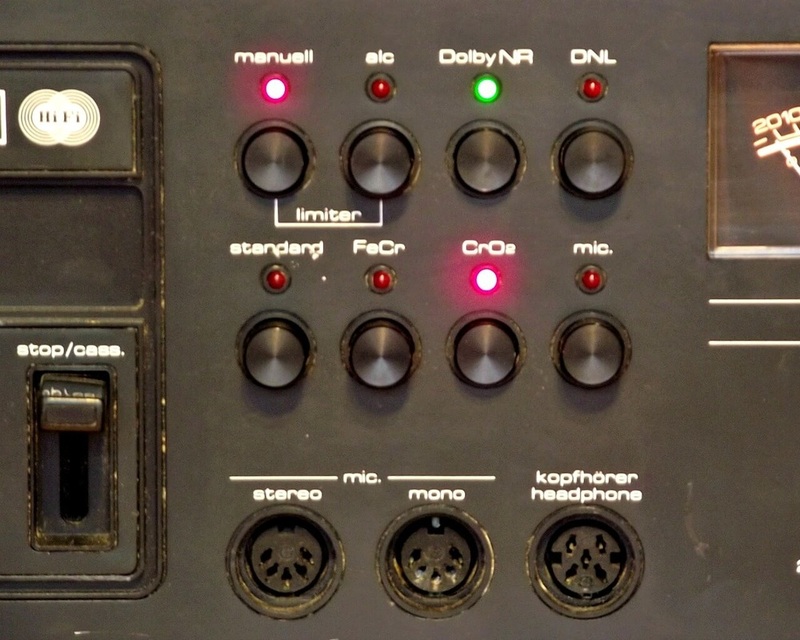 There is an Output control as well but this one only adjusts the volume of the connected headphone. 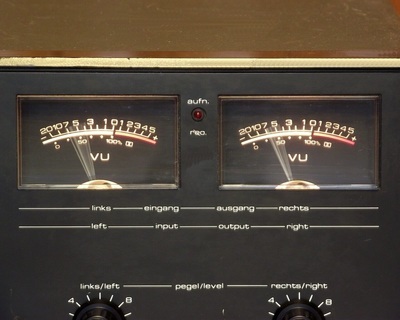 Recording levels can be set with the help of the two needle type VU meters and the help of a PEAK indicator. The UNIVERSUM CT 3298 is equipped with Dolby noise reduction while best results can be obtained with the use of FeCr or CrO2 cassettes that have a frequceny response of 30 - 14,000 Hz. 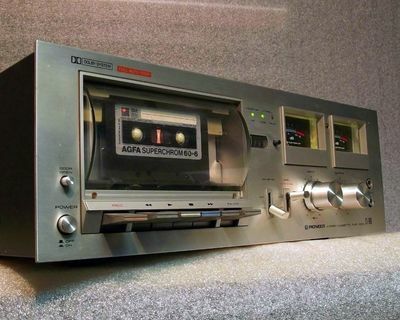 This unit has a solid build quality (it still performs rather well in 2017) featuring brushed aluminium front in a 420x144x335 mm housing that weighs 8 kg. 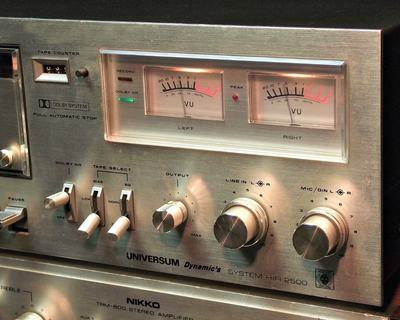 You can read more about the pictured NIKKO amplifier here. 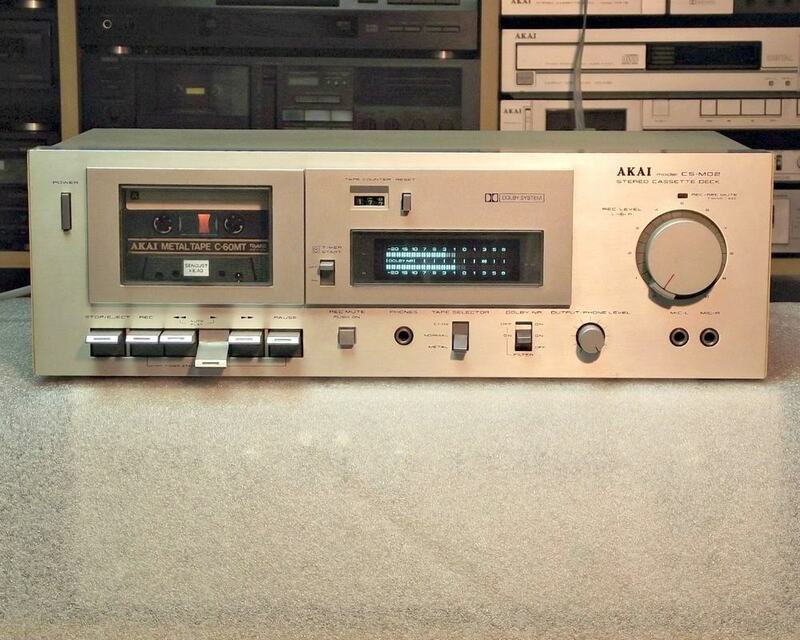 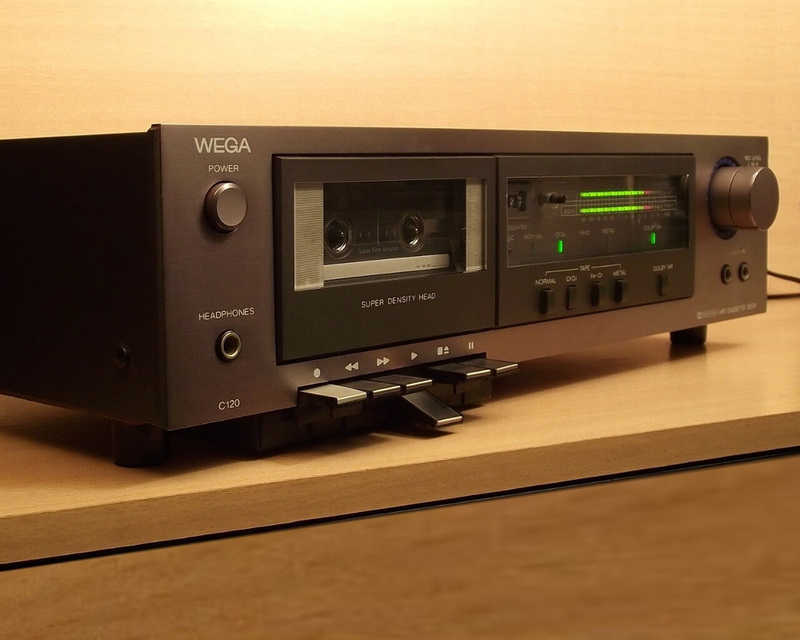 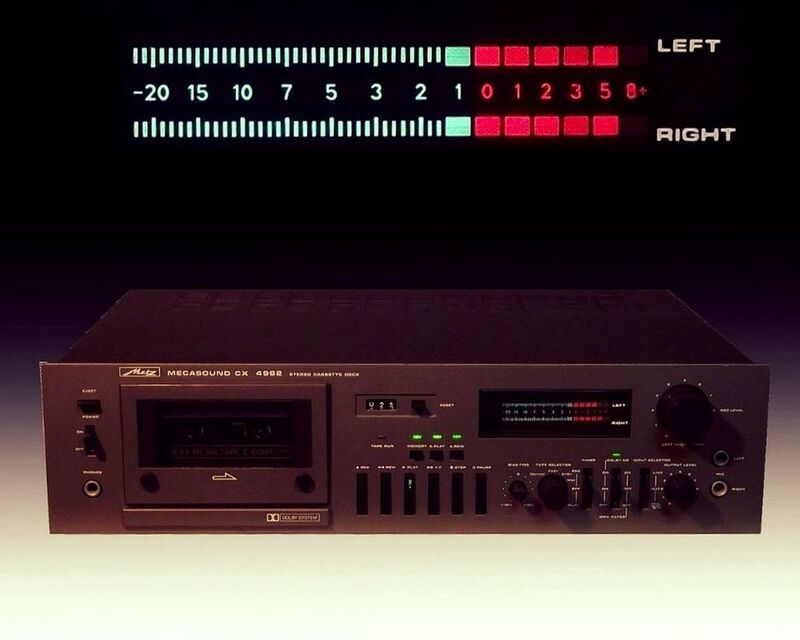 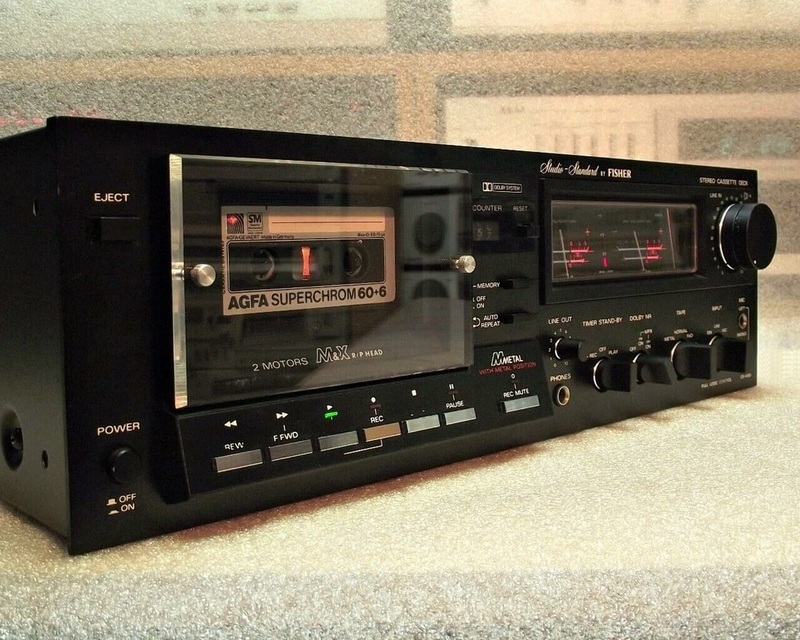 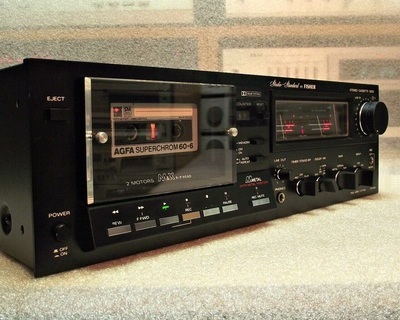 This WEGA C120 cassette deck was part of the JPS353 ALPHA rack-system. 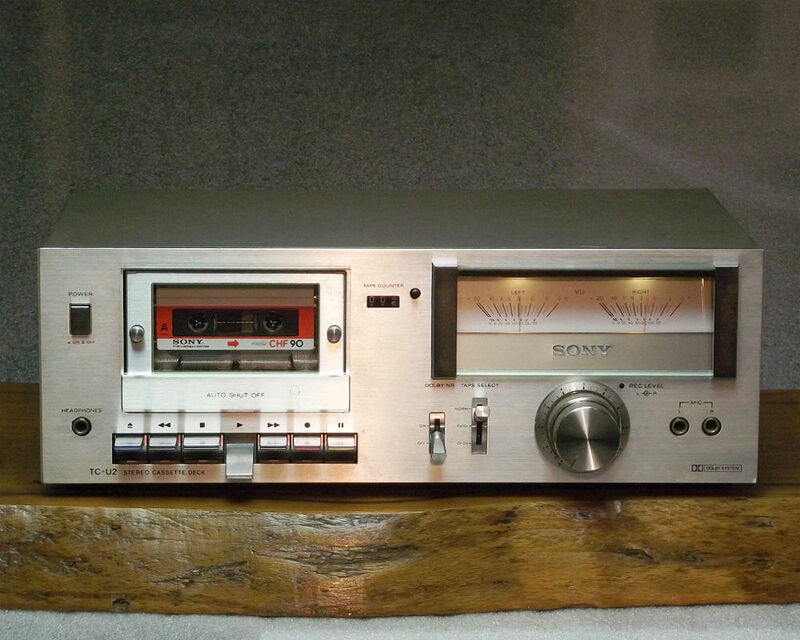 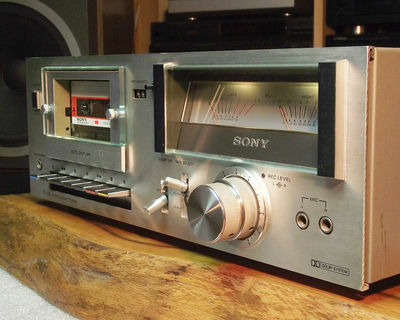 It was introduced with the 1980 model range and it has in fact SONY origins. 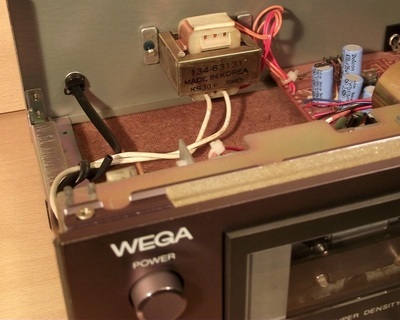 WEGA, an old German manufacturer (since 1924) was bought by SONY in 1975 and all the later models became simply rebadged SONY products made by the new company named SONY-WEGA Productions gmbh. 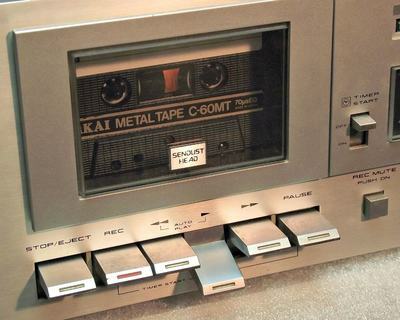 The K-960 can handle Normal, CrO2 and Metal tapes and for optimum results it also features manual BIAS adjustment. 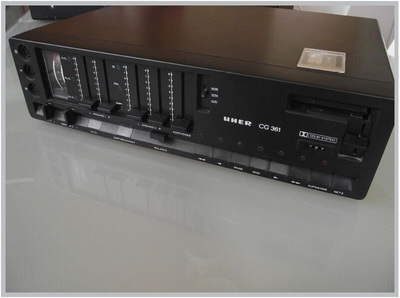 The fluorescent bar-graph Peak Level Meter indicates levels between -30 dB and +3 dB. 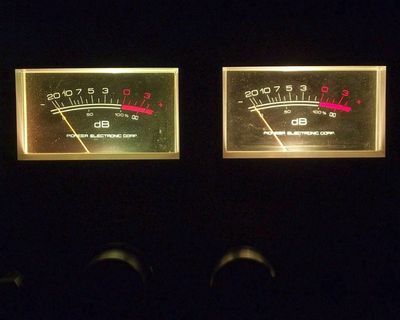 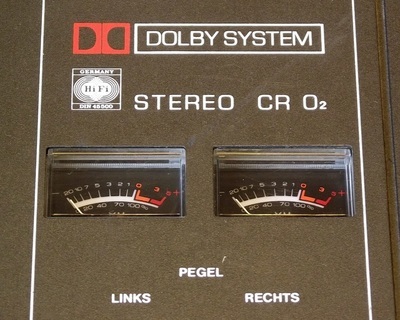 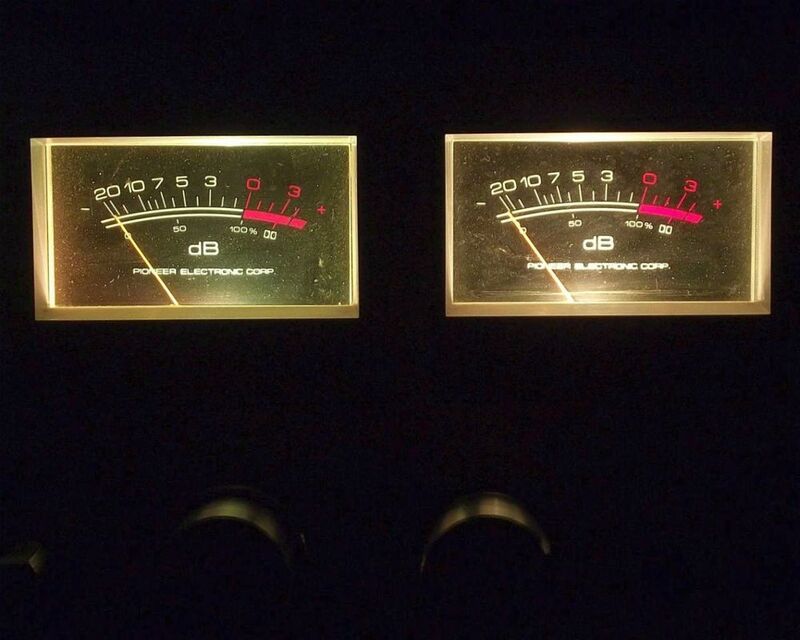 According to the manual the "-8 dB" reading corresponds to the "0 VU" of ordinary VU meters. (Magnetic flux density at -8 dB: 160 nwb/m) Behind the aforementioned flip down panel there is a misterious button labelled FOCUS. 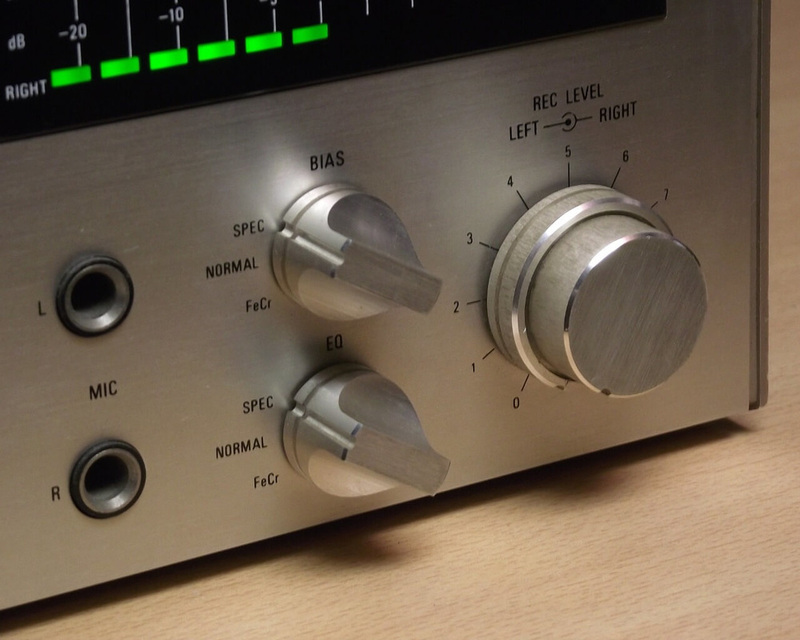 According to the manual "For playback, it is possible to obtain sharper, clear-cut treble range sounds by setting this button to SHARP position, or to obtain softer treble-range sounds by setting it to the SOFT position". 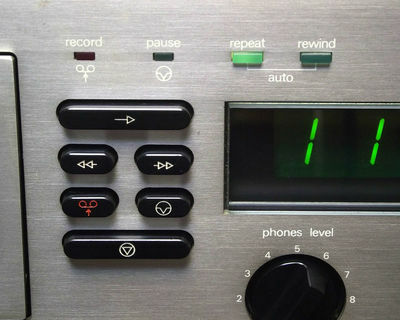 I have to confirm what other people have reported regarding this button ... you will hear no difference at all between the two settings. 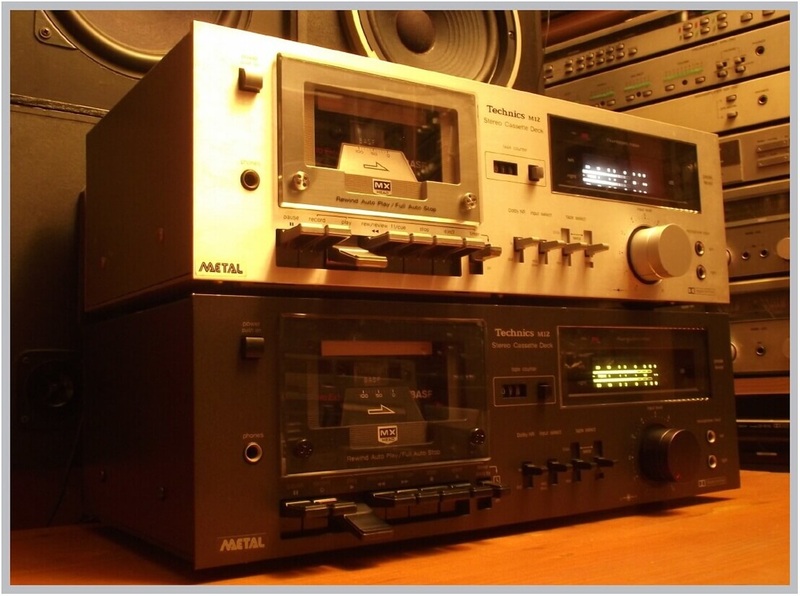 Overall the deck performs very well with high sonic capabilities that follow the specified frequency response of 30 - 22,000 Hz (+/- 3 dB Metal tape). 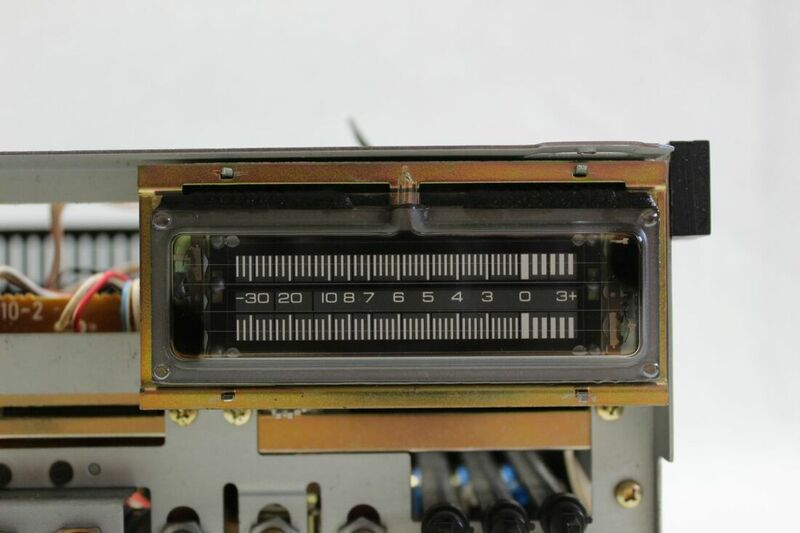 The model from our collection is a Made in Japan unit measuring 435 x 141 x 306 mm in a solid and well built construction with an 8 kg weight. 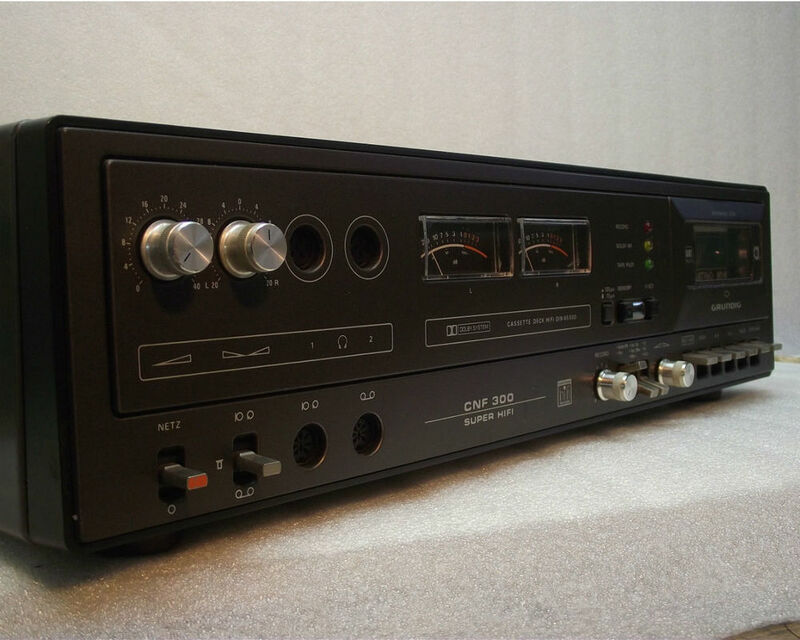 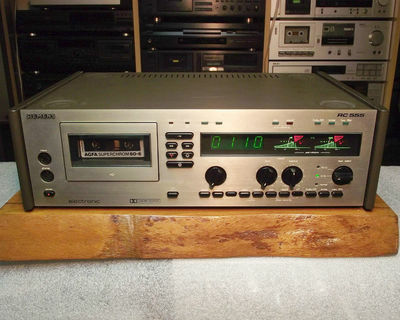 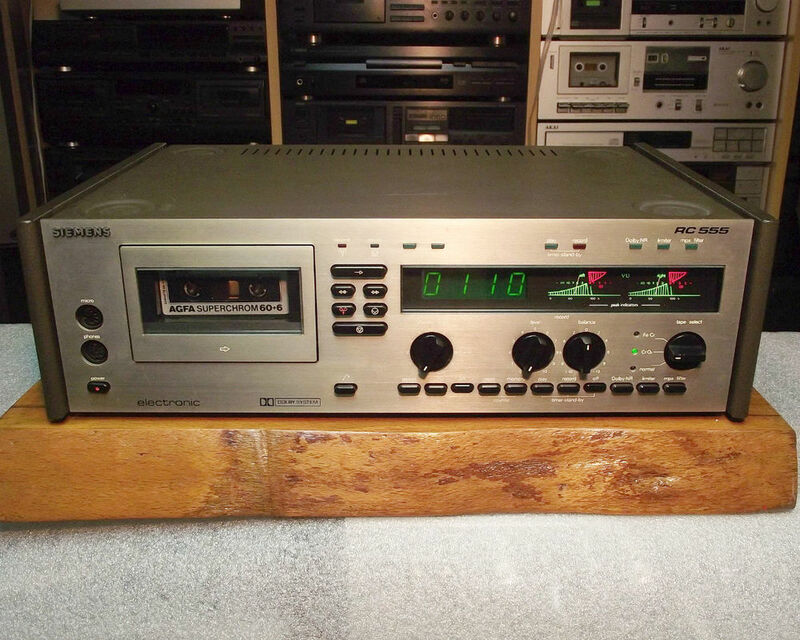 The K-960 was available in both black or silver finish waiting to be partnered with Top Yamaha components such as the C-70 control amplifier, M-70 power amplifier, T-70 stereo tuner, PX-2 Linear Tracking stereo turntable and the famous NS-1000M speaker system.